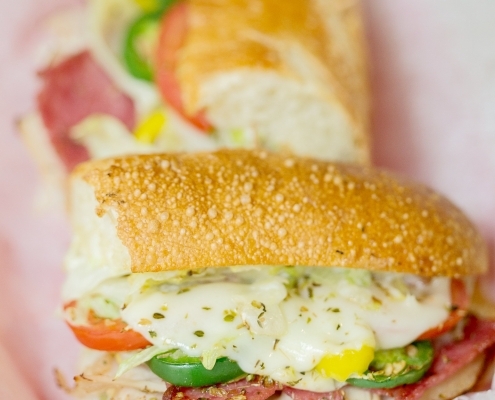 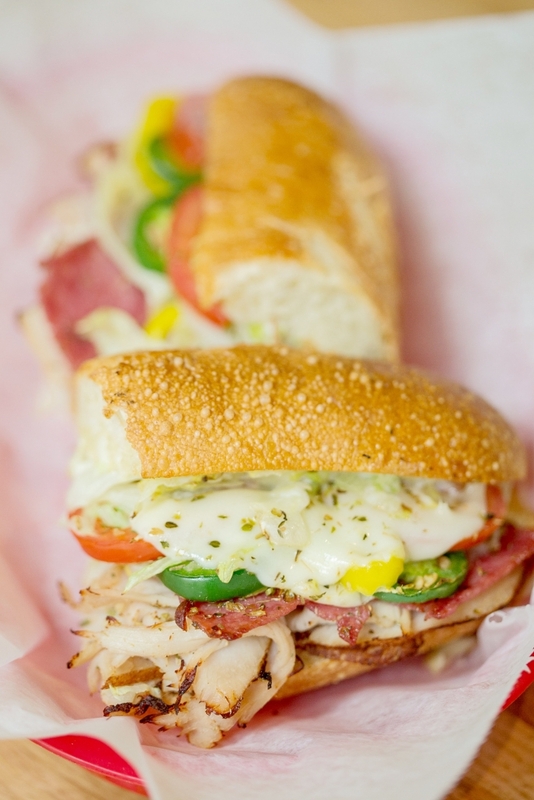 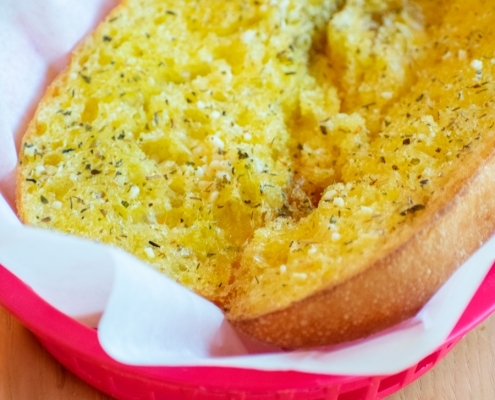 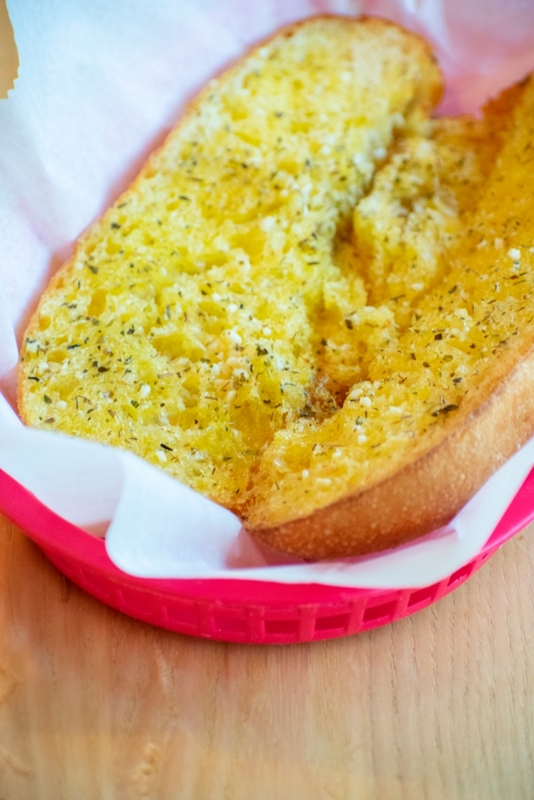 Our homemade garlic butter on a freshly baked sub roll, toasted to perfection. 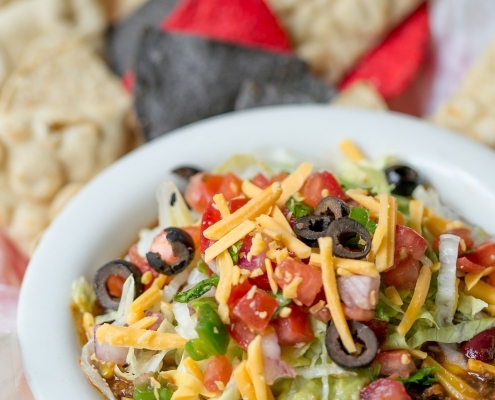 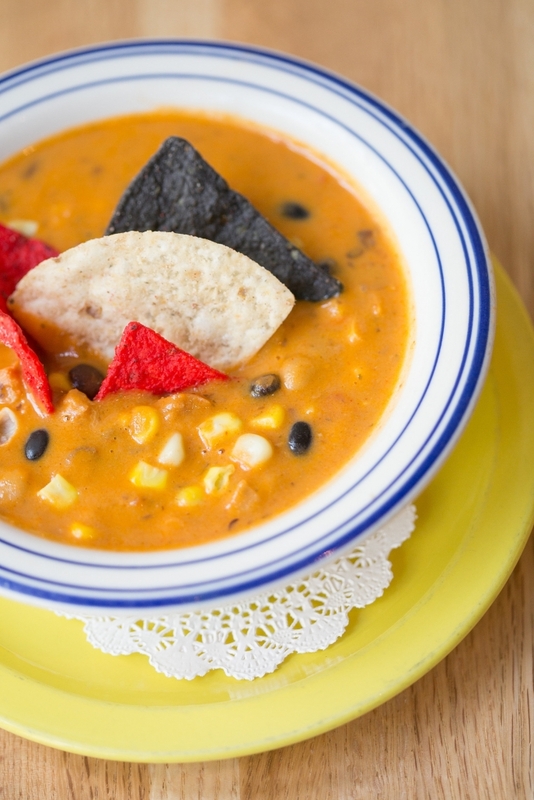 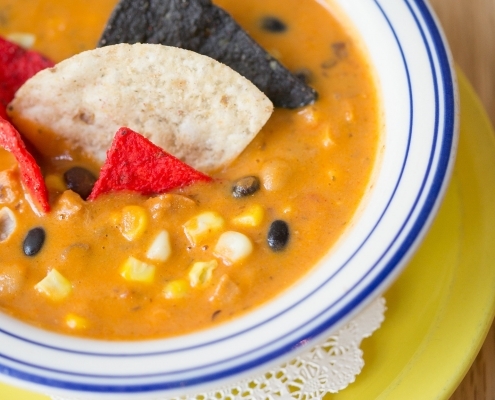 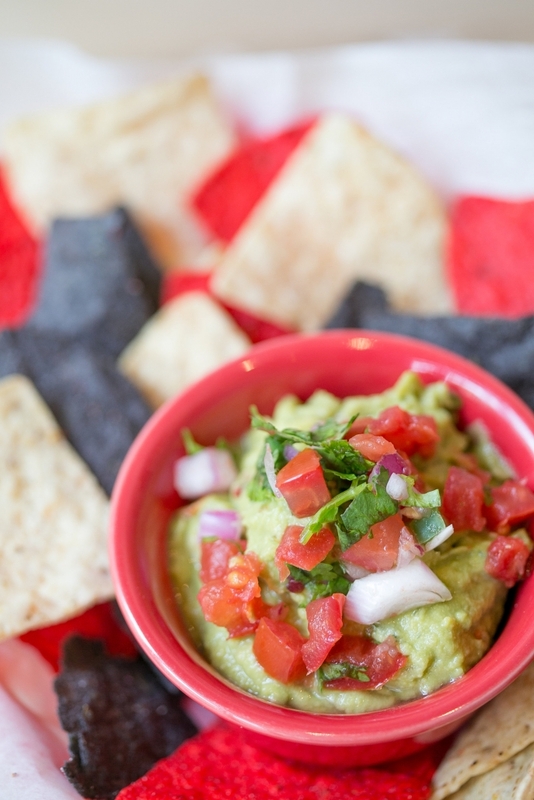 Classic appetizer served with tri-colored tortilla chips. 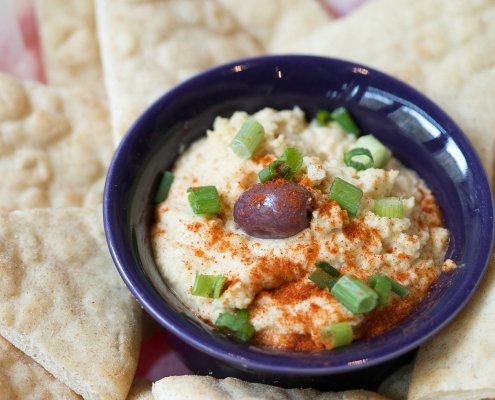 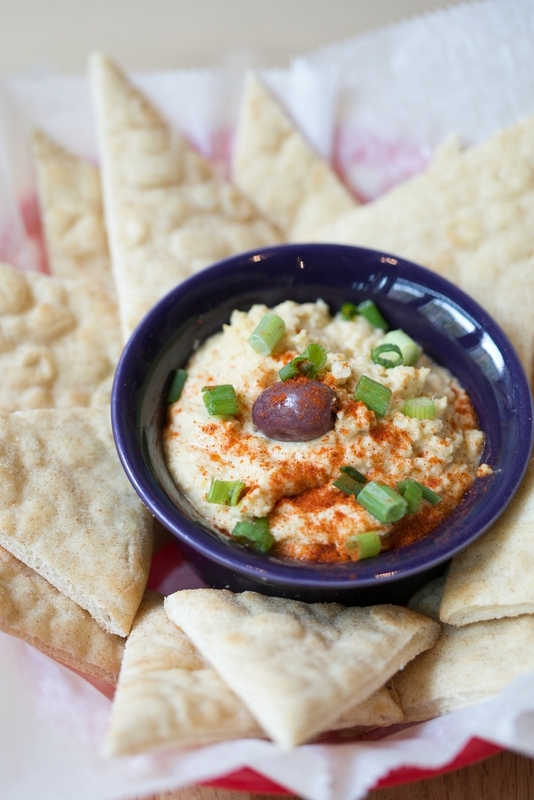 Our Mediterranean hummus served with warm pita wedges. 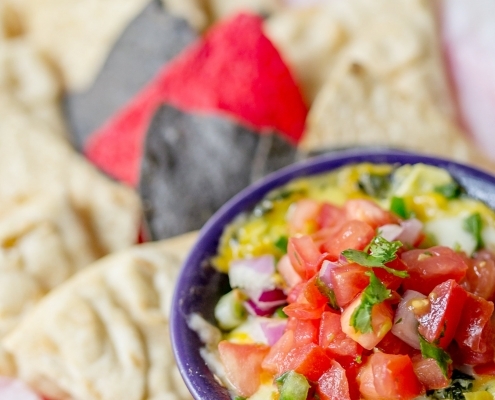 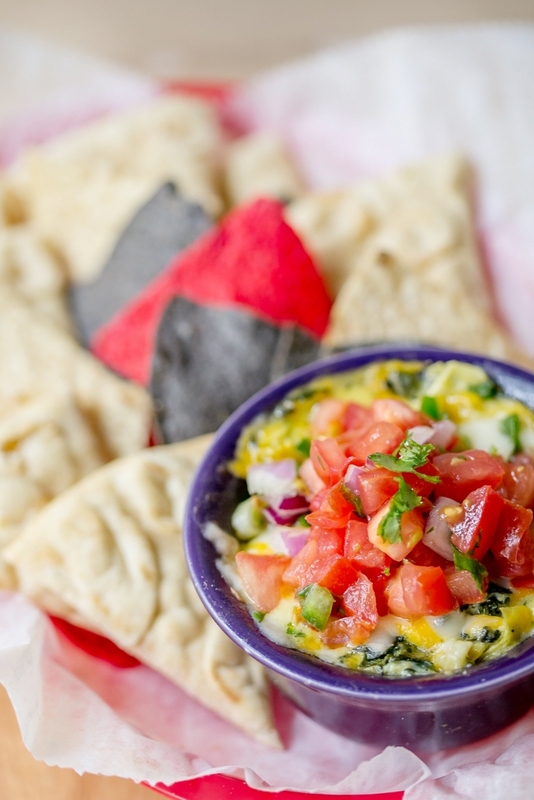 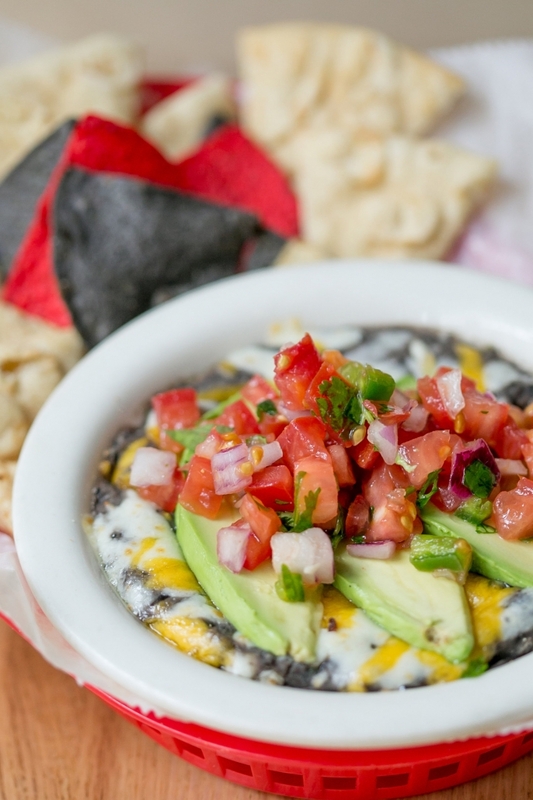 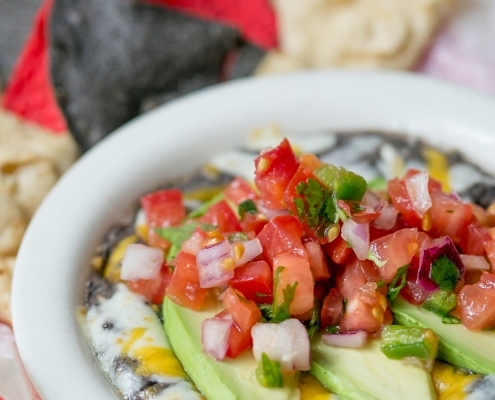 Spinach artichoke dip topped with pico de gallo and served with tri-colored tortilla chips and pita. 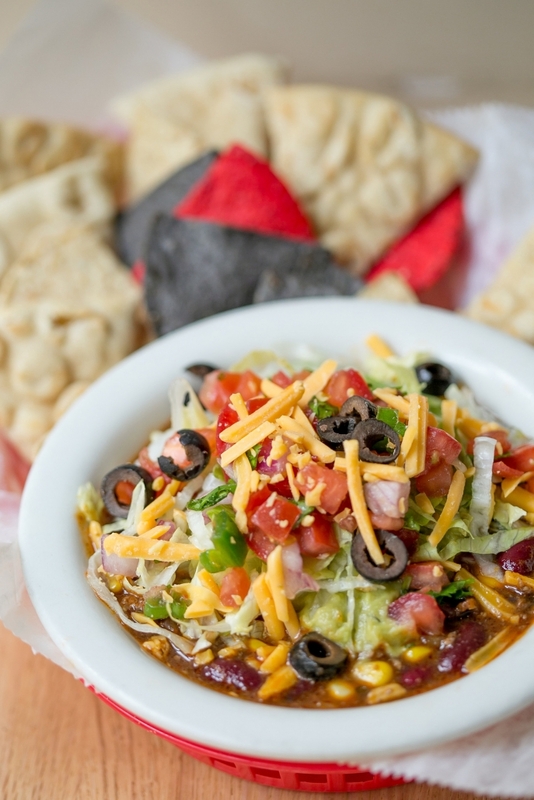 7-layers starting with our homemade chili, cheddar cheese, guacamole, shredded lettuce, pico de gallo, green onions, and black olives. 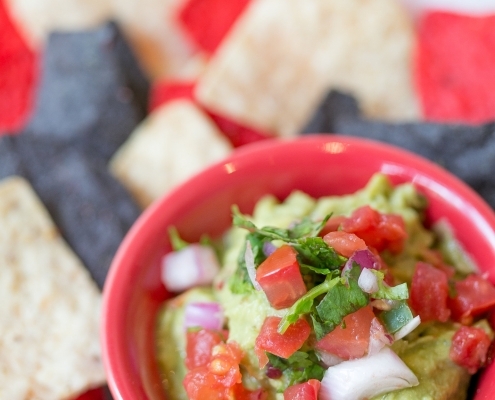 Served with tri-colored tortilla chips and pita. 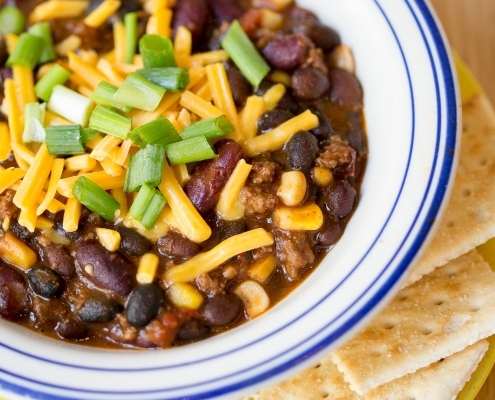 Full bodied mild chili made with ground beef, beans, and corn topped with cheddar and green onions. 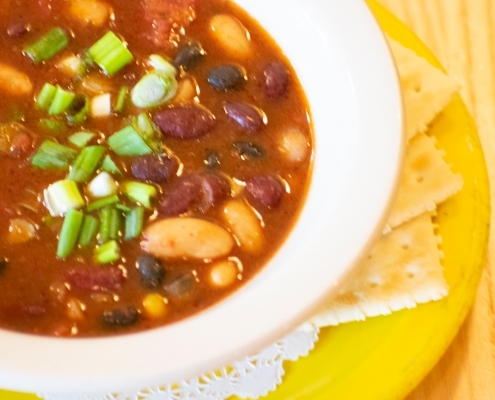 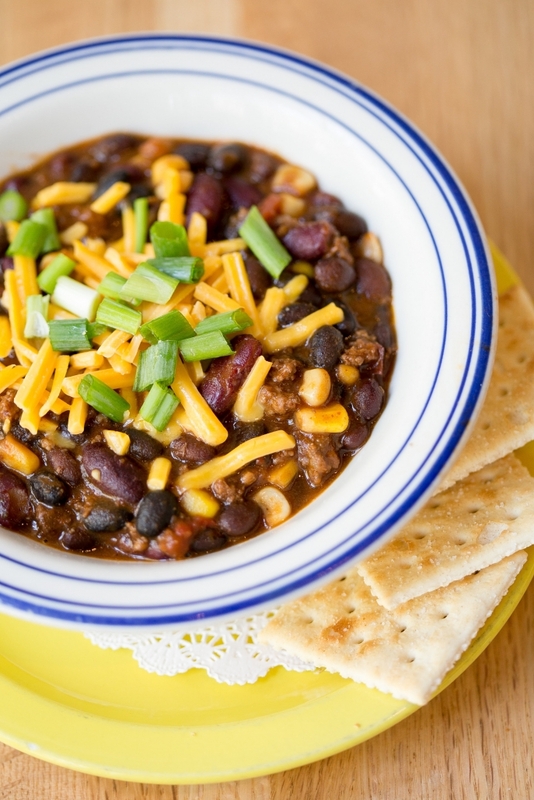 Our veggie chili made with red, white and black beans simmered with spices to create an all-time favorite. 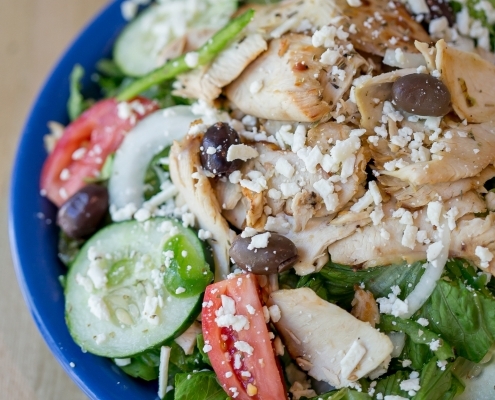 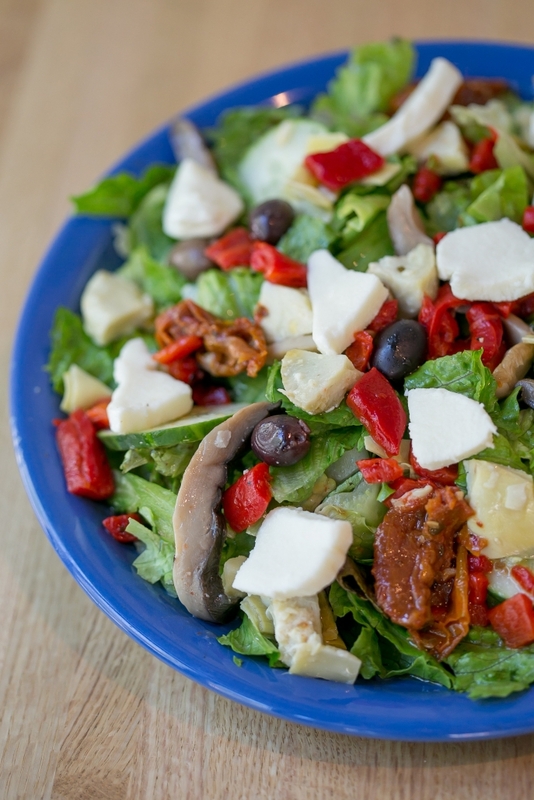 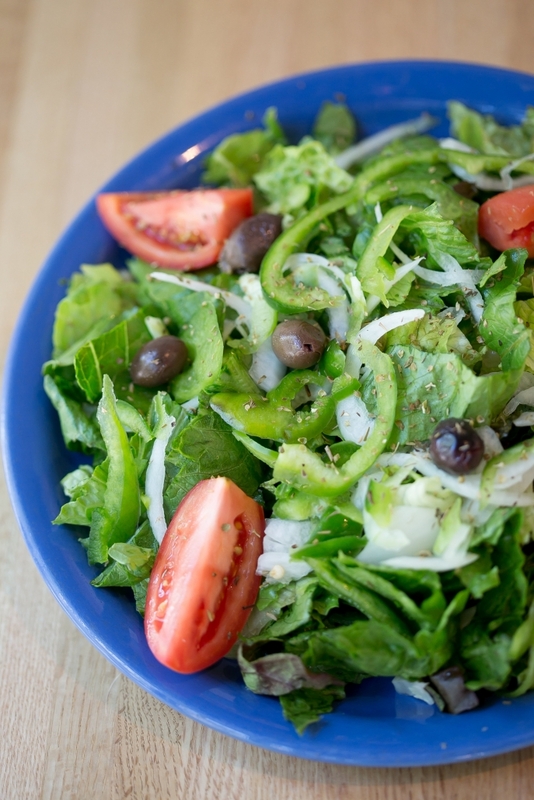 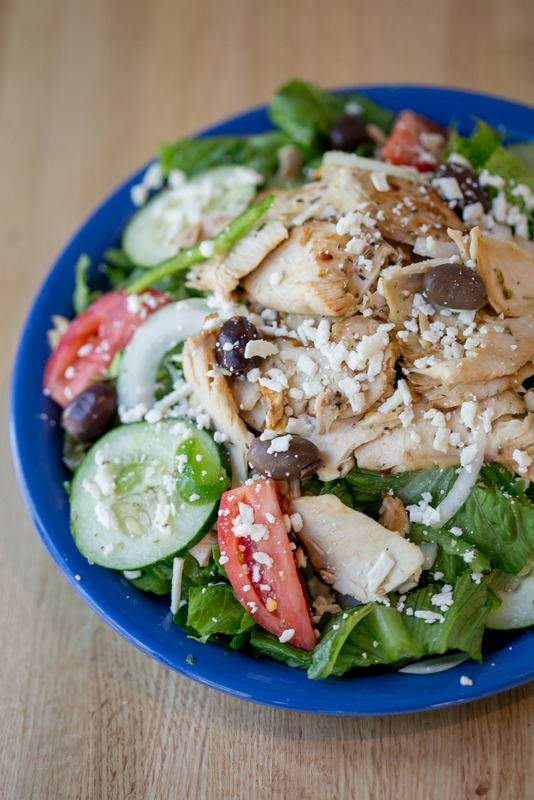 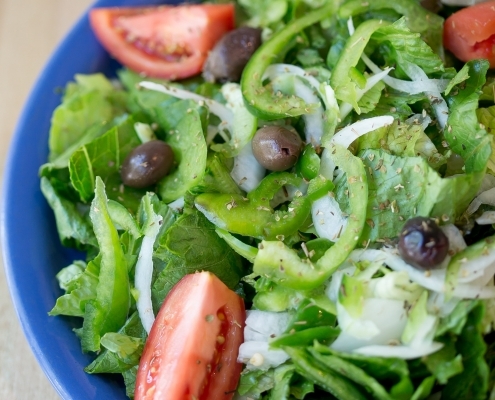 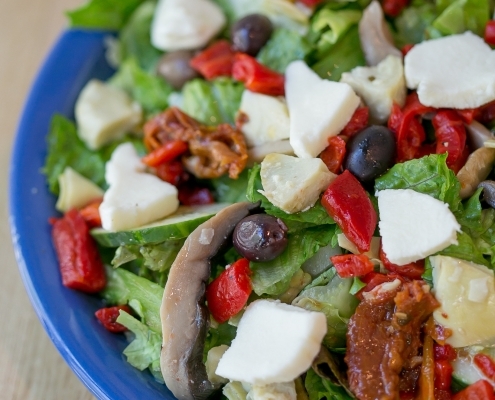 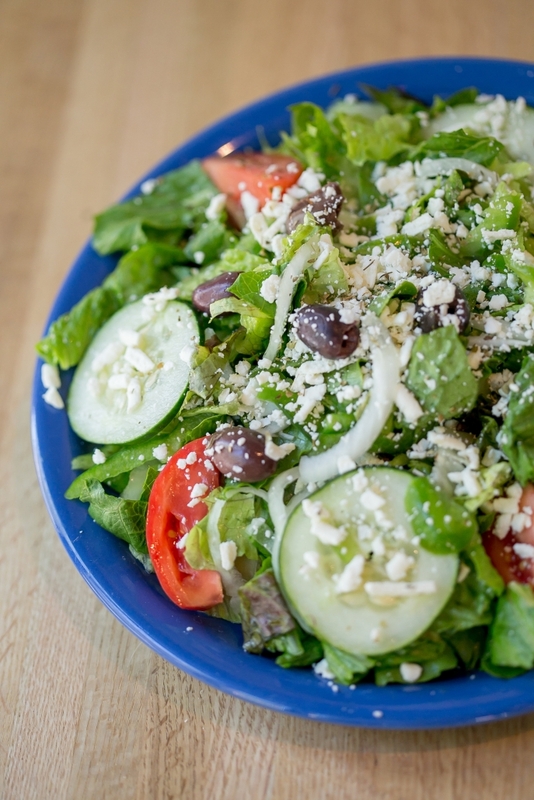 Our awesome Greek salad topped with sliced chicken, cucumbers, tomatoes, white onions, kalamata olives, fresh red peppers, and feta cheese. 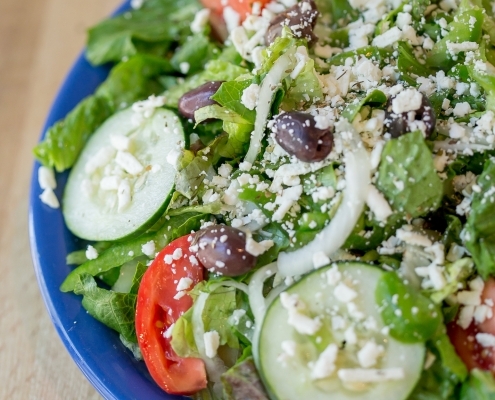 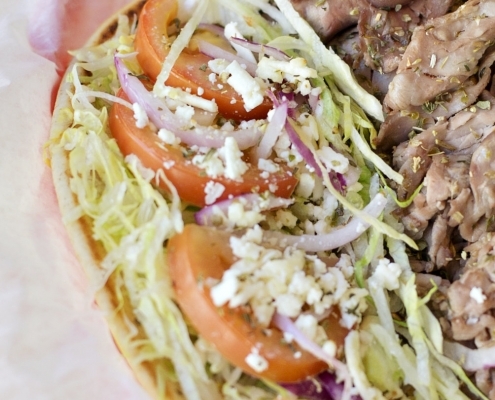 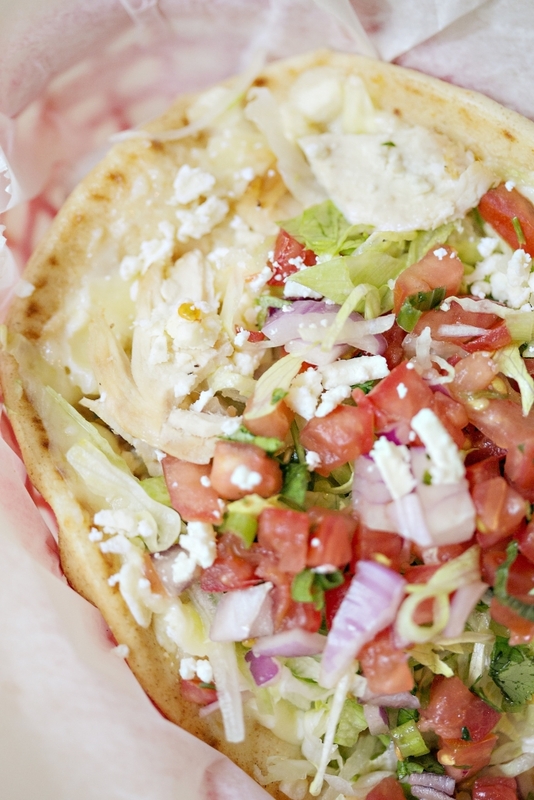 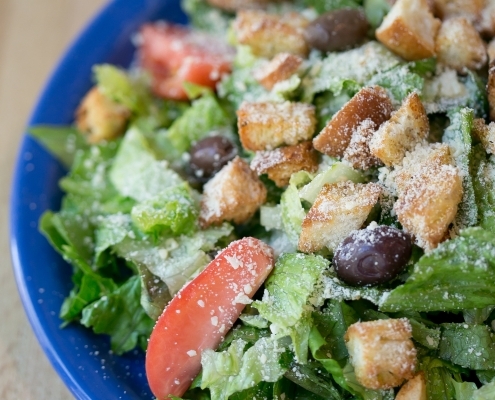 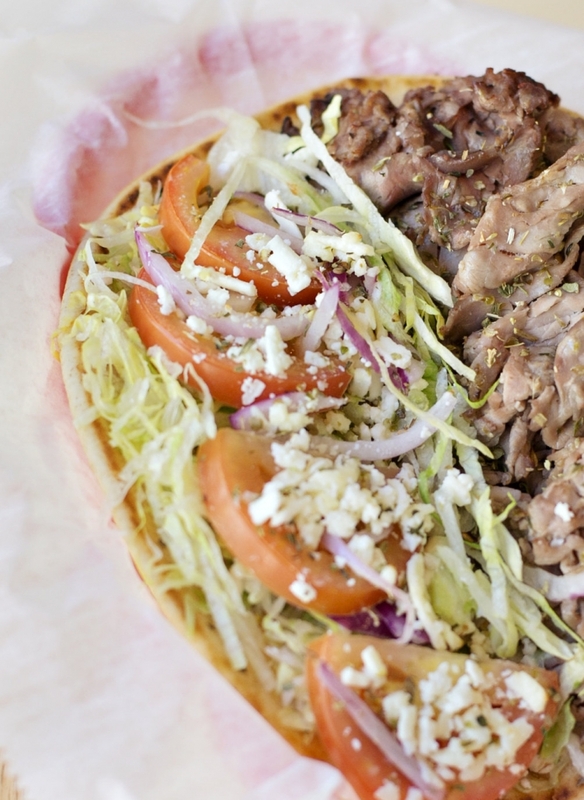 Feta vinaigrette on the side. 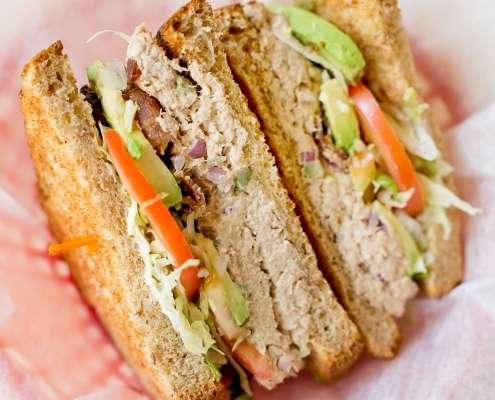 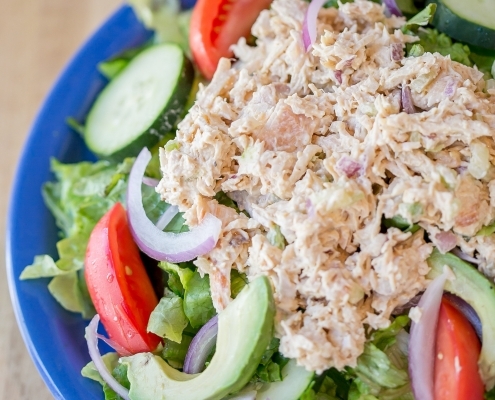 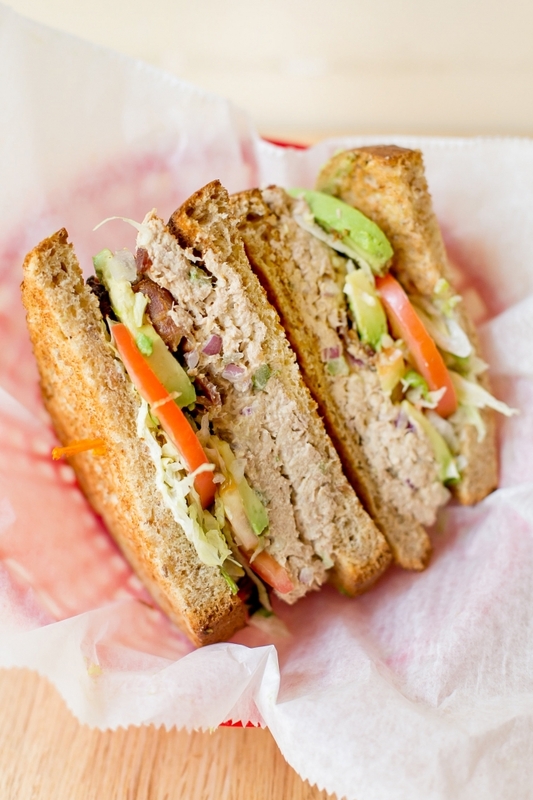 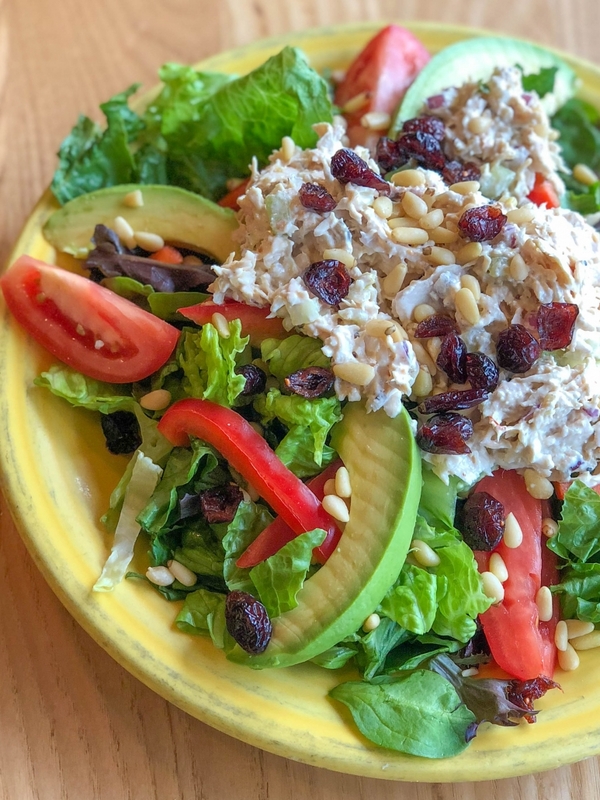 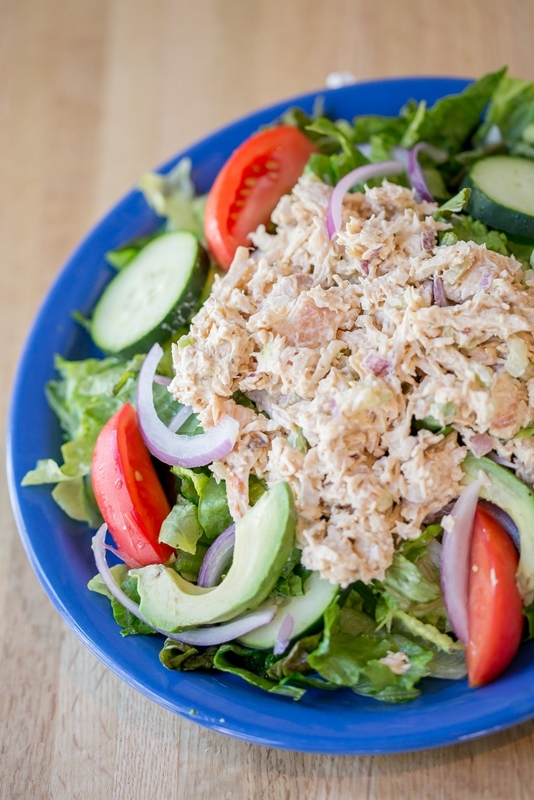 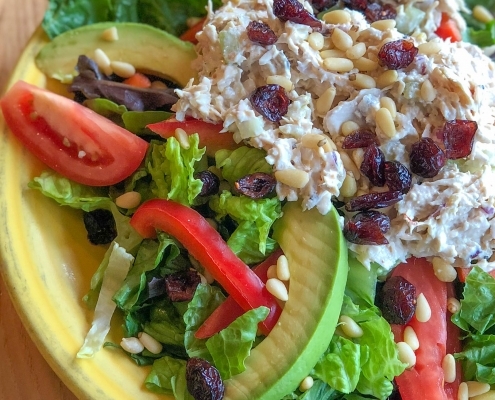 Our homemade chicken salad or tuna salad on top of mixed greens with tomatoes, red onions, cucumbers and sliced avocado. 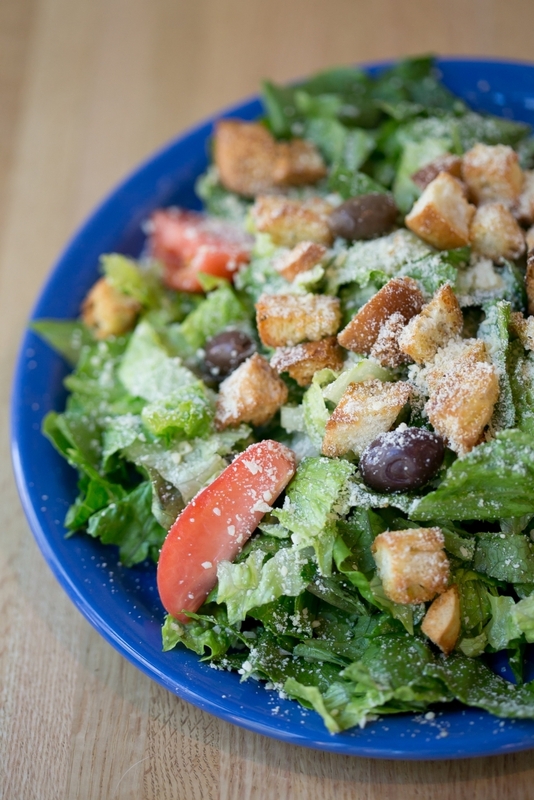 Served with balsamic vinaigrette on the side. 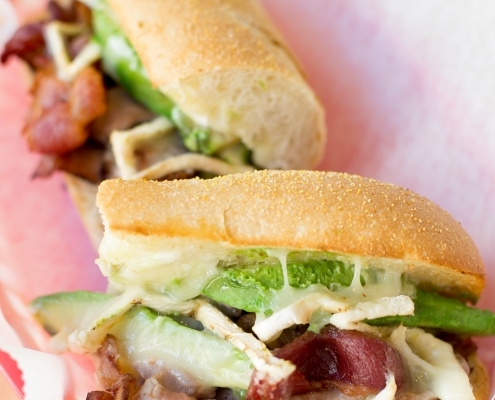 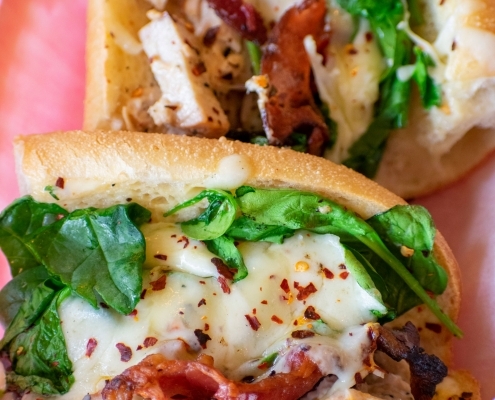 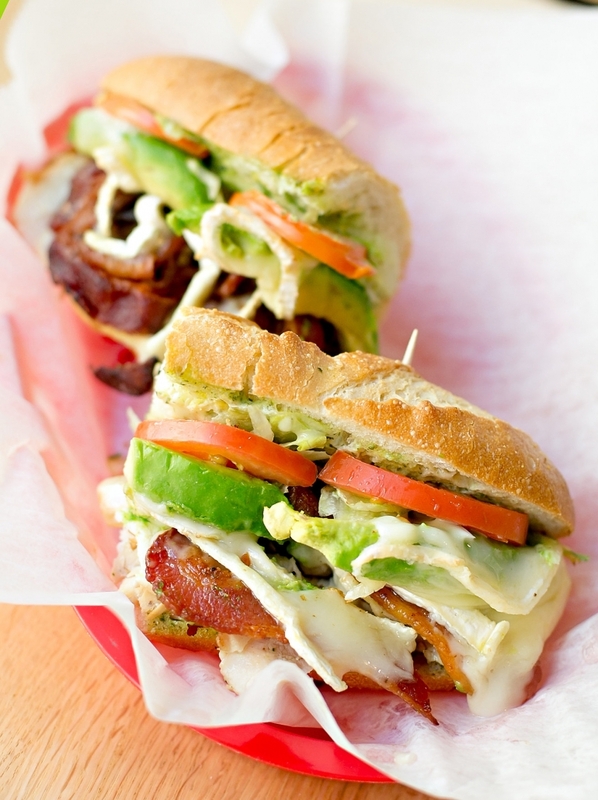 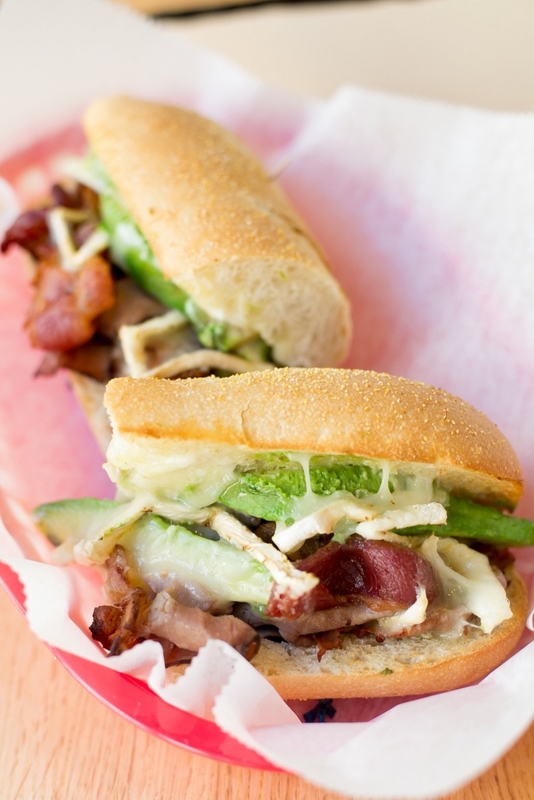 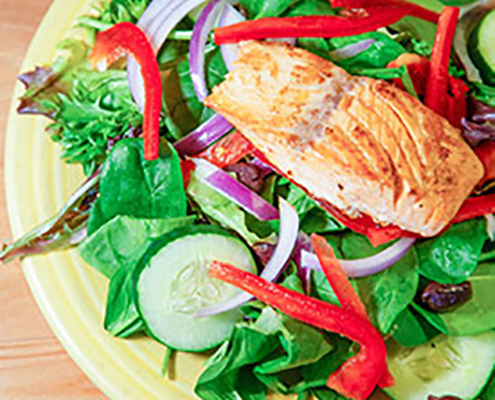 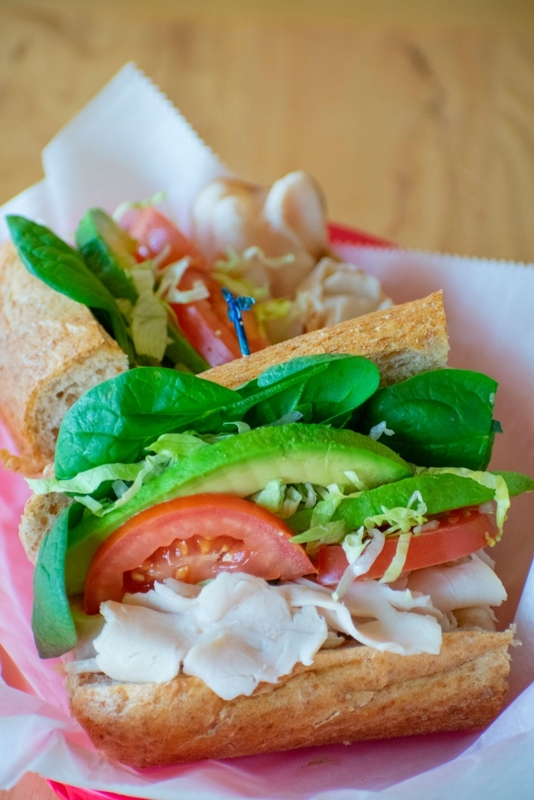 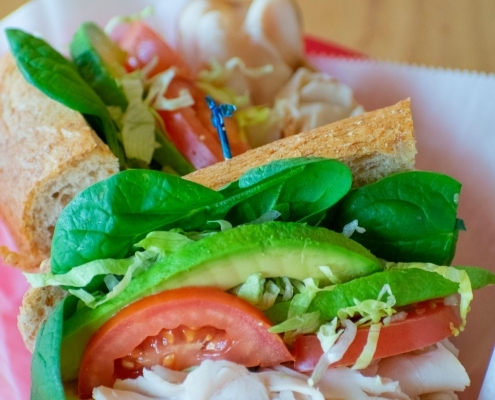 Grilled chicken breast, avocado, fresh spinach, red onion, red pepper, cucumber, tomato, and bacon. 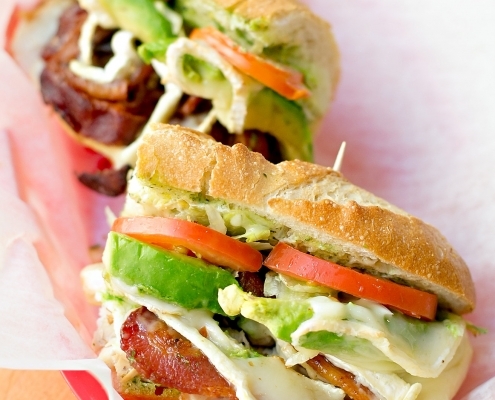 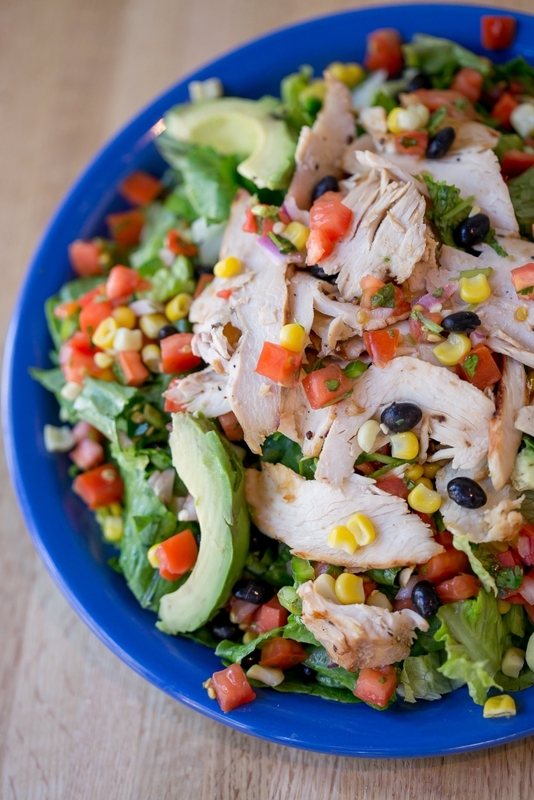 Avocado ranch dressing on the side. 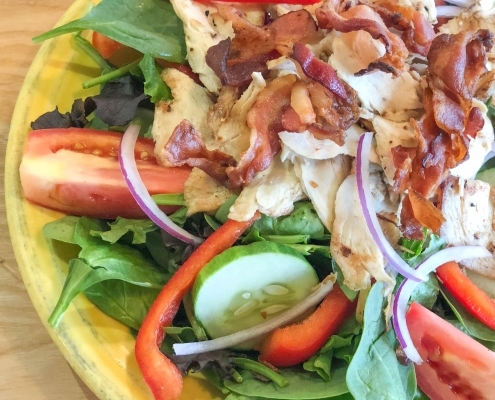 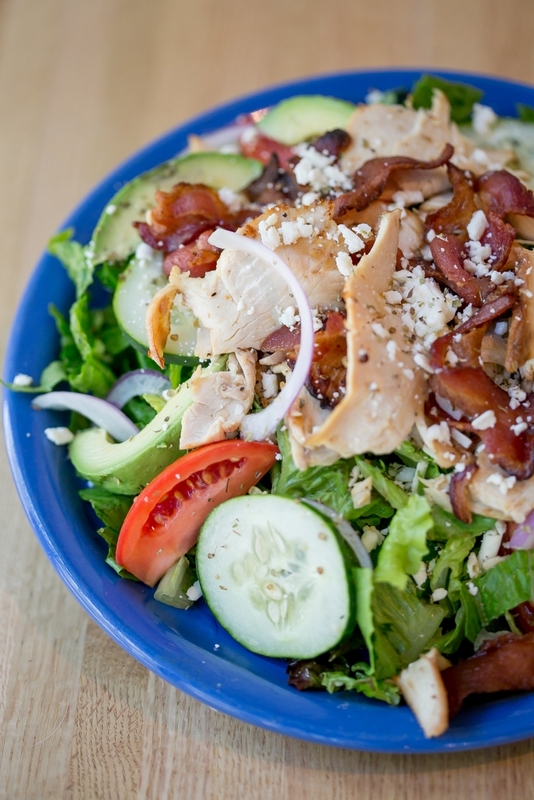 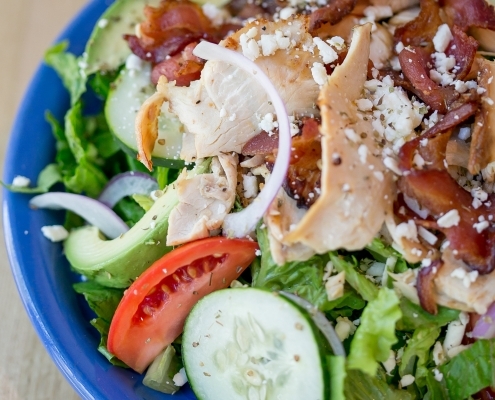 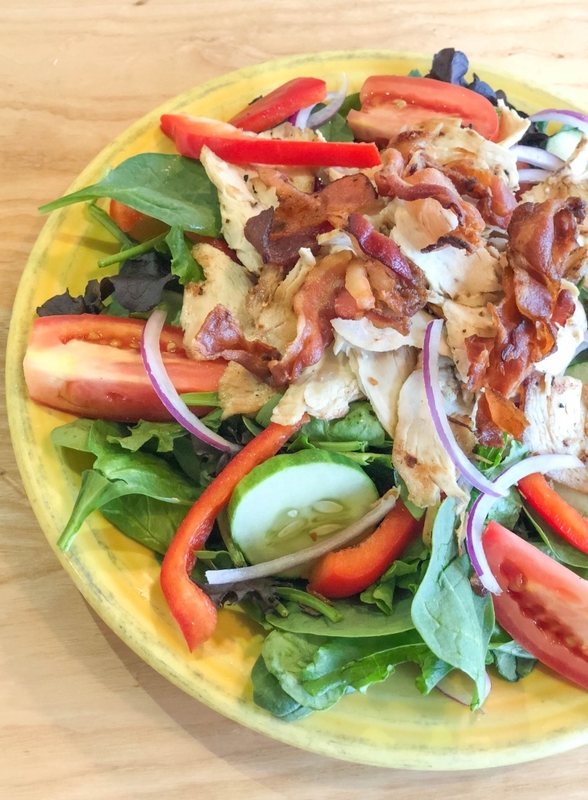 Grilled chicken breast, crisp smoked bacon, fresh avocado, crumbled feta cheese, tomatoes, cucumbers, and red onions on top of mixed greens. 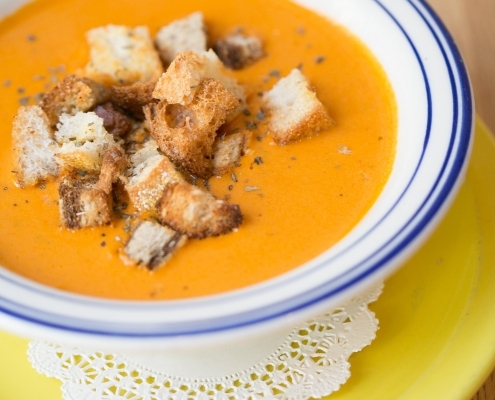 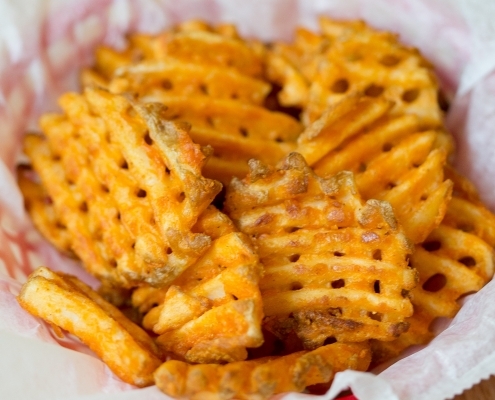 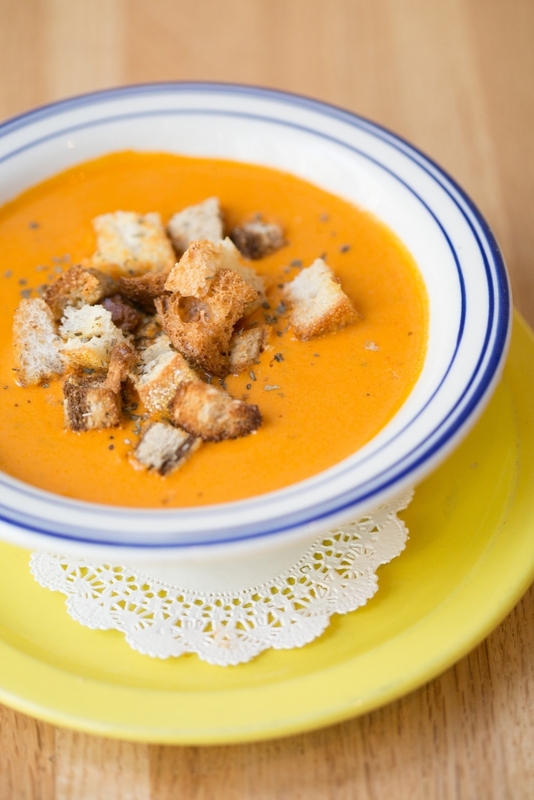 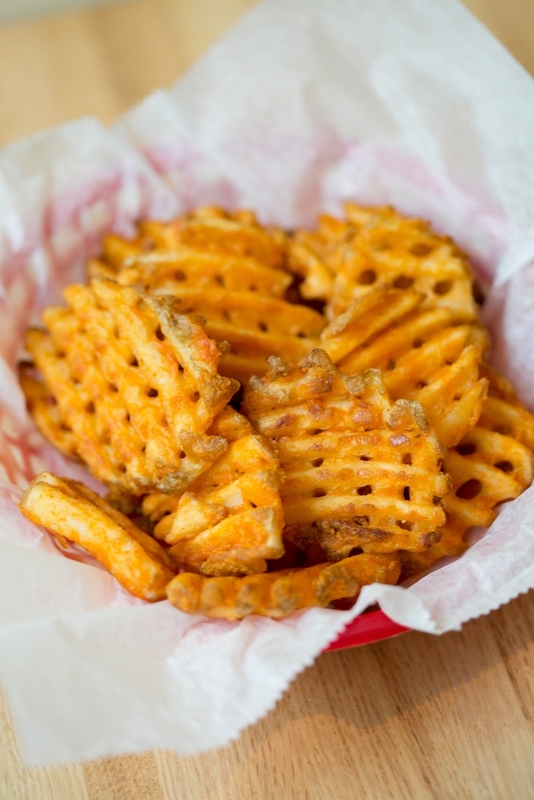 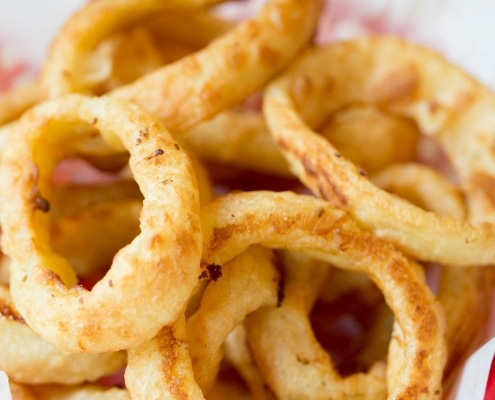 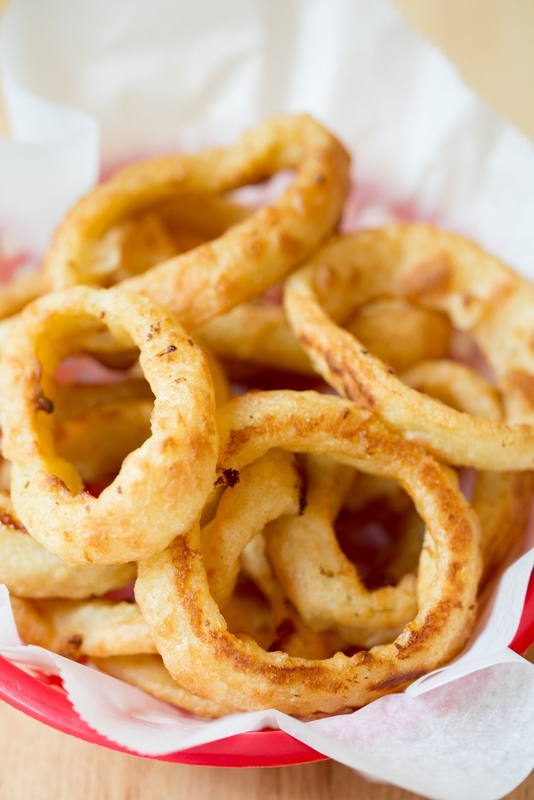 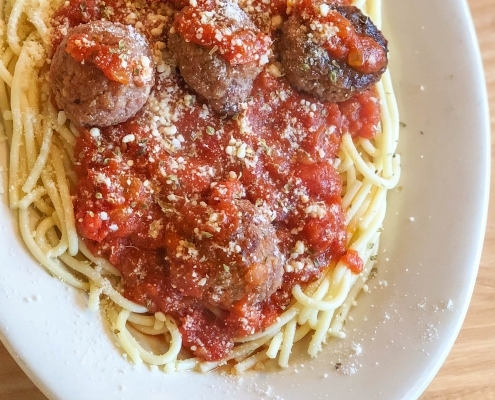 Served with peppery parmesan dressing on the side. 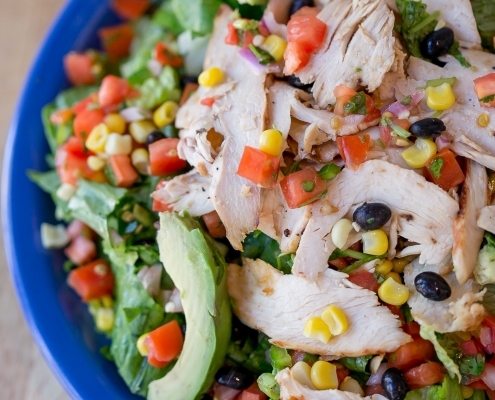 Mixed greens with sliced grilled chicken, sweet corn, black beans and avocado topped with house made pico de gallo and avocado ranch dressing on the side. 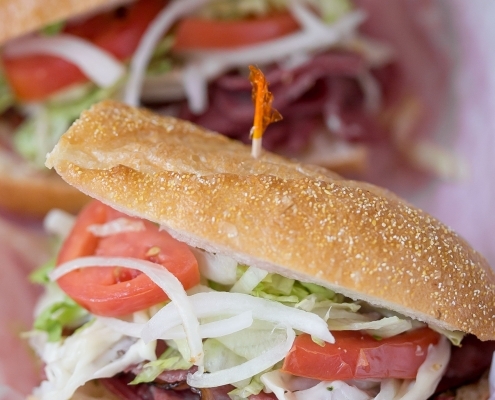 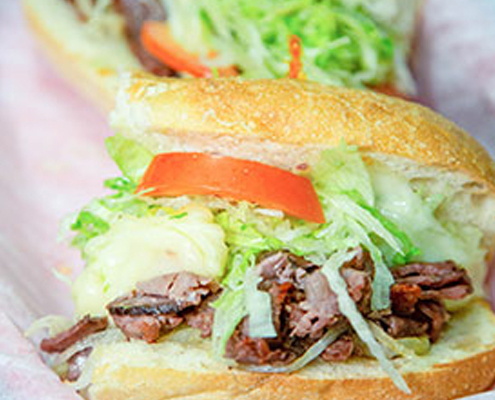 Our classic steak and cheese with melted provolone, and sautéed onions, lettuce, tomato, and garlic mayo on a toasted sub roll. 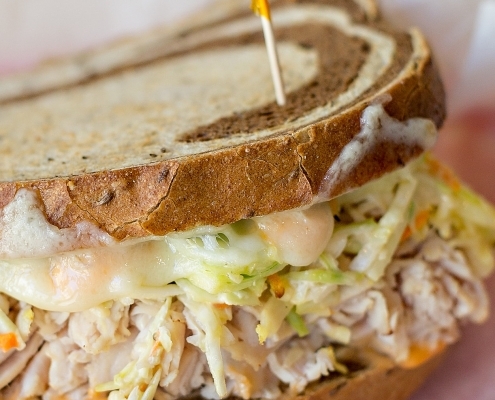 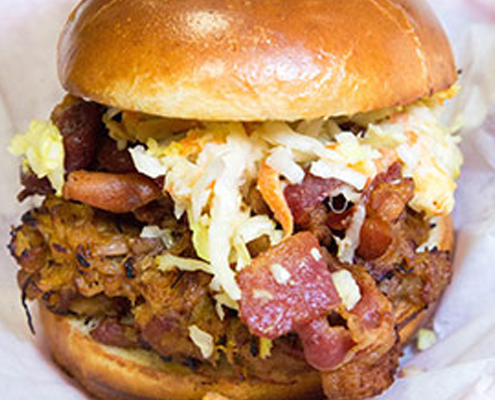 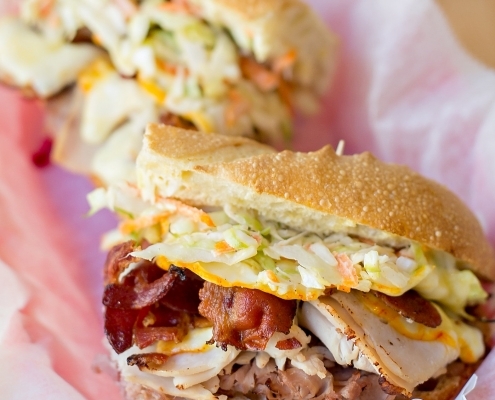 Pulled pork in a zesty barbecue sauce topped with cole slaw and bacon on a warm toasted brioche roll. 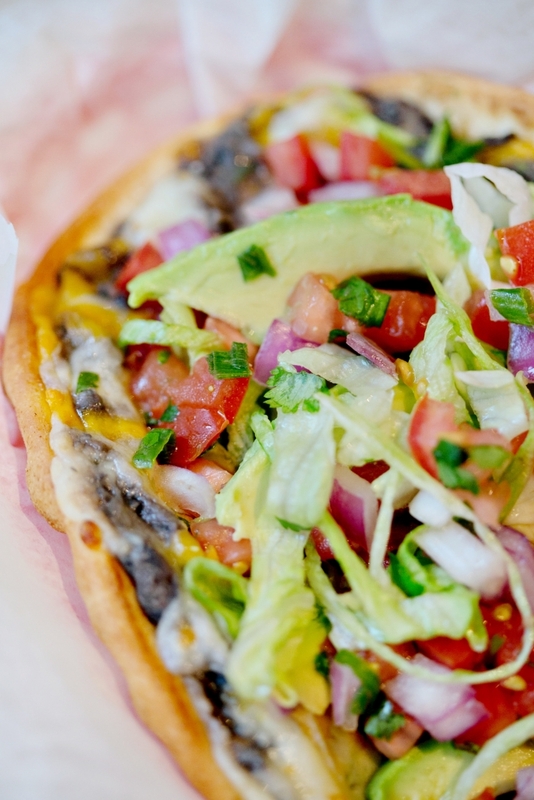 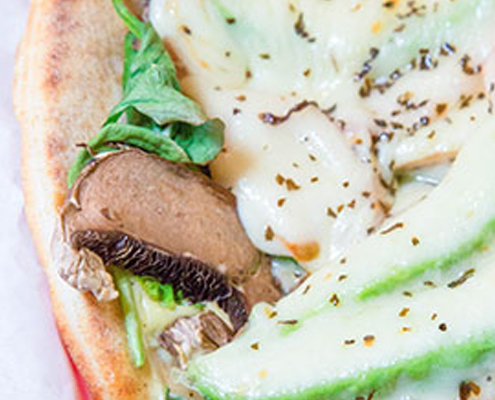 Sliced avocado, fresh spinach, mushrooms, and tomato with melted provolone on a warm pita with avocado ranch. 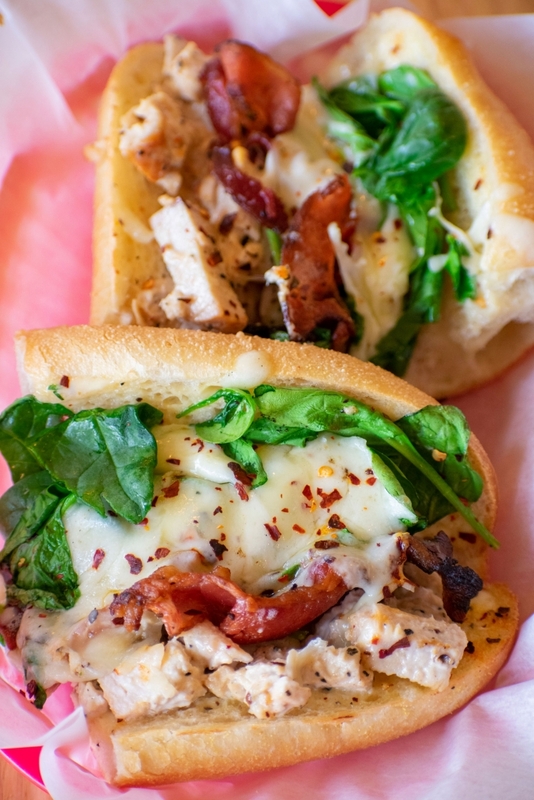 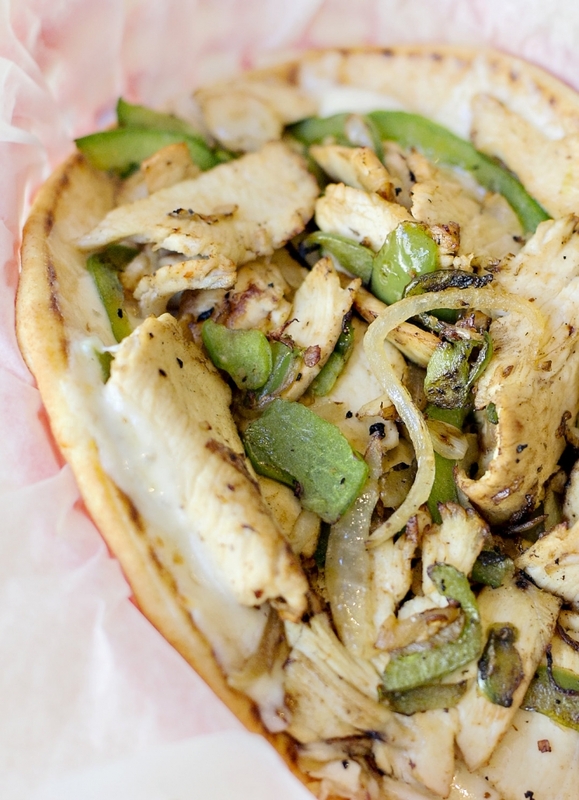 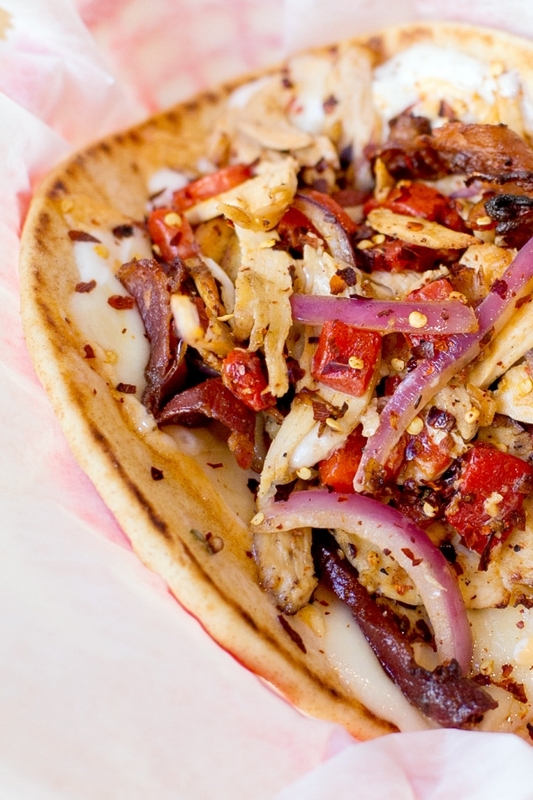 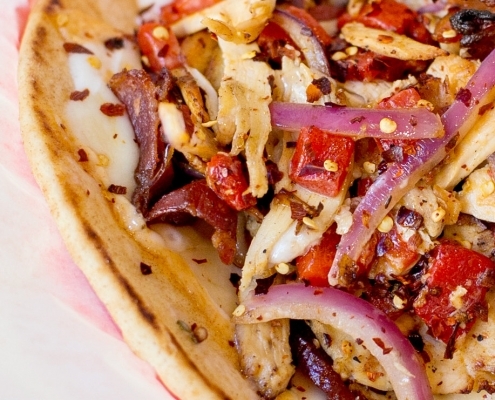 Grilled chicken breast, bacon, red peppers, red onions, ranch, zesty horseradish, swiss cheese, and a pinch of crushed red pepper served hot on a pita. 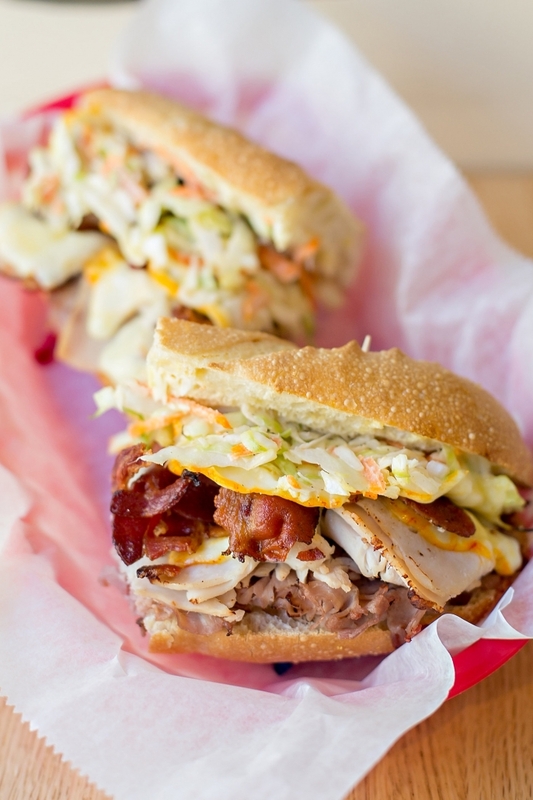 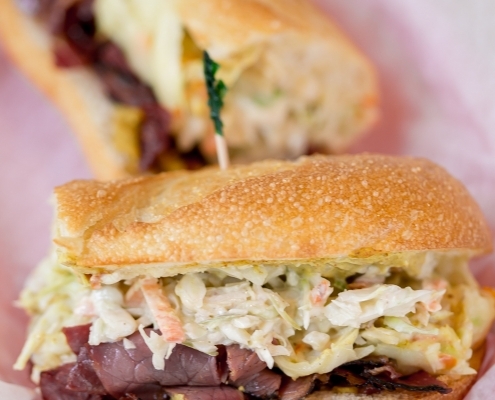 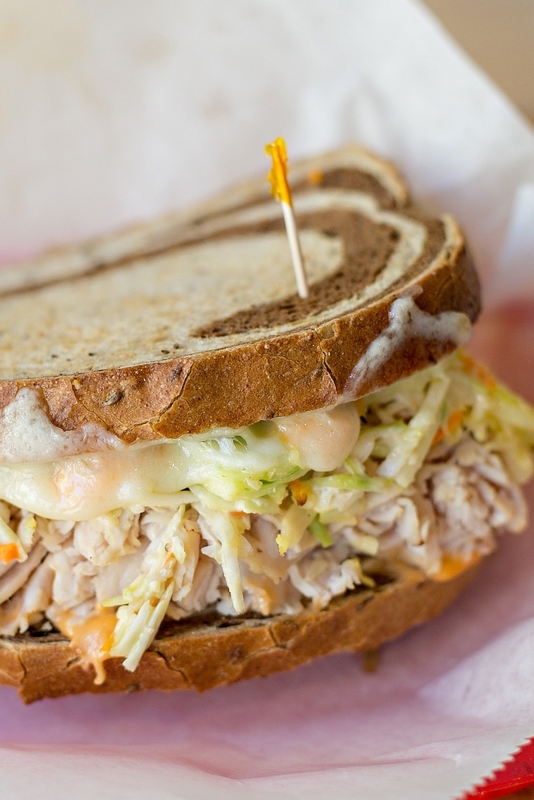 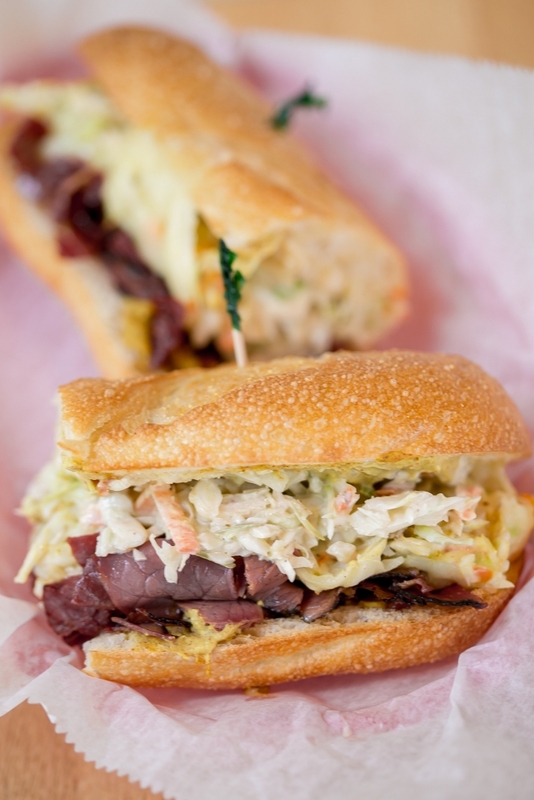 Lean roast beef, turkey breast, crispy bacon, and melted muenster topped with coleslaw and thousand island dressing on a toasted sub roll. 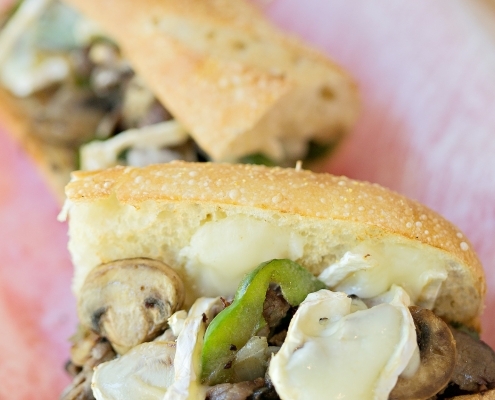 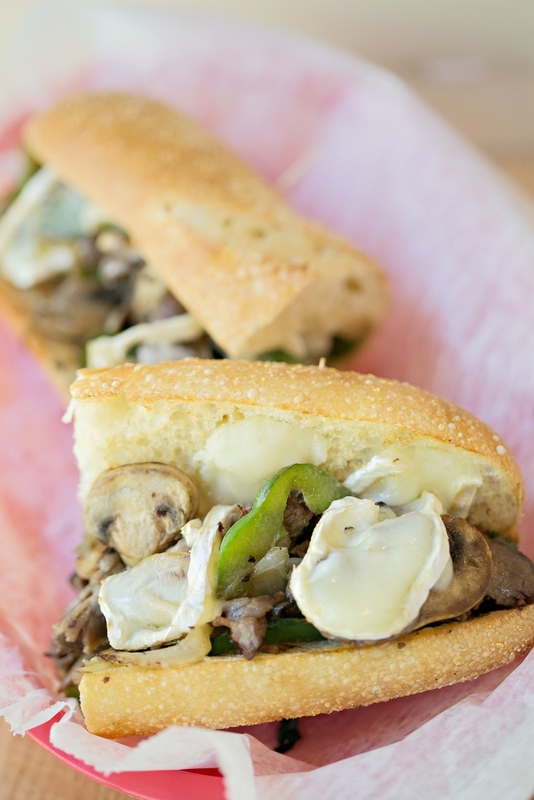 Lean roast beef, sautéed mushrooms, onions, and green peppers, with melted brie cheese and a touch of garlic mayo on a toasted sub roll. 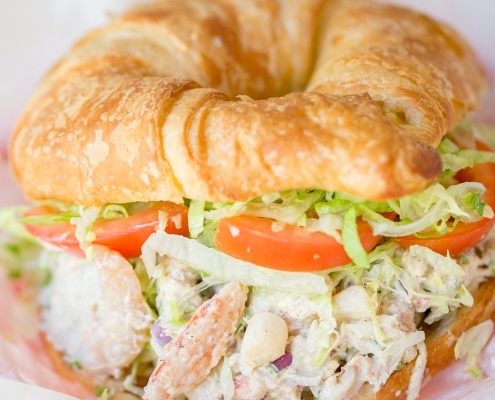 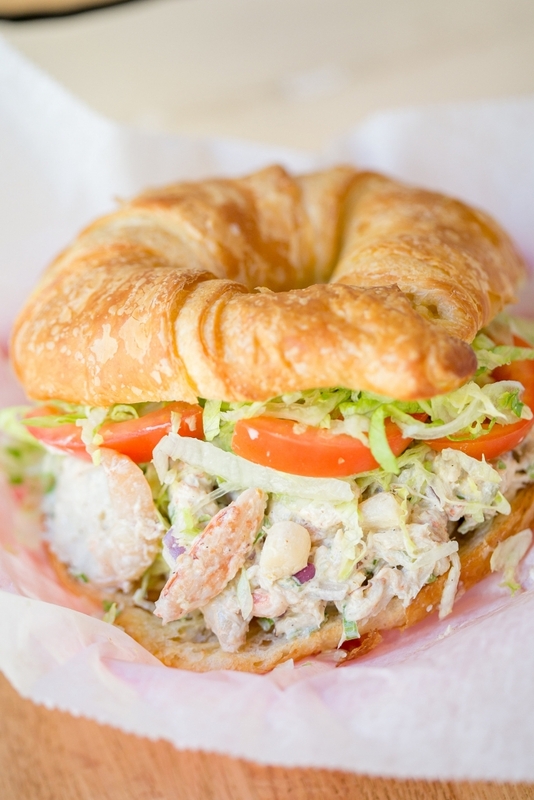 Crab meat, scallops, and shrimp; tossed with cilantro and mayonnaise; served cold on a buttery toasted croissant with lettuce and tomato. 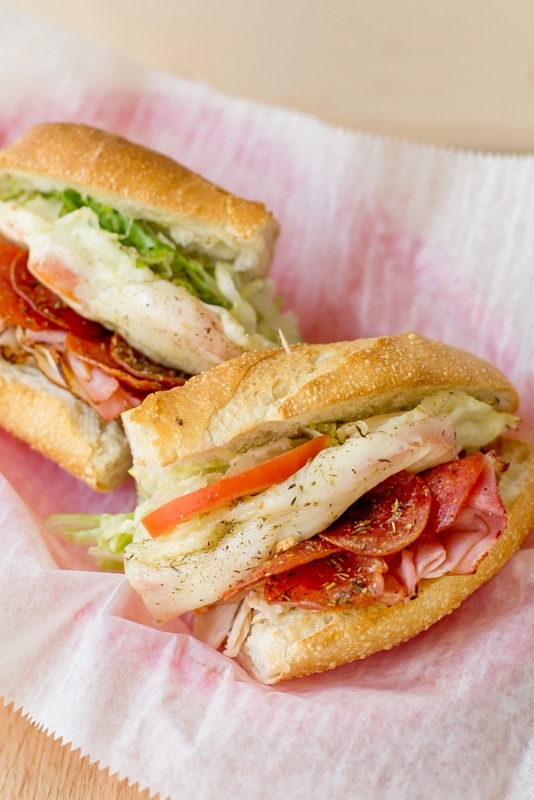 Genoa salami, turkey breast, melted provolone cheese, lettuce, tomatoes, onions, banana peppers, jalapeños, mayo, and a touch of oil & vinegar on a toasted sub roll. 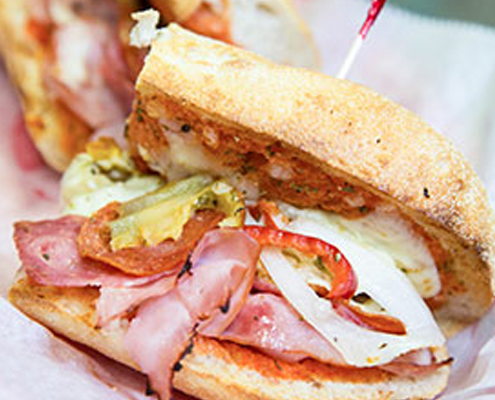 Our spicy tomato sauce, genoa salami, hickory ham, pepperoni, onions, and hot cherry peppers, covered with melted mozzarella cheese on a toasted sub roll. 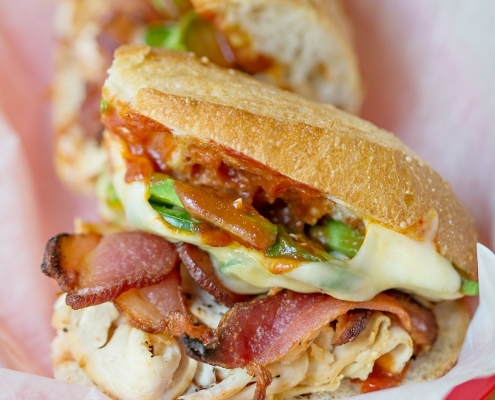 Sliced chicken breast, savory BBQ sauce, crispy bacon, and melted muenster topped with cool avocado and kicking jalapeños on a toasted sub roll. 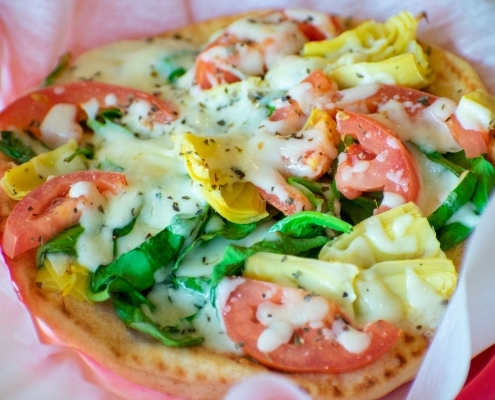 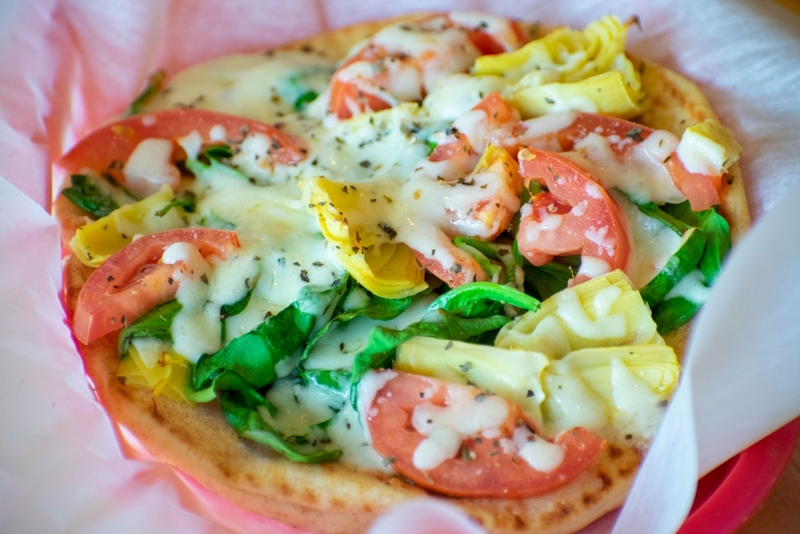 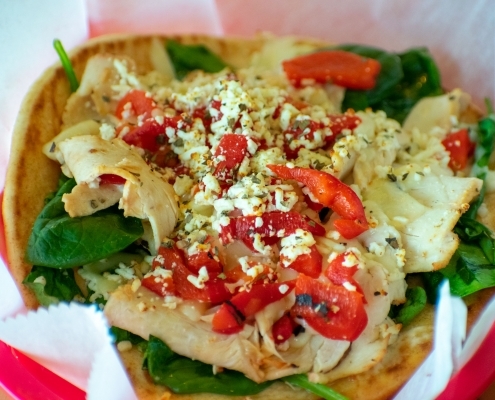 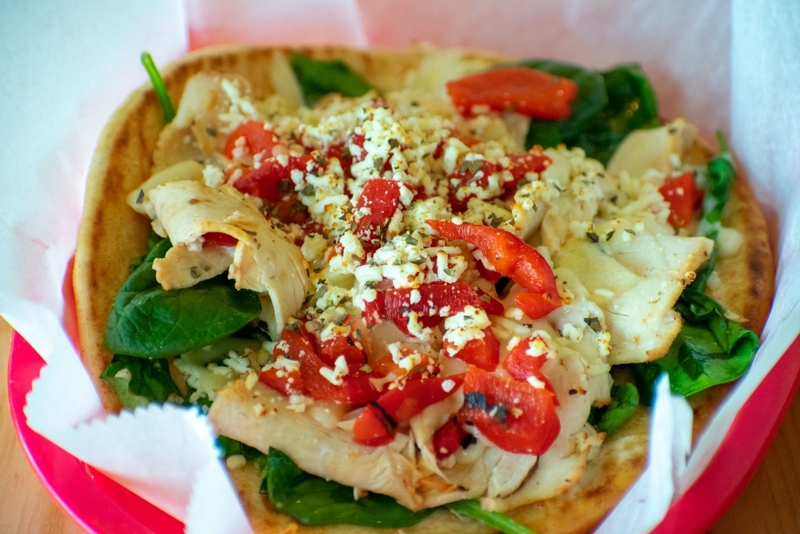 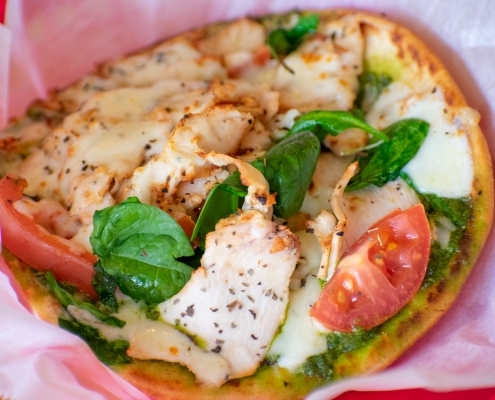 Fresh spinach, tomato, artichoke hearts, melted mozzarella, and fontina cheese served on a warm pita with a touch of basil. 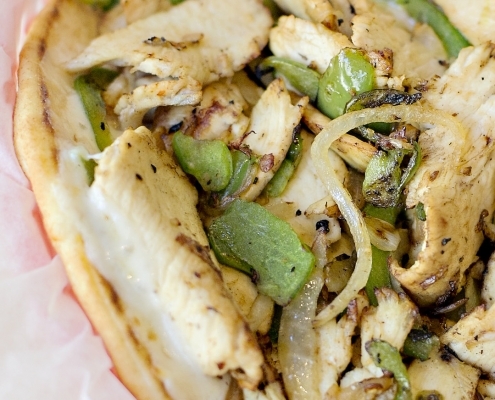 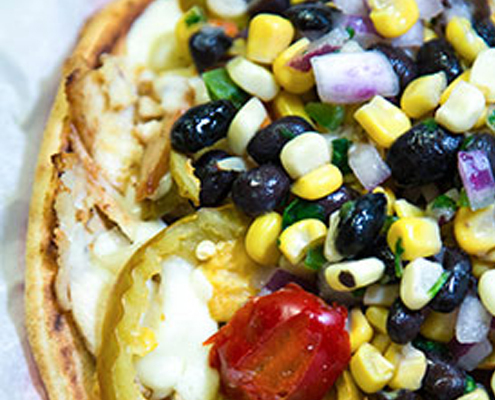 Grilled chicken, white onions, and melted mozzarella, topped with black beans, corn, and hot cherry peppers served on a warm pita with garlic mayo. 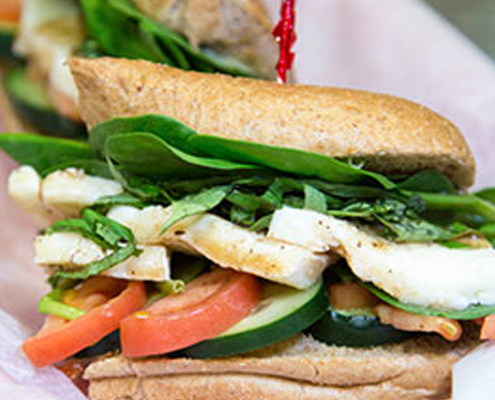 Fresh spinach, avocado, cucumber, and tomato, topped with fresh mozzarella on a toasted whole wheat sub roll with pesto mayo, a light balsamic drizzle, and fresh basil. 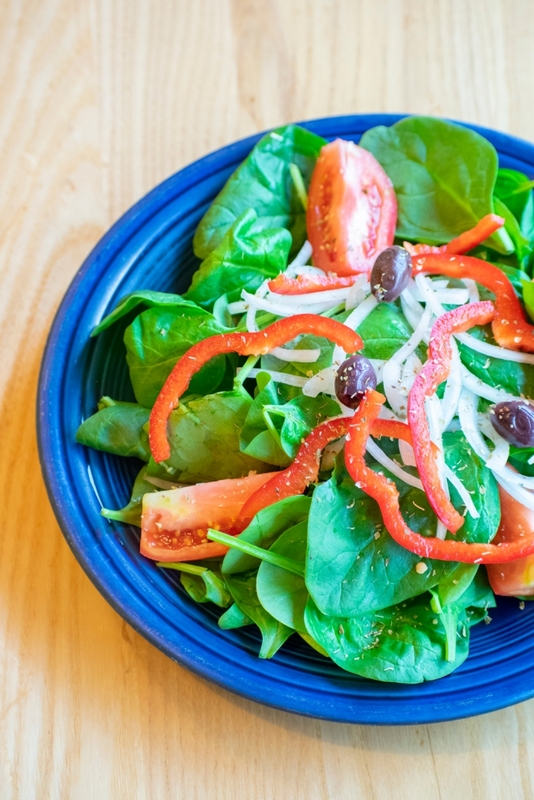 Fresh spinach, avocado, roasted red peppers, black beans, and corn served on a warm pita with melted mozzarella cheese and a balsamic drizzle. 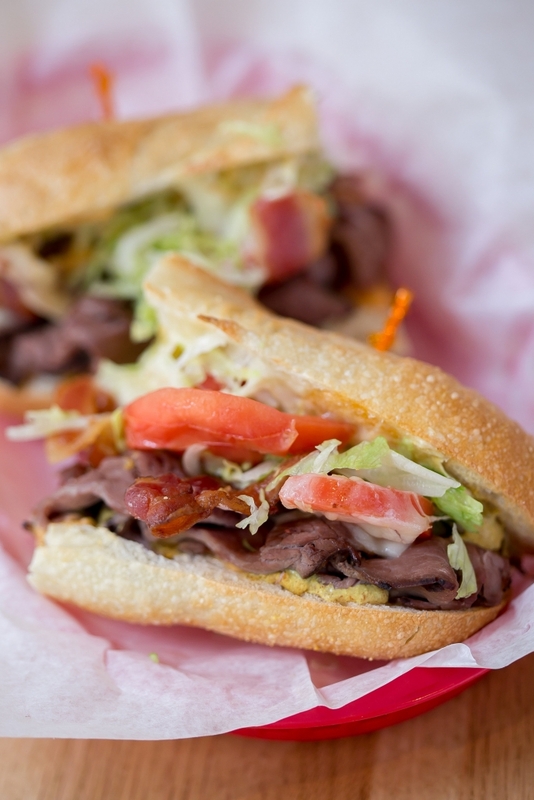 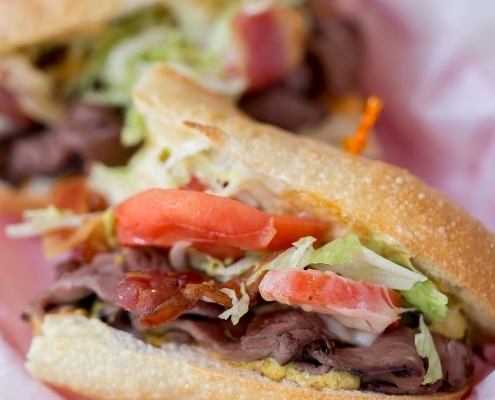 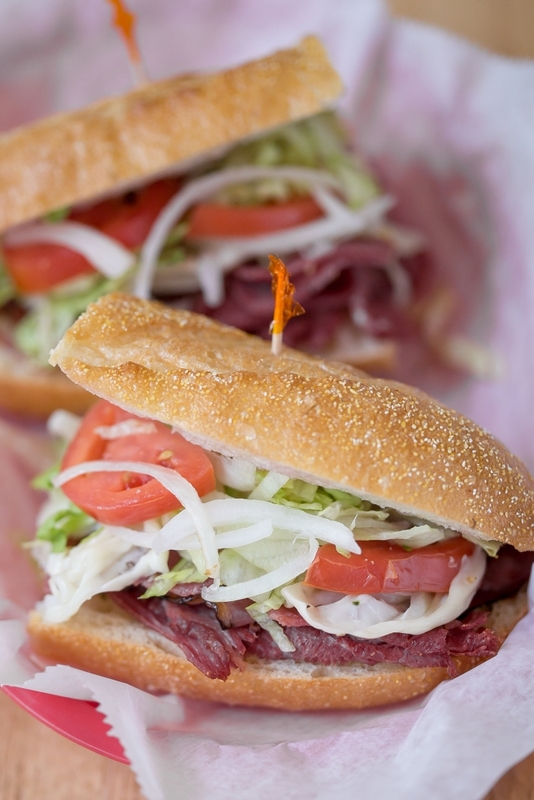 Lean roast beef, lettuce, tomato, red onion, hot cherry peppers, zesty horseradish sauce, and melted cheddar cheese served on a toasted sub roll. 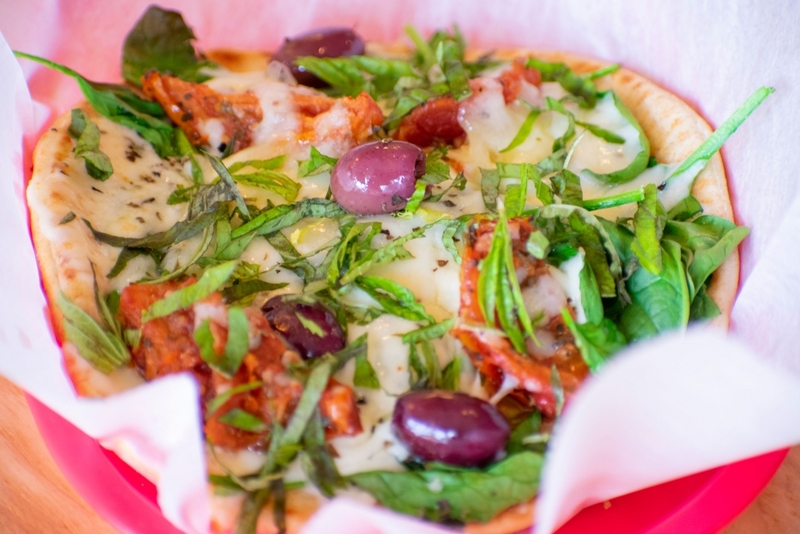 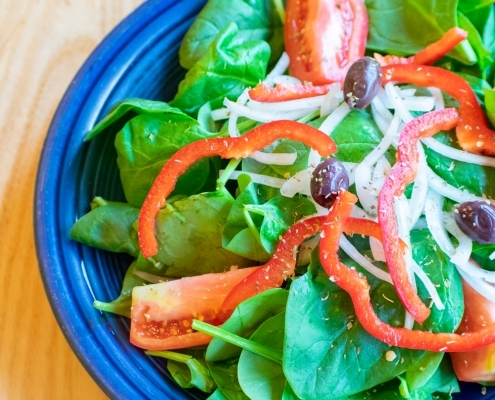 Fresh spinach, oven roasted tomatoes, kalamata olives, melted mozzarella, and fontina cheese topped with fresh basil and served on a warm pita. 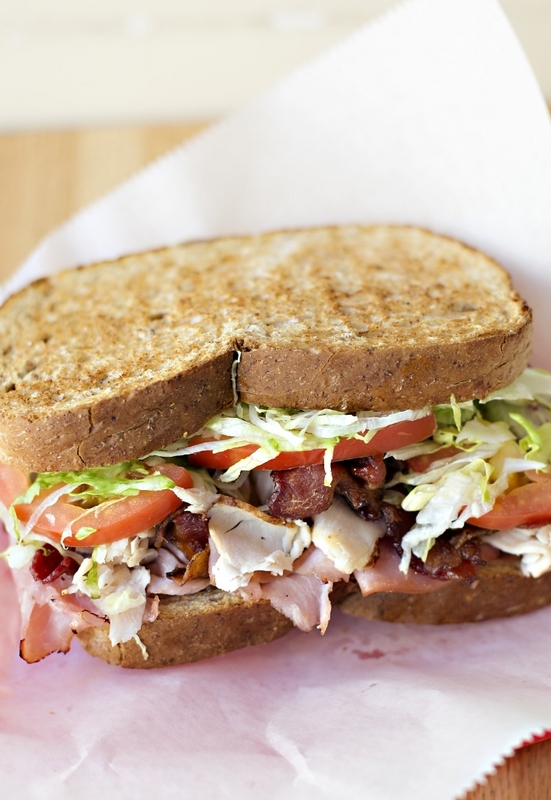 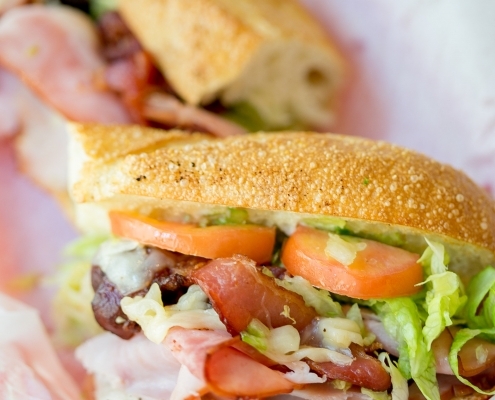 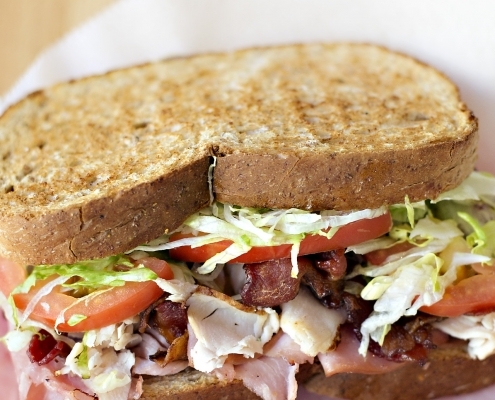 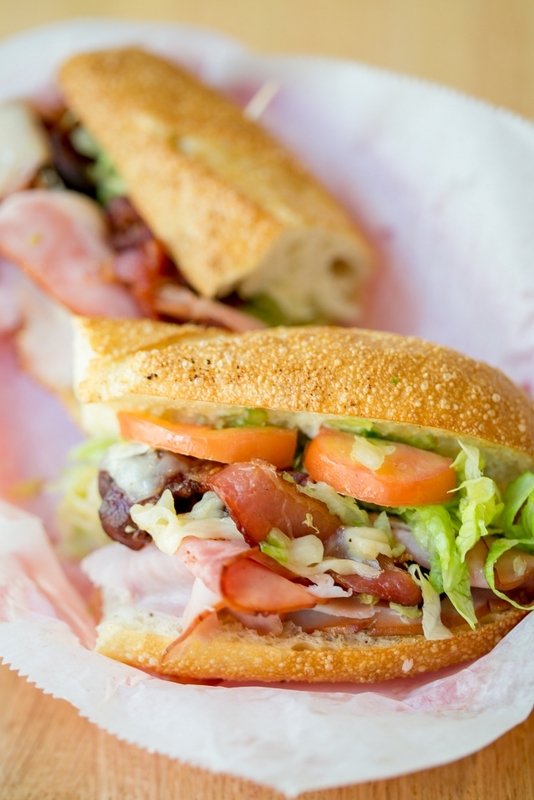 Hickory ham, turkey breast, crispy bacon, melted provolone cheese with lettuce, tomato and mayo served on whole wheat bread. 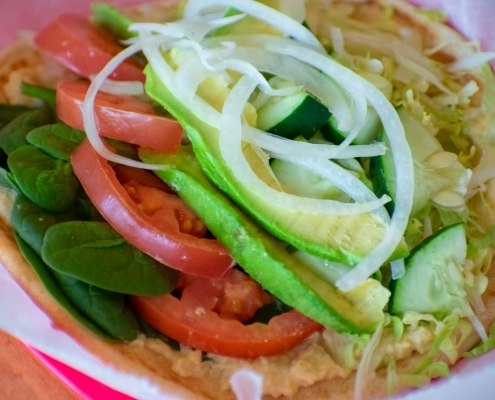 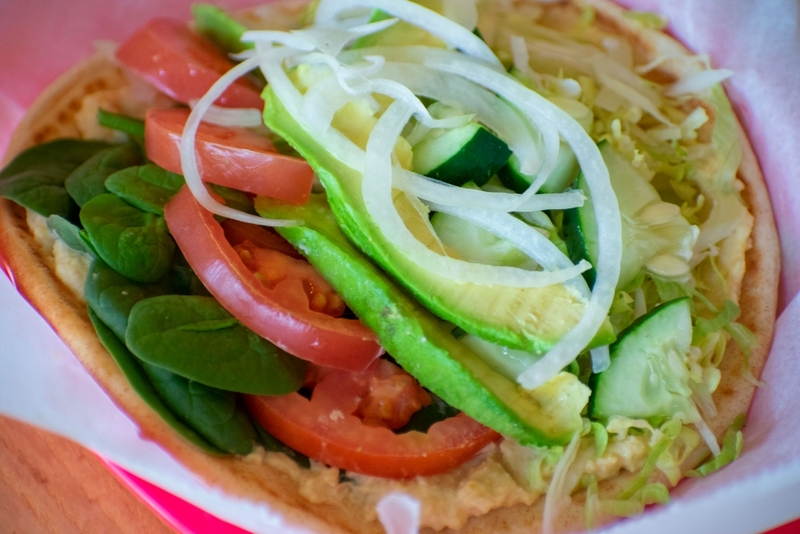 Hummus, tomatoes, onions, avocado, fresh spinach, and lettuce served cold on a warm pita. 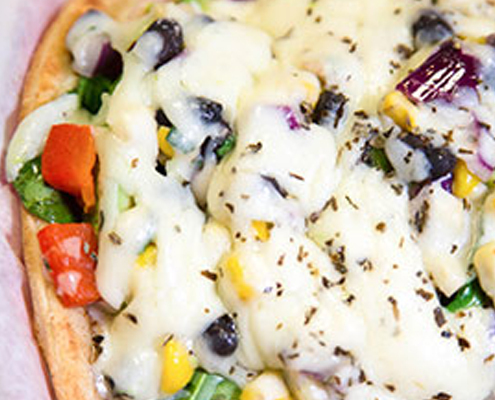 Homemade black bean dip spread on a warm pita with melted cheddar and mozzarella. 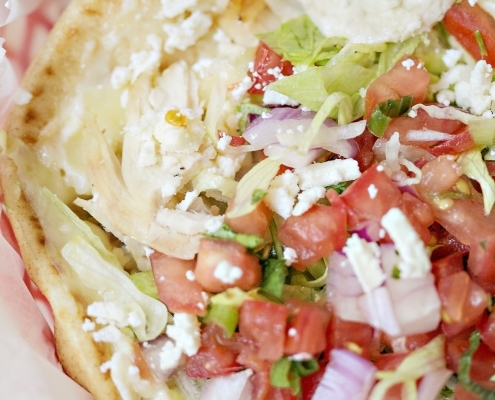 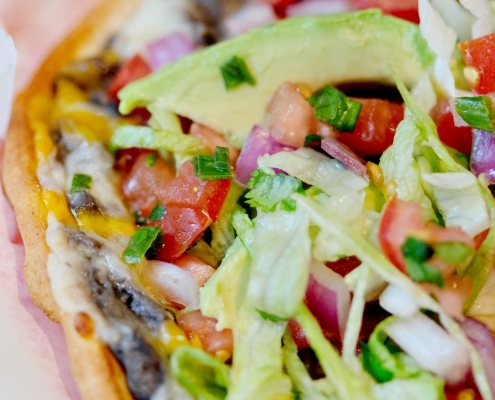 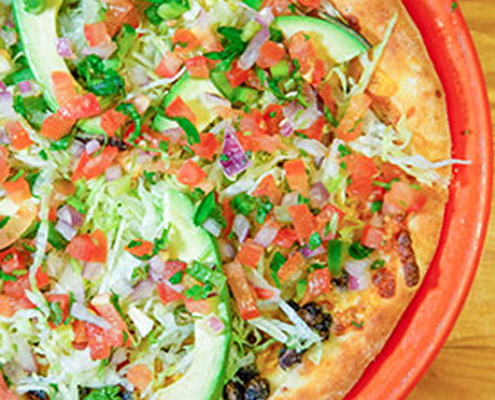 Topped with lettuce, pico de gallo, and avocado slices. 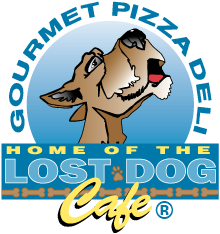 Lost Dog’s version of Buffalo. 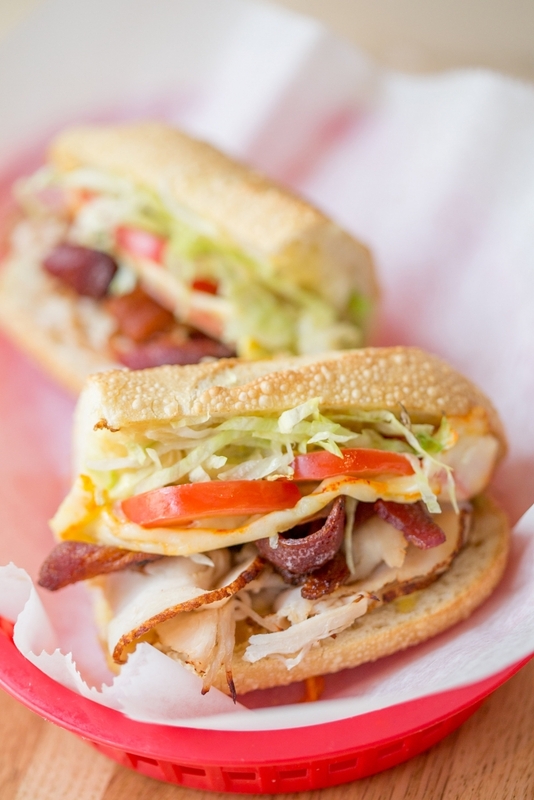 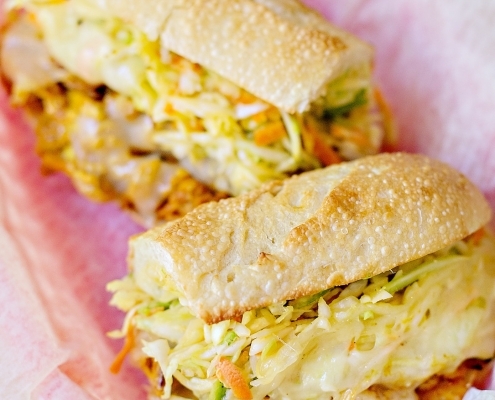 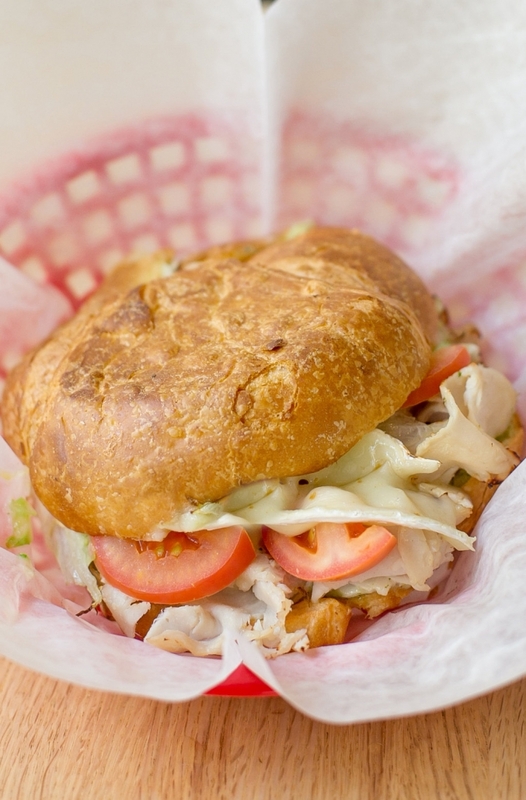 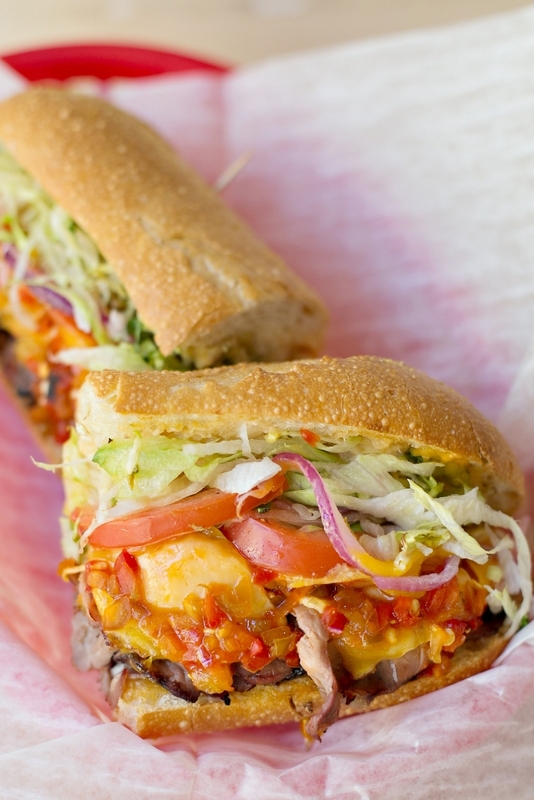 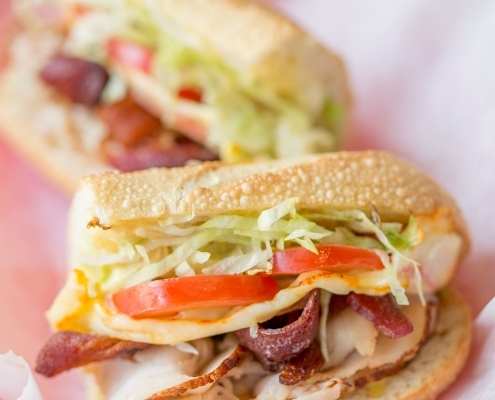 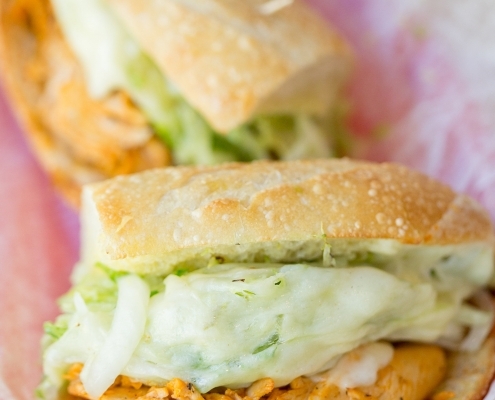 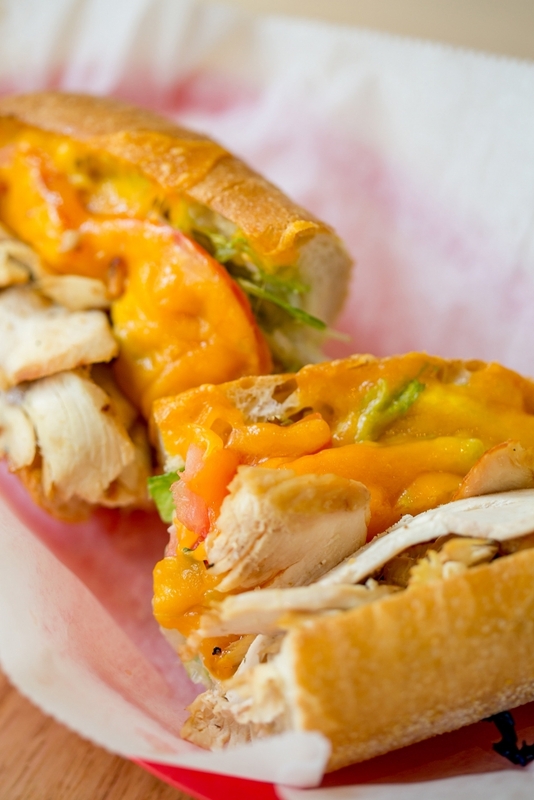 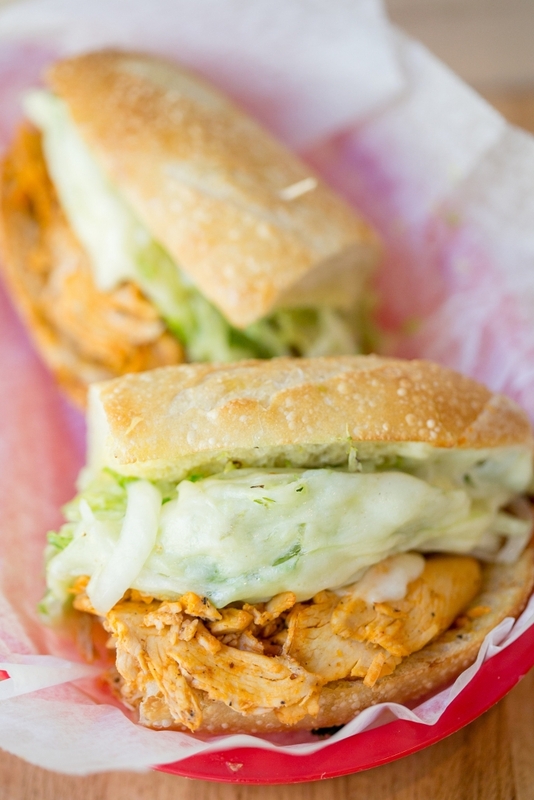 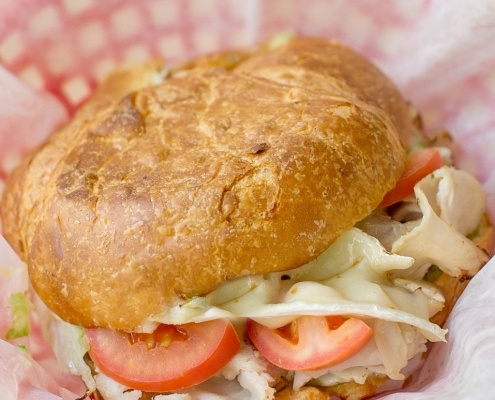 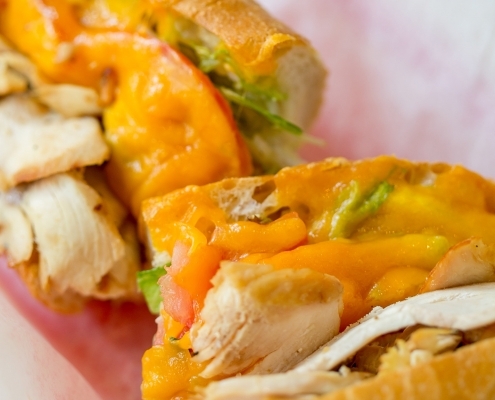 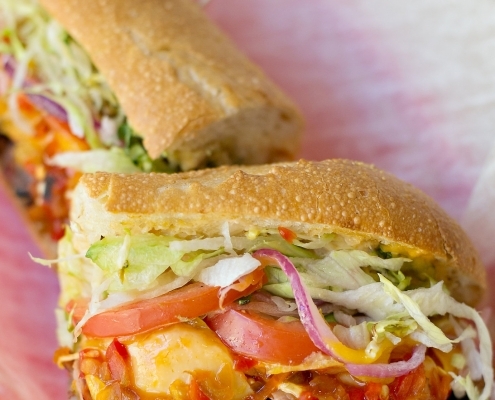 Texas Pete’s Hot Sauce marinated chicken, lettuce, onions, and melted provolone tucked into a toasted sub roll. 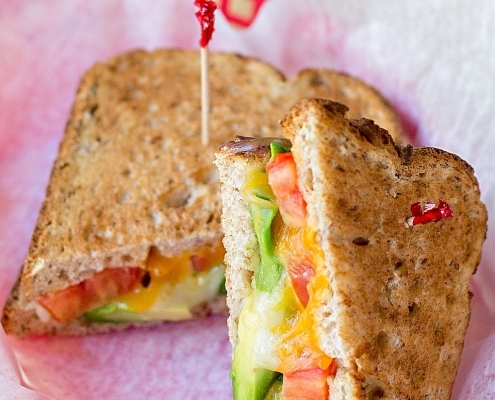 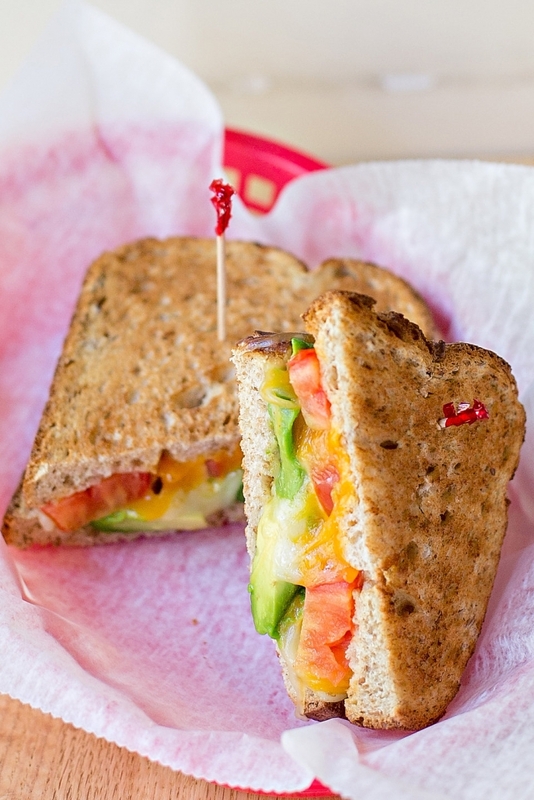 Melted cheddar and Swiss cheese, topped with tomatoes and avocado served on whole wheat bread. 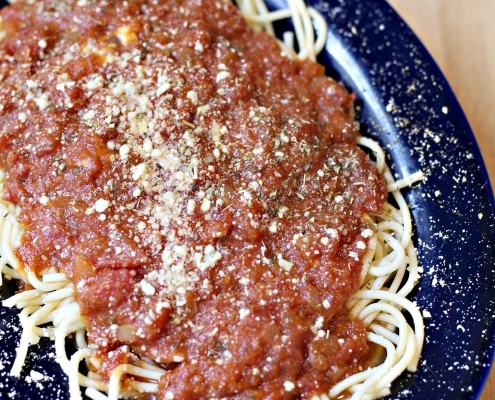 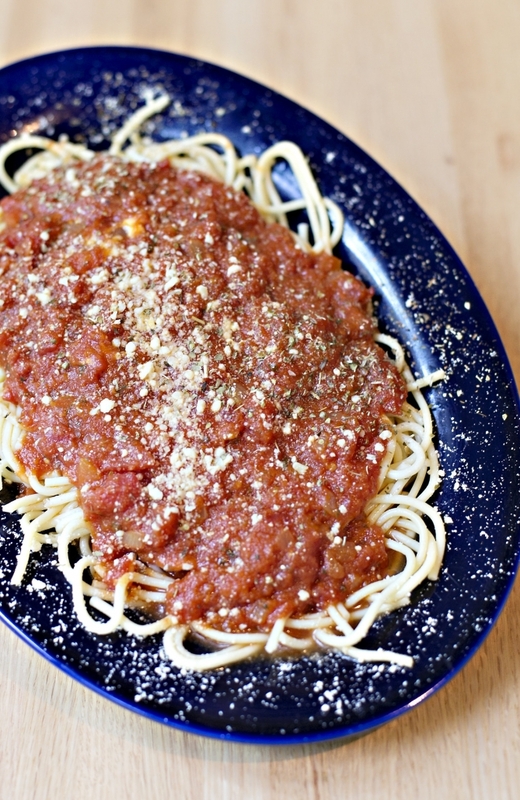 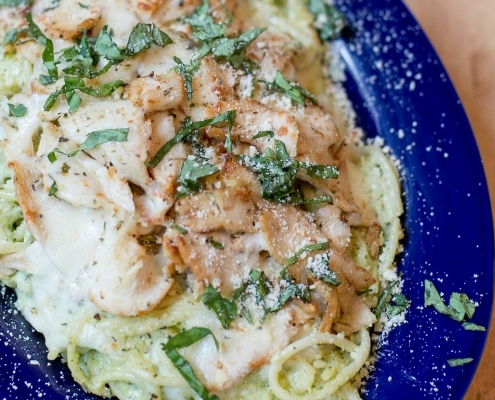 Topped with parmesan cheese and oregano. 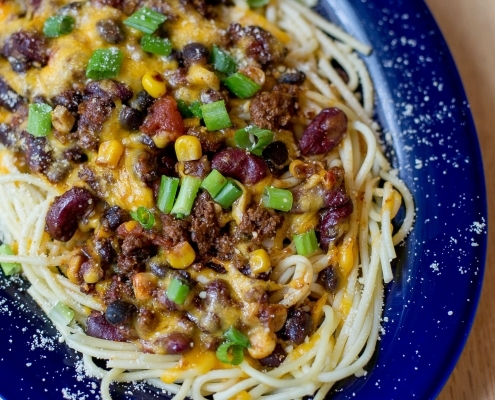 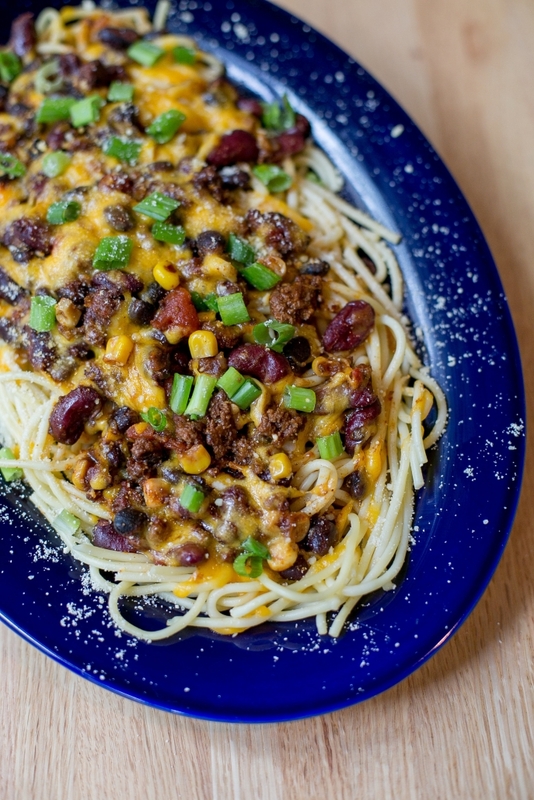 Our Lost Dog Chili over spaghetti topped with cheddar and green onion. 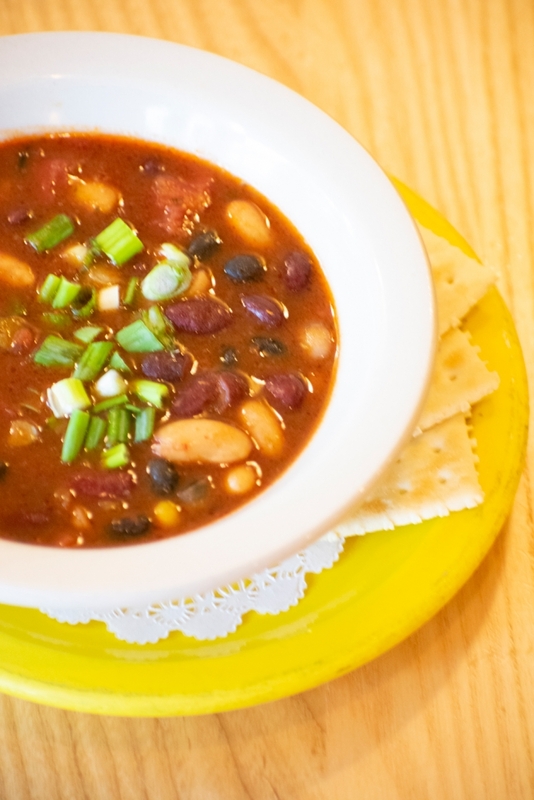 Try with our veggie chili. 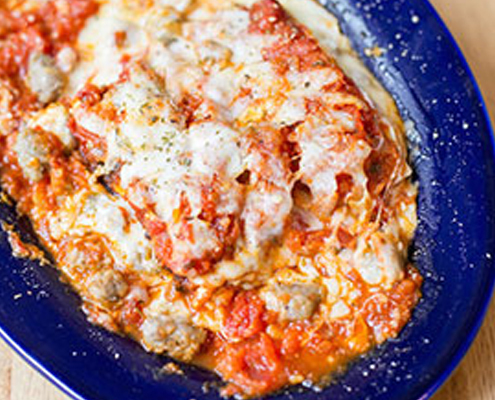 Ground Beef, marinara, mozzarella, and ricotta cheese, baked to perfection. 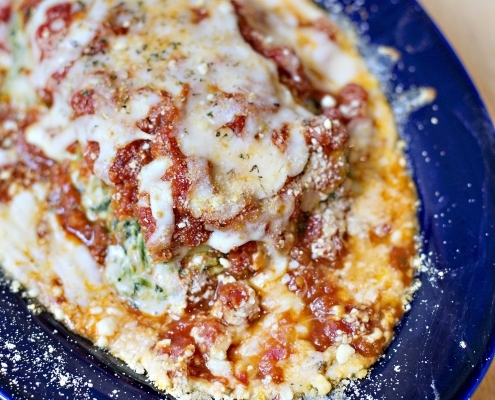 Spinach, marinara, mozzarella, and ricotta cheese, baked to perfection. 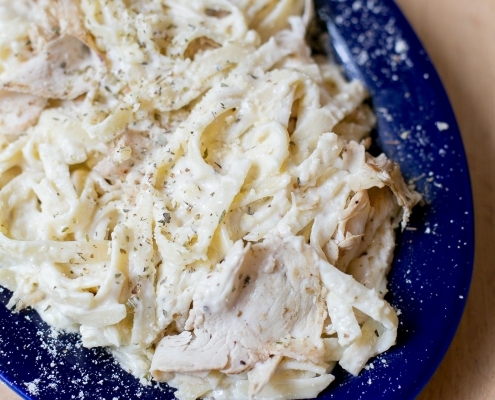 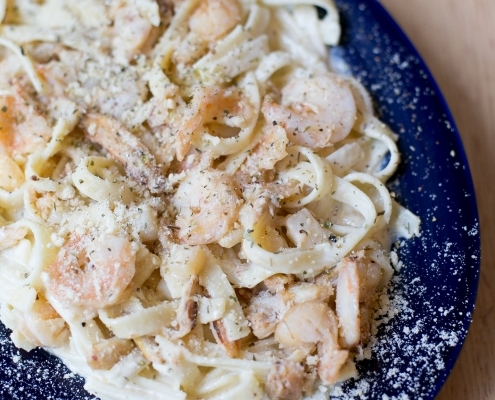 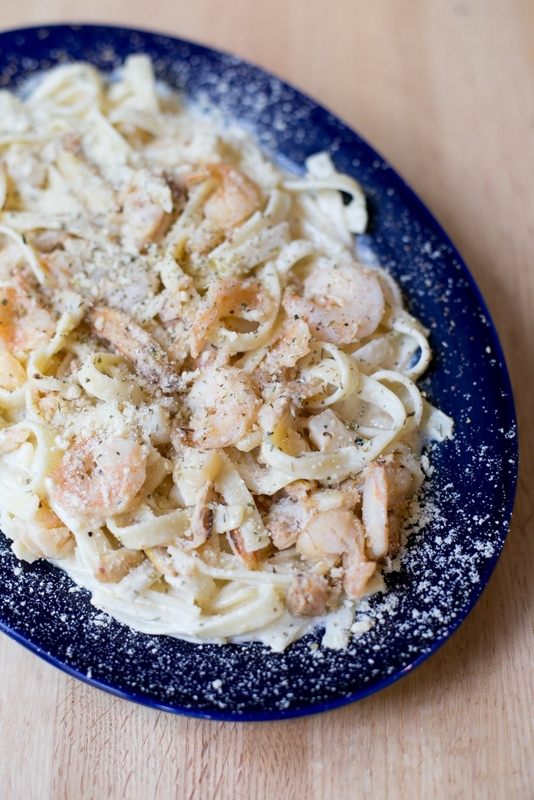 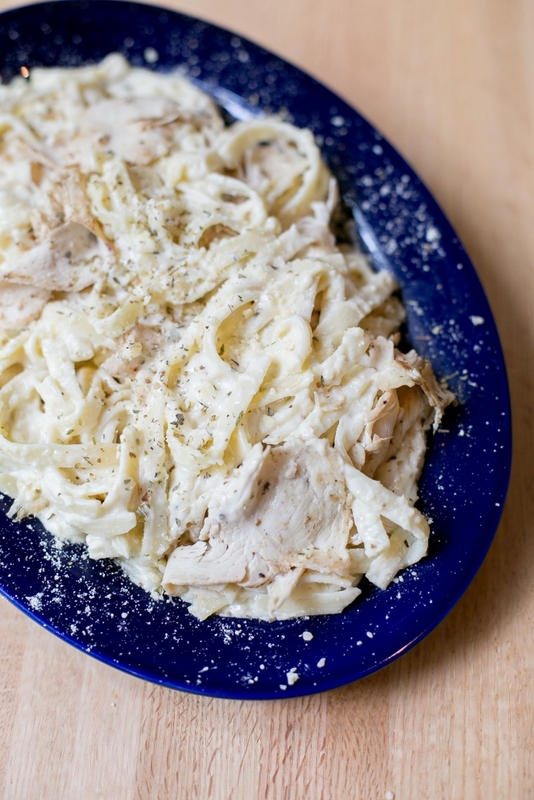 Fettucine noodles tossed in our creamy alfredo sauce. 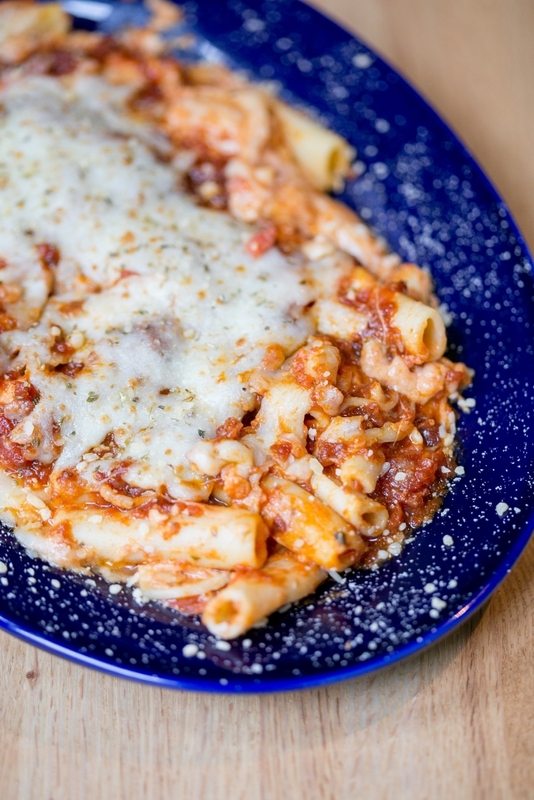 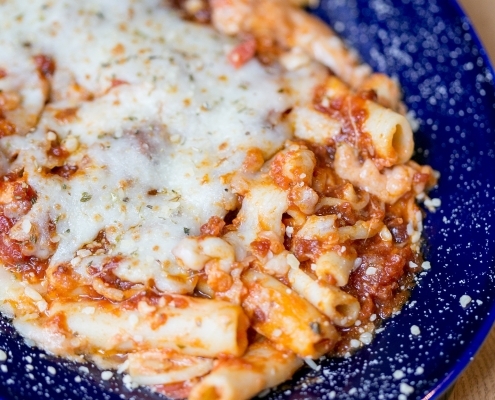 Our homemade recipe with penne pasta, parmesan, ricotta, and mozzarella cheeses smothered in marinara sauce. 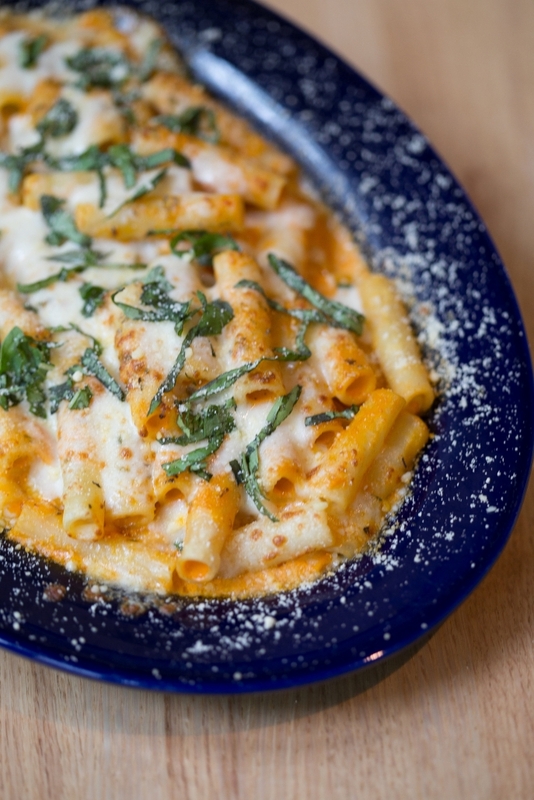 Penne covered with marinara sauce, melted mozzarella, and parmesan cheese topped with fresh basil. 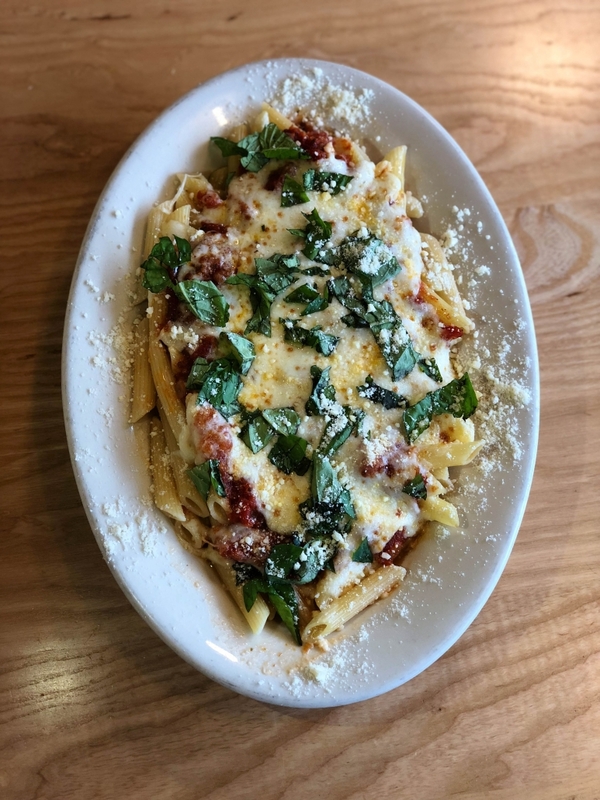 Penne pasta tossed in our house recipe of marinara cream sauce, fresh spinach and parmesan cheese, topped with fresh basil. 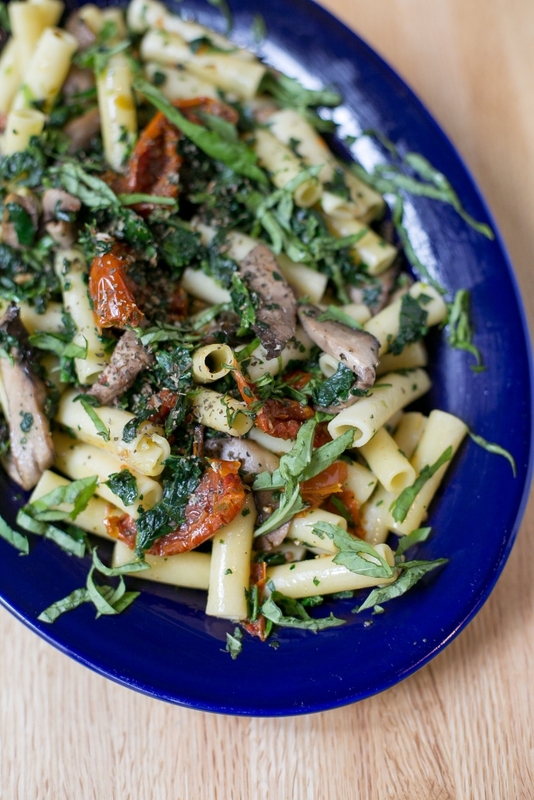 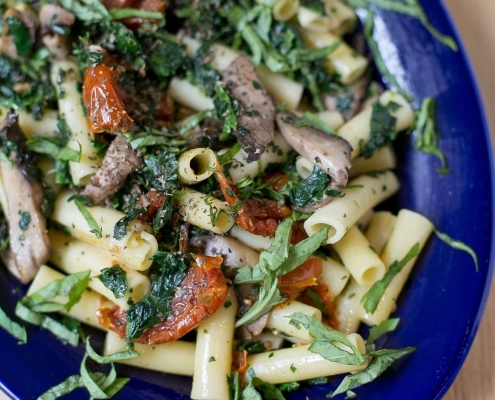 Penne pasta, portobello mushrooms, roasted tomatoes, and fresh spinach tossed in our homemade garlic and pesto sauce topped with parmesan cheese and fresh basil. 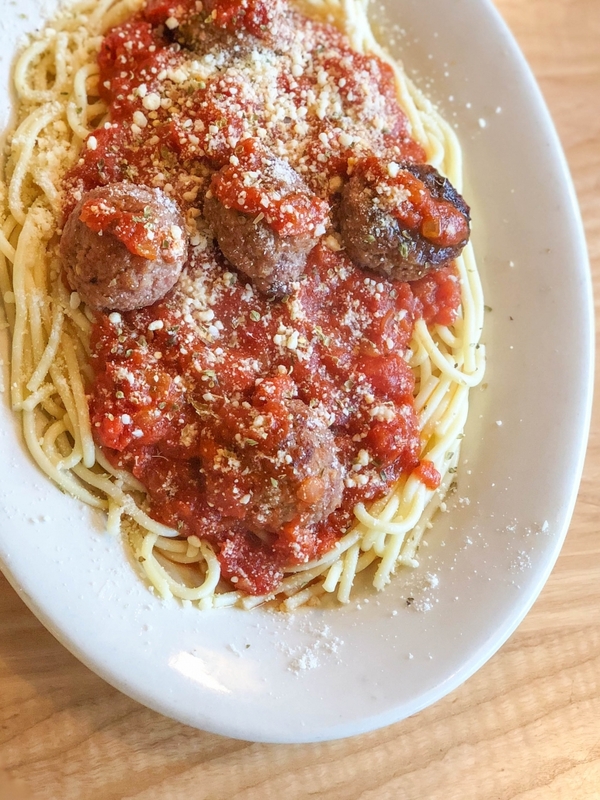 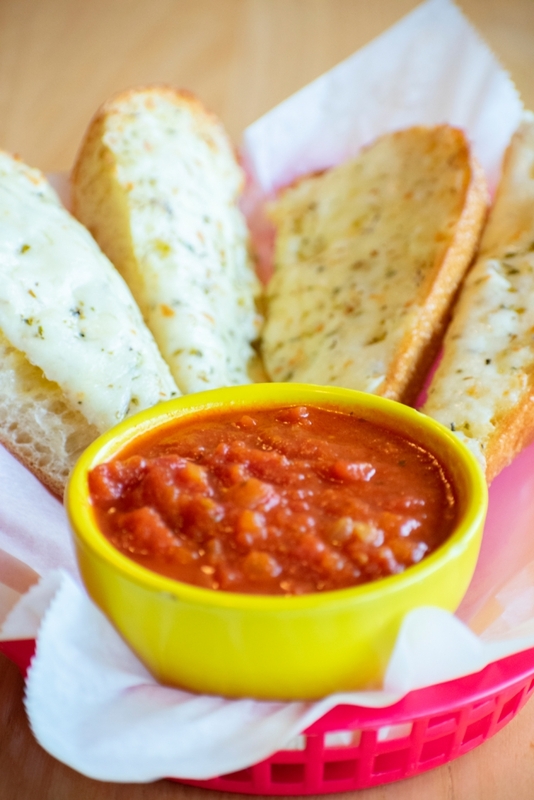 All pasta served with a side of garlic bread. 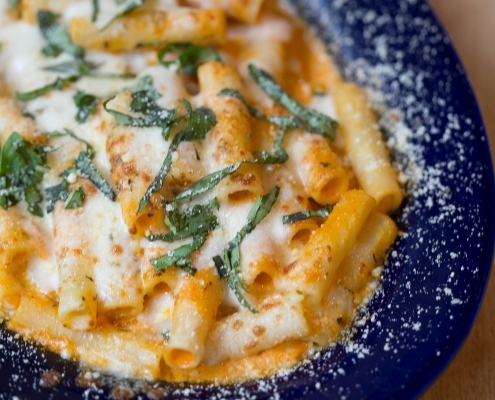 Gluten free penne pasta available upon request. 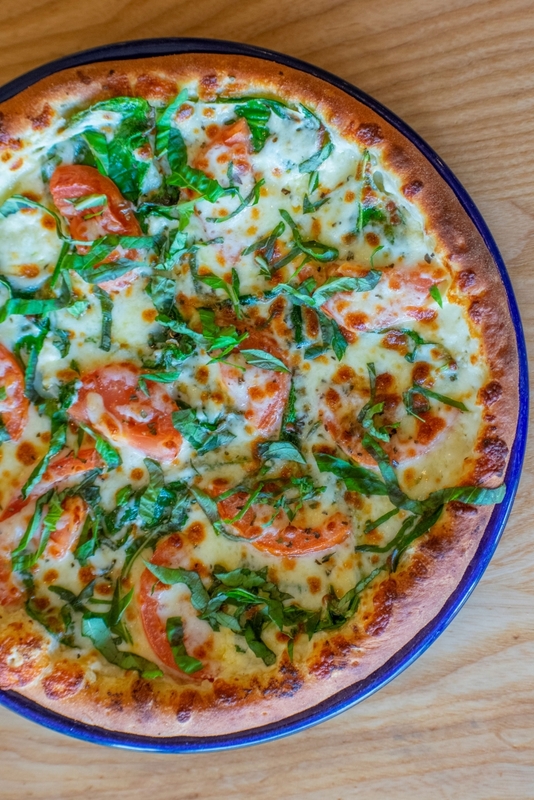 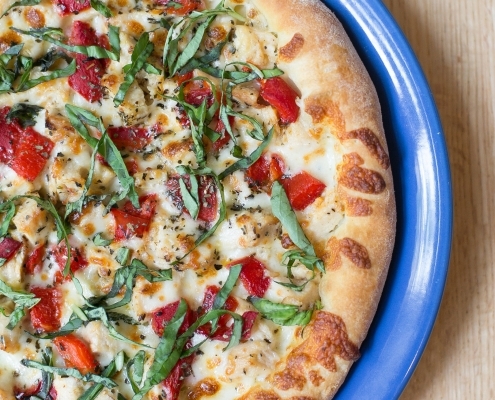 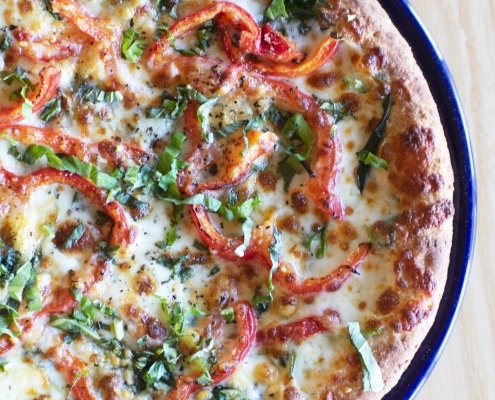 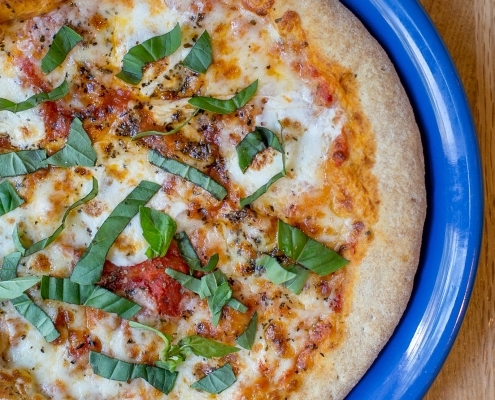 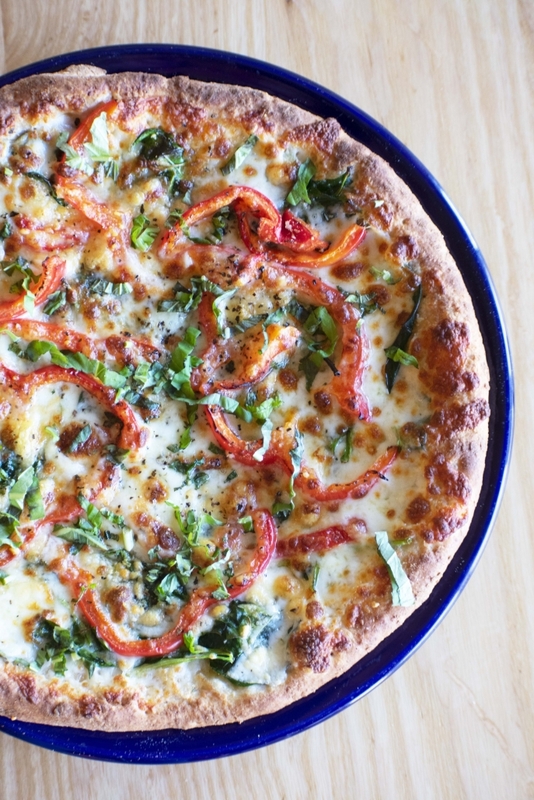 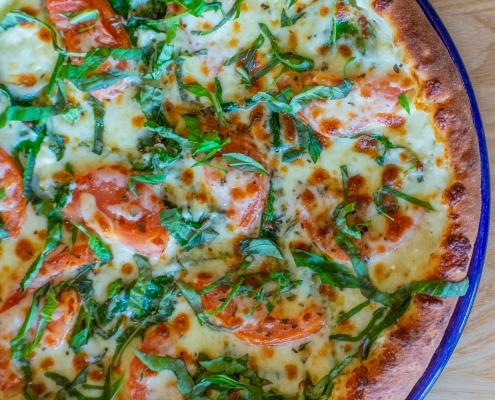 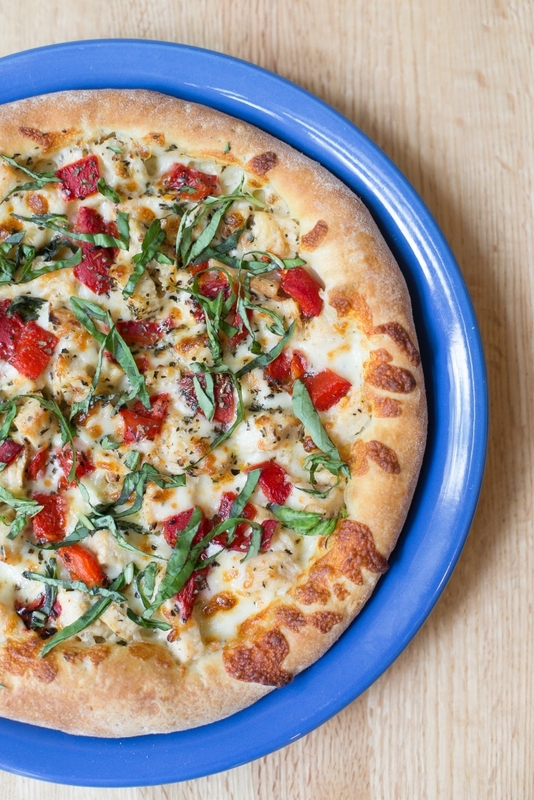 Our marinara sauce topped with fresh mozzarella on whole wheat pizza crust sprinkled with fresh basil. 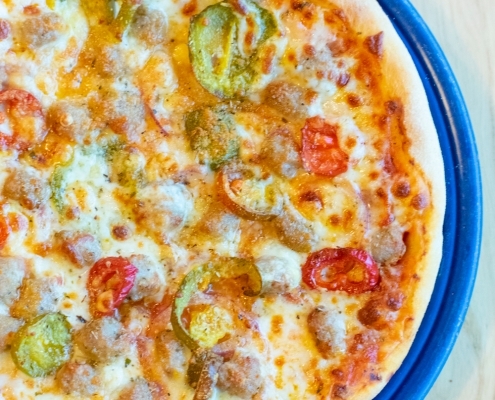 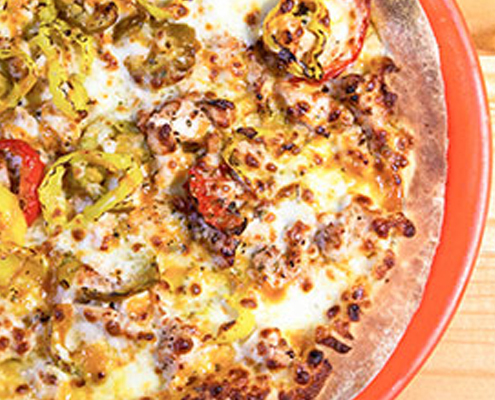 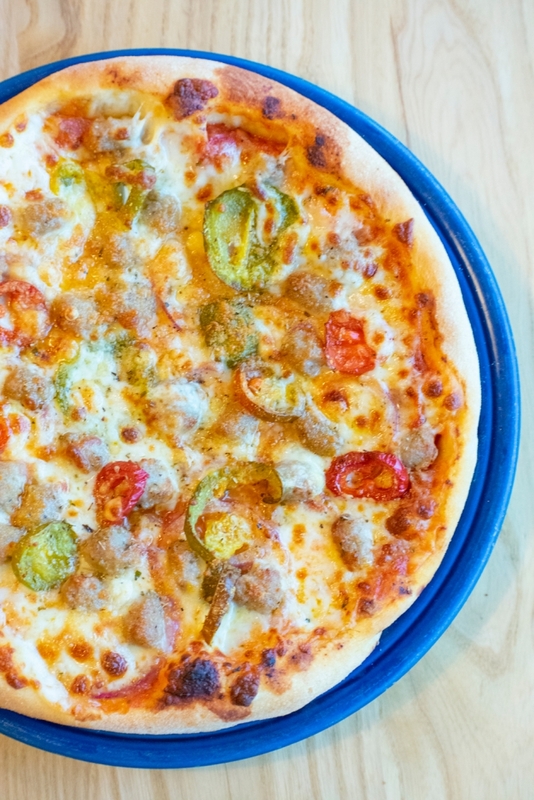 Our marinara sauce with mozzarella and fontina cheeses topped with sausage, hot cherry peppers, red onions, parmesan and oregano. 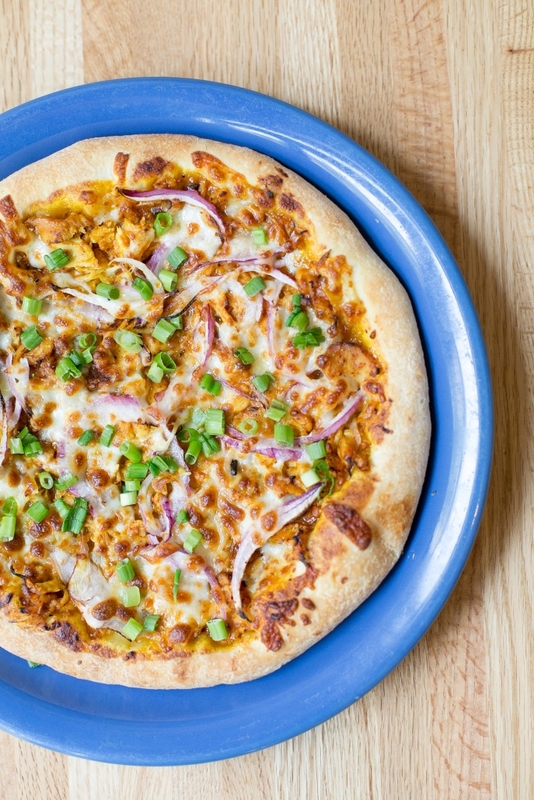 Homemade spicy pizza sauce topped with grilled chicken breast and red onions; covered with mozzarella and cheddar cheese. 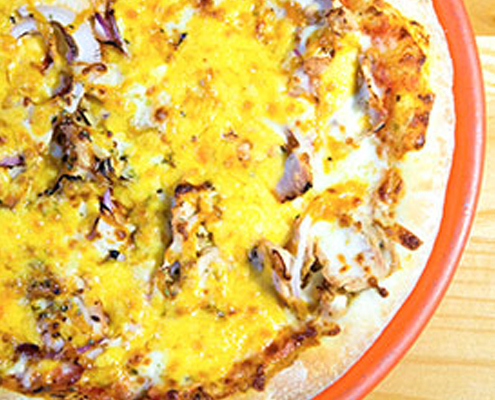 Finished with a zesty barbecue drizzle and oregano. 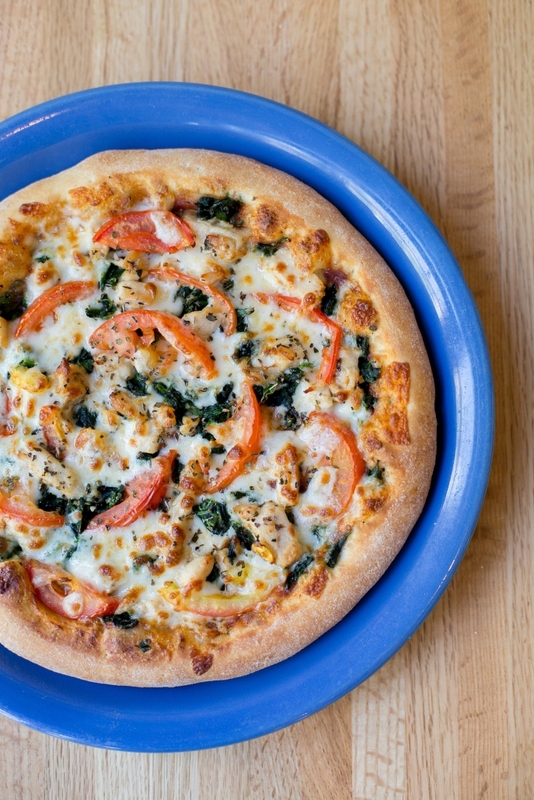 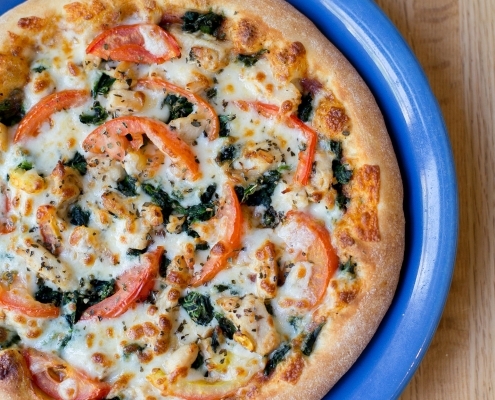 Homemade spicy pizza sauce, garlic chicken, spinach and sliced tomatoes, covered with mozzarella cheese and basil. 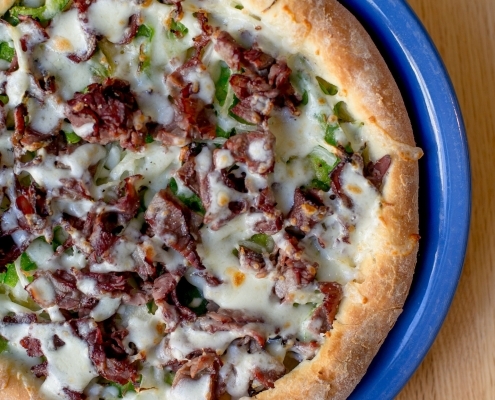 Thinly sliced Certified Angus Beef with sautéed onions and green peppers in a garlic sauce smothered in mozzarella cheese. 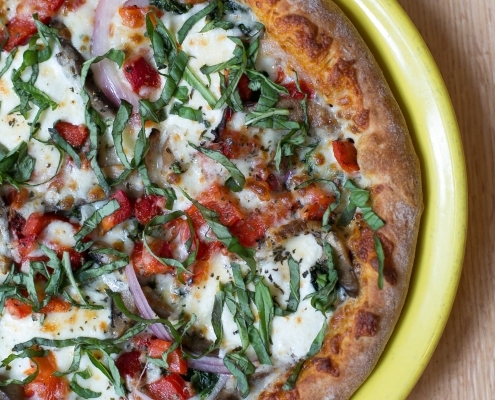 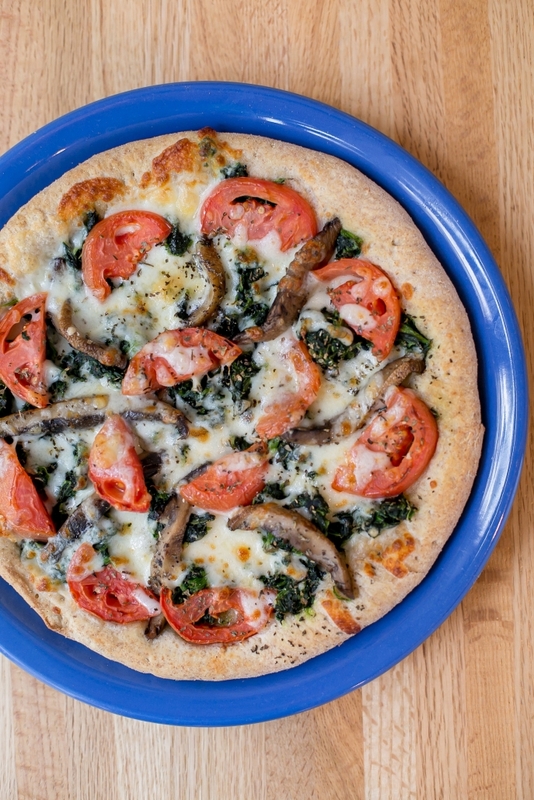 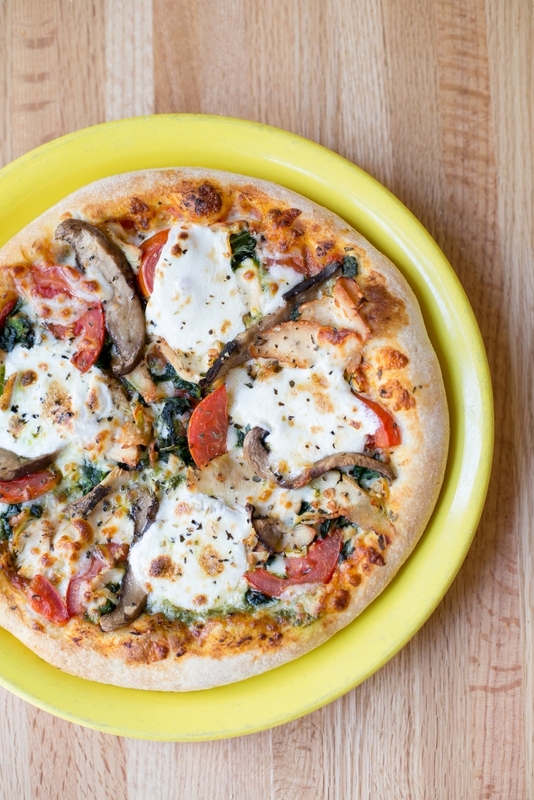 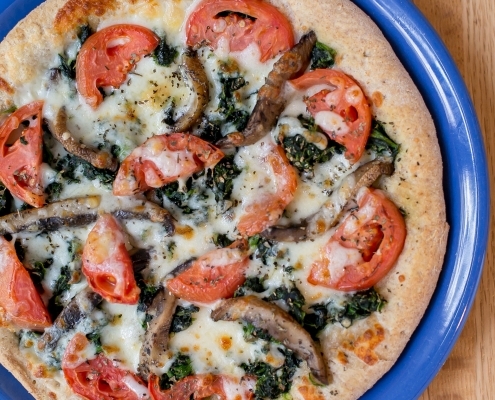 A white pizza with sliced portobello mushrooms, spinach, tomatoes, smothered with fontina and mozzarella cheeses topped with fresh basil on top of our housemade whole wheat pizza crust. 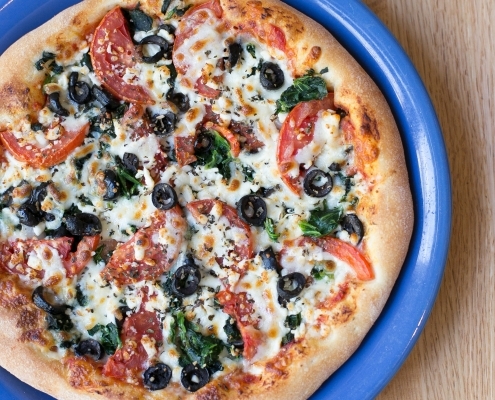 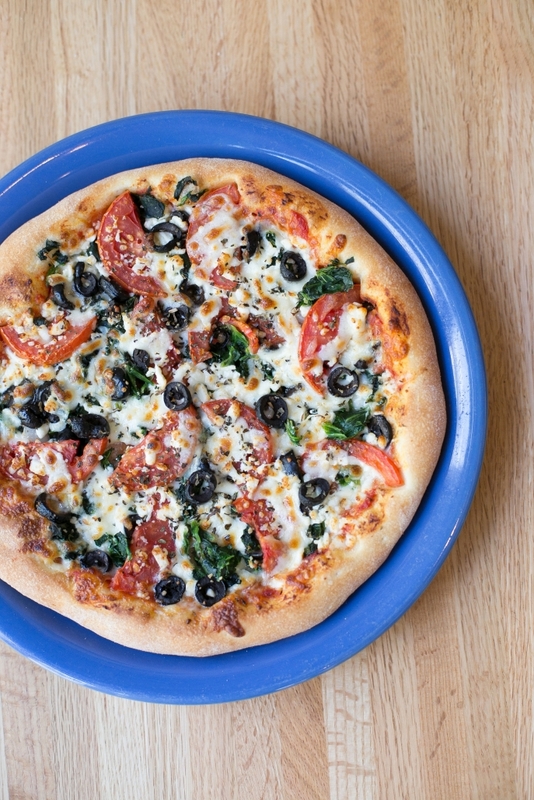 Homemade pizza sauce, spinach, onions, tomatoes, black olives, topped with feta and mozzarella cheese and basil. 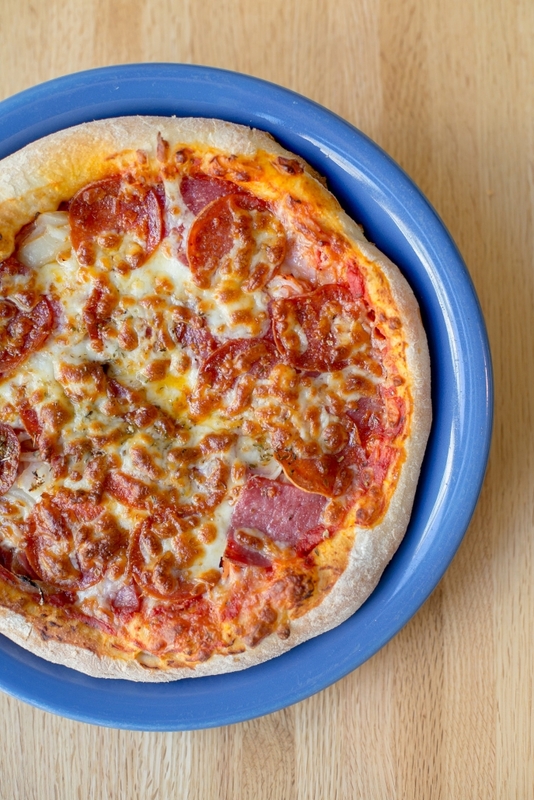 Homemade pizza sauce , Genoa salami, hickory ham, pepperoni and sliced onions covered with mozzarella cheese and a pinch of oregano. 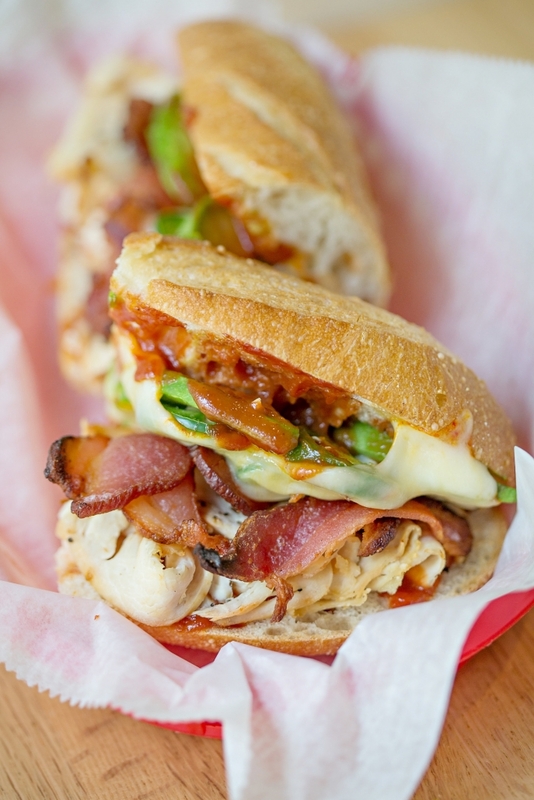 Zesty barbecue sauce topped with garlic chicken, banana and hot cherry peppers. 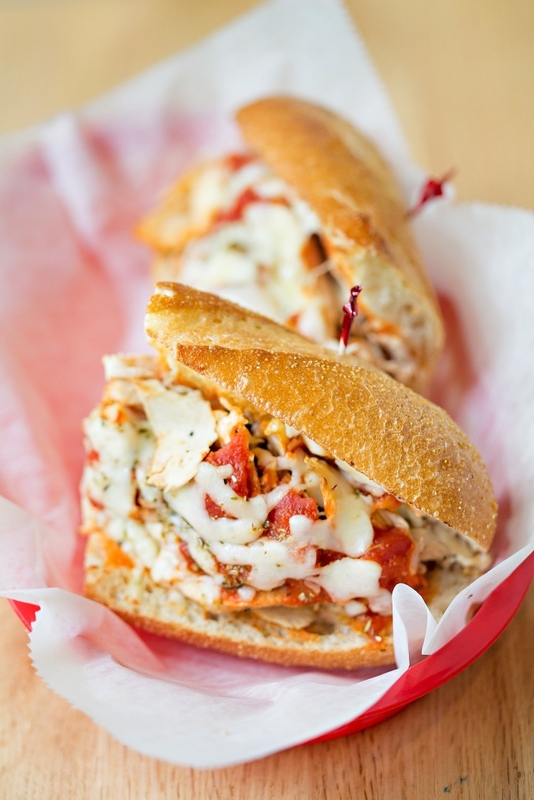 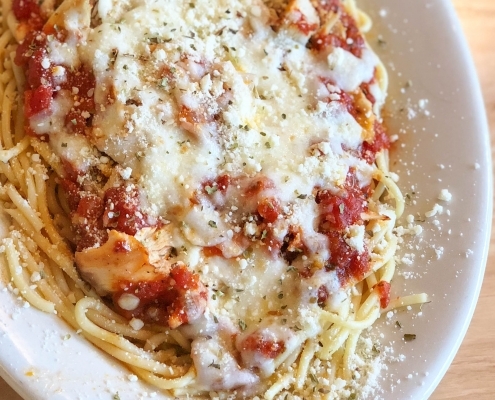 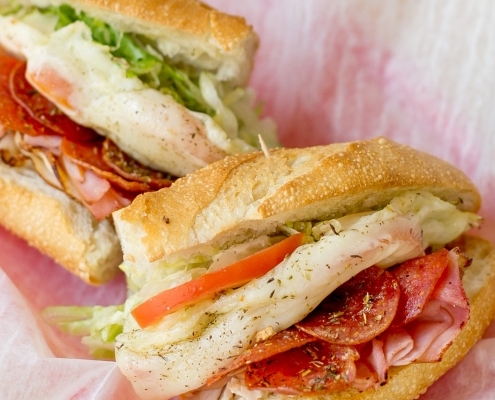 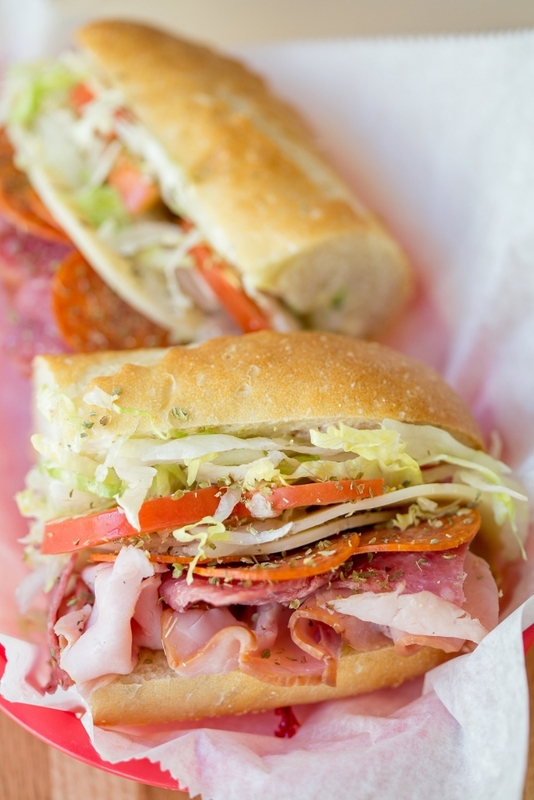 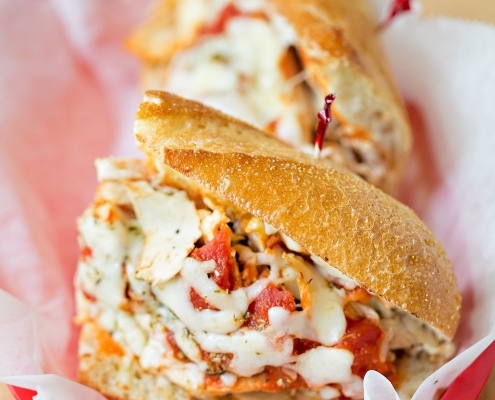 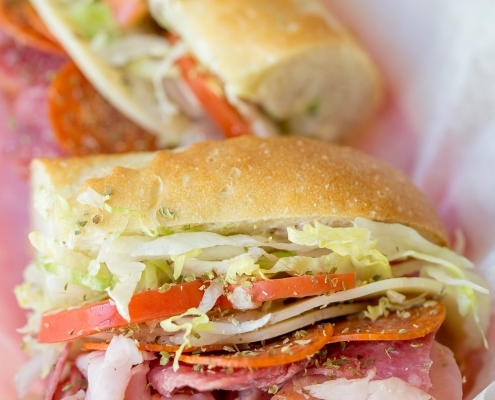 Topped with mozzarella and parmesan cheese. 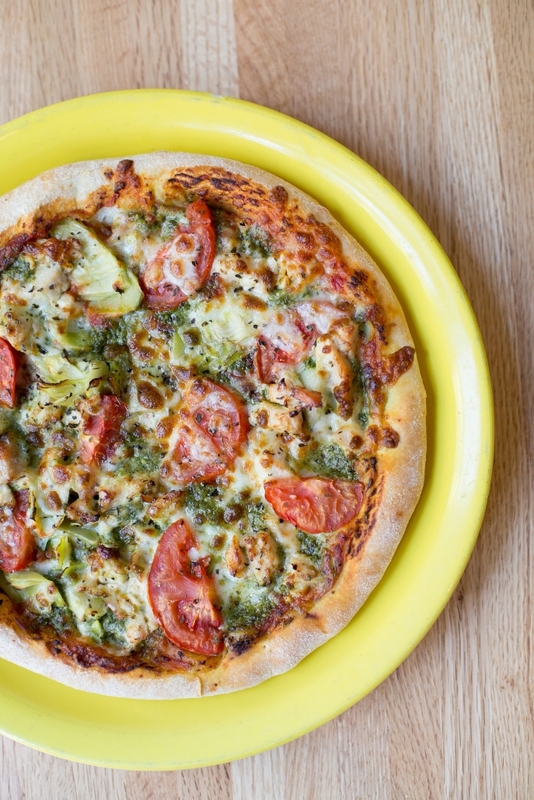 Homemade pizza sauce with pesto, artichoke hearts, garlic chicken, fresh tomatoes, mozzarella cheese and basil. 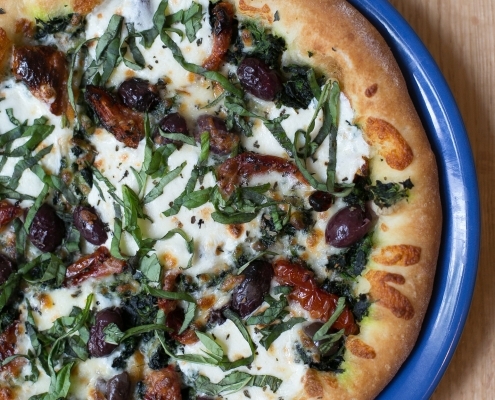 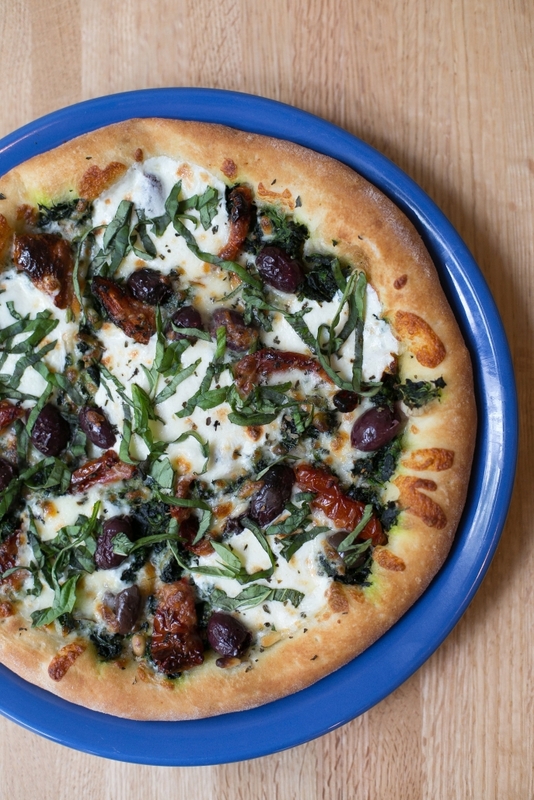 A white pizza with oven roasted tomatoes, pine nuts, kalamata olives, spinach and fresh mozzarella, topped with mozzarella and a sprinkle of fresh basil. 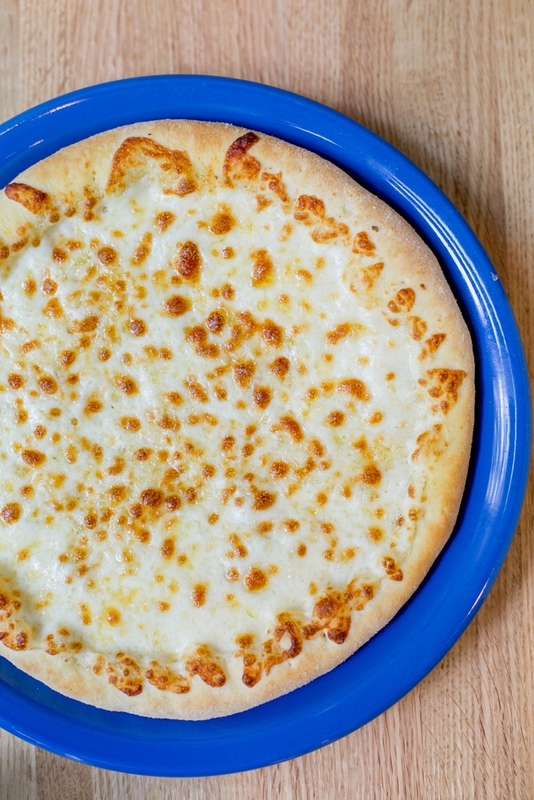 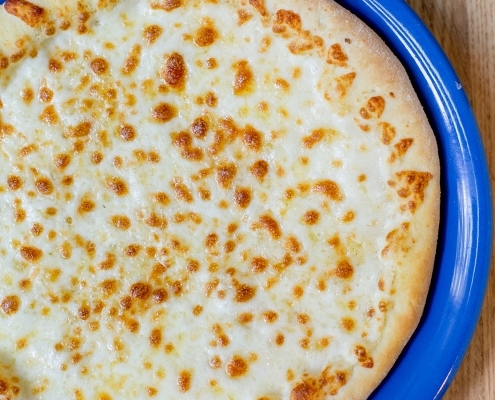 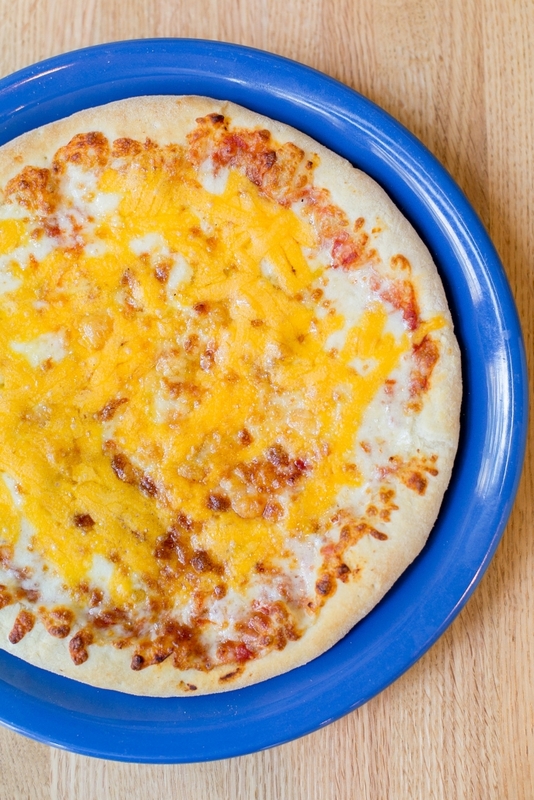 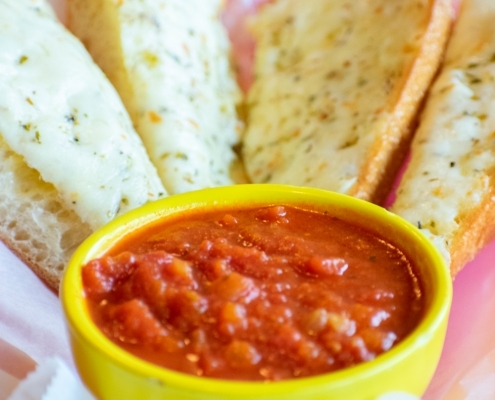 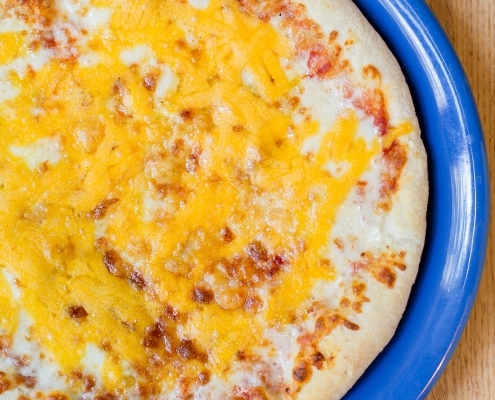 Mozzarella, parmesan, fontina, and cheddar cheeses atop our fresh homemade pizza sauce. 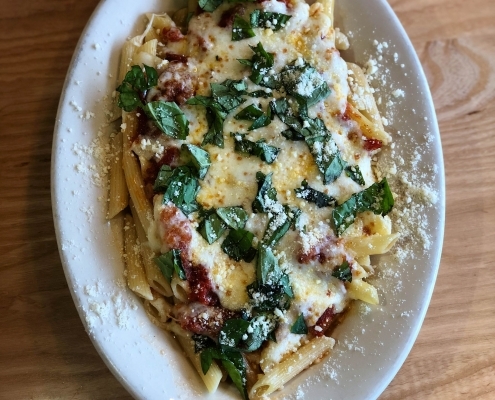 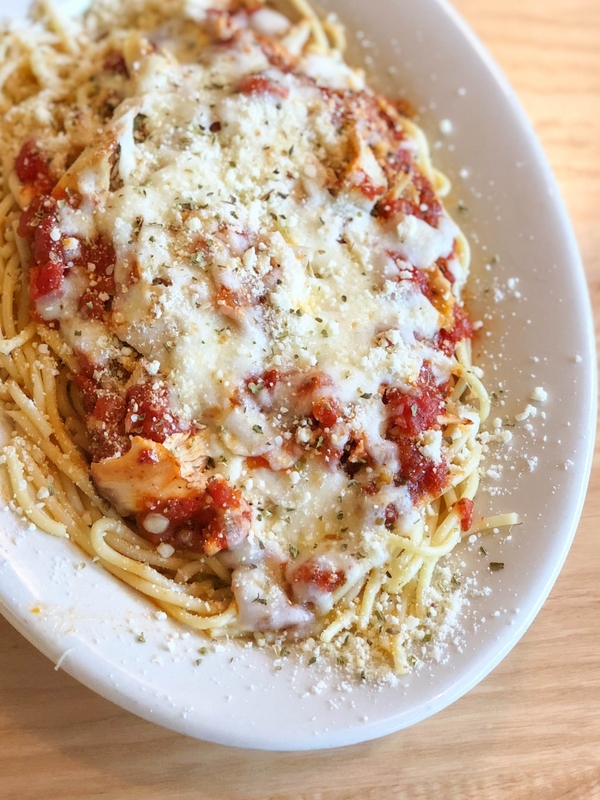 A cheese lover’s paradise. 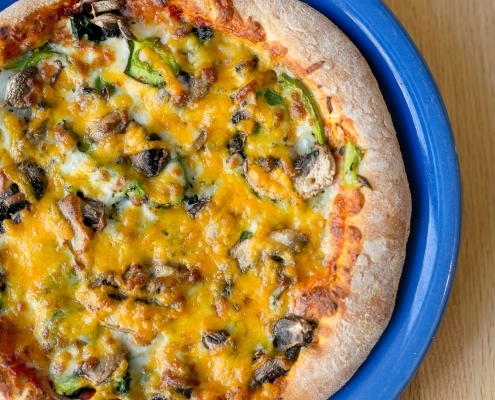 Homemade pizza sauce , fresh mushrooms, spinach, onions and green peppers with mozzarella and cheddar cheeses. 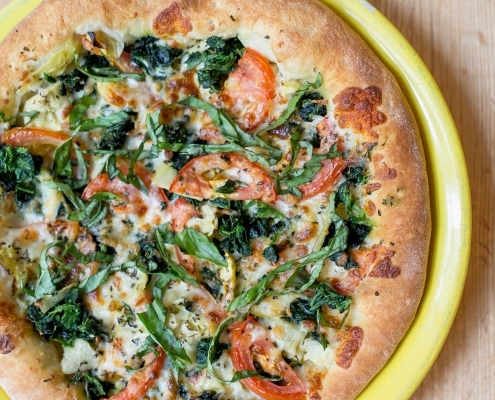 Garlic butter, artichoke hearts, tomatoes and spinach. 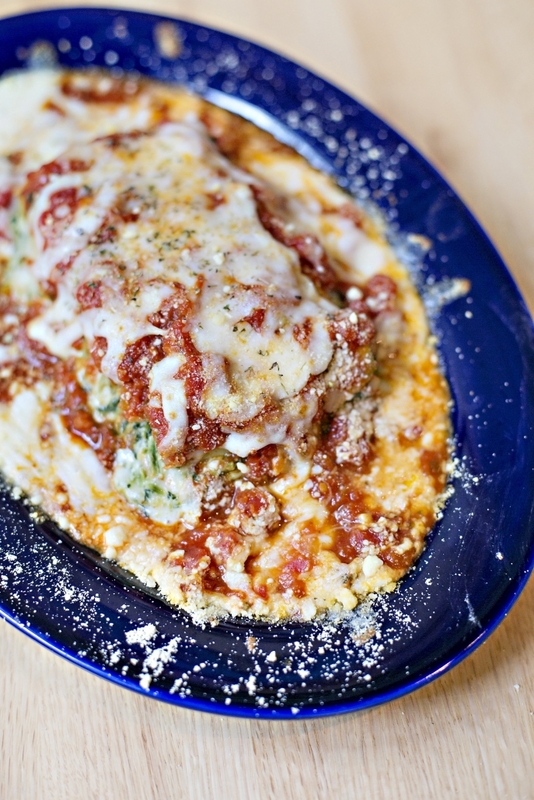 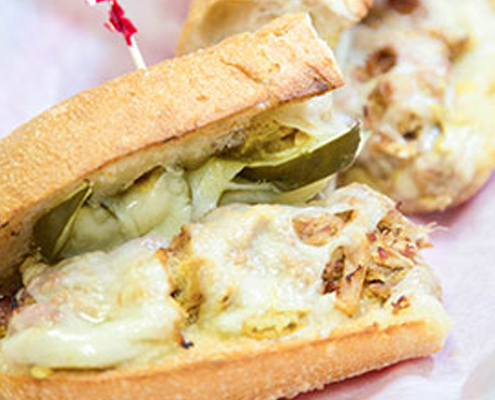 Covered with parmesan, fontina and mozzarella cheese. 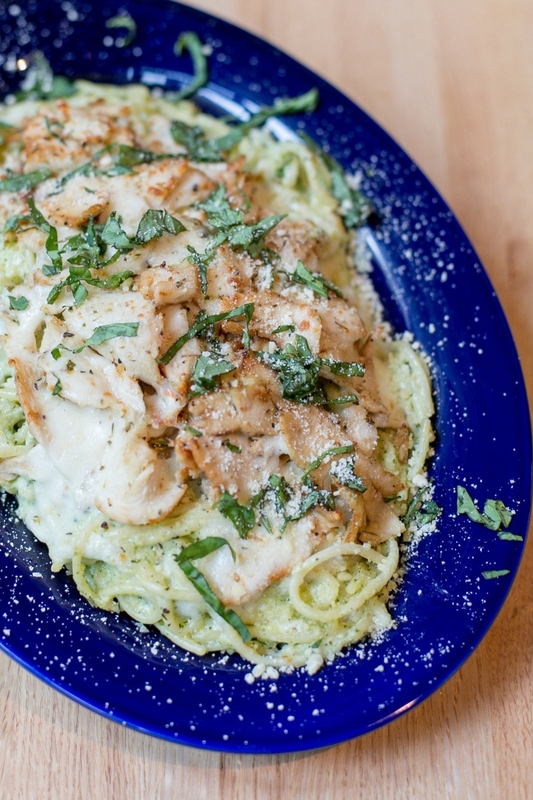 Finished with a touch of fresh basil. 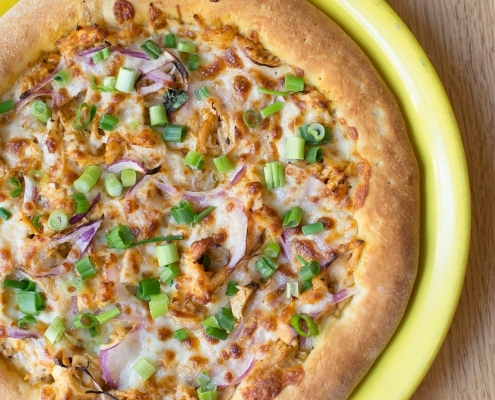 A white pizza with Pete’s Hot Sauce marinated chicken, and red onion, topped with mozzarella and green onions. 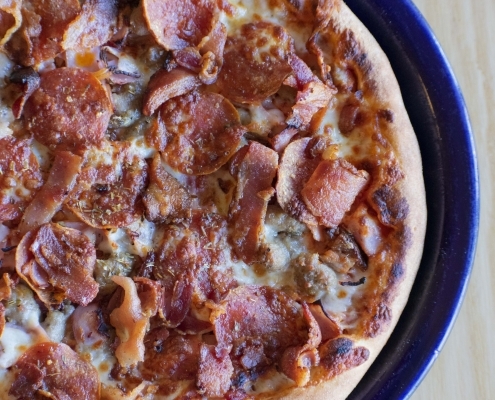 Zesty pizza sauce topped with pastrami, ham, pepperoni, salami, red onions, jalapeños, basil and oregano. 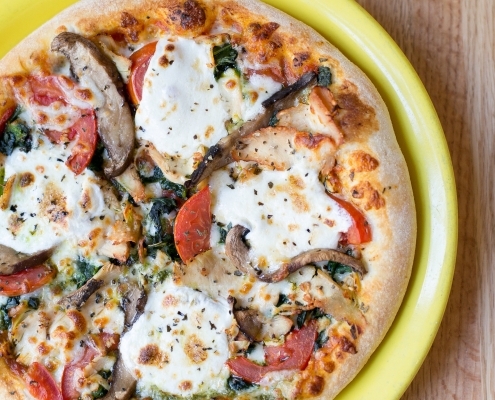 A white pizza lover’s dream! 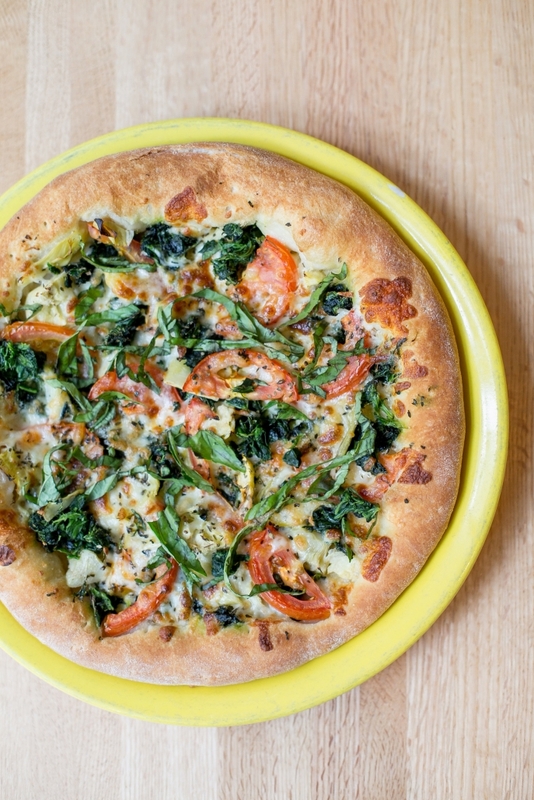 Touch of garlic butter, ricotta and mozzarella cheeses, fresh tomatoes, fresh spinach and a pinch of basil. 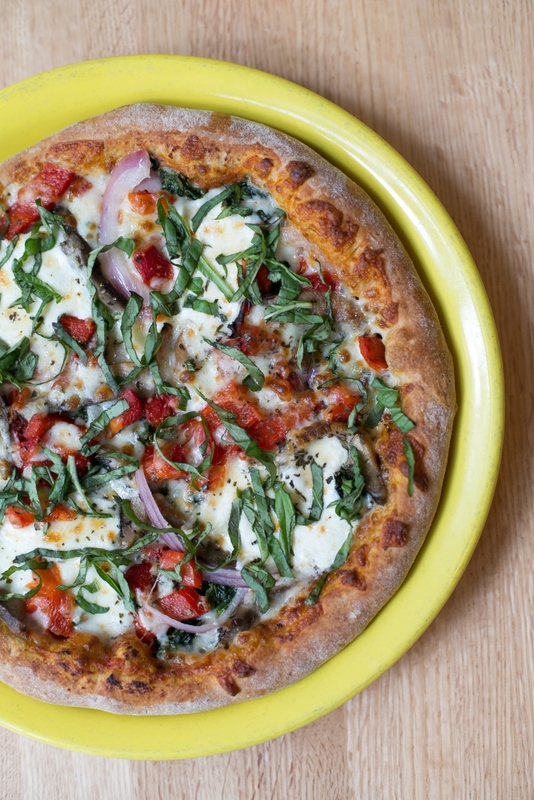 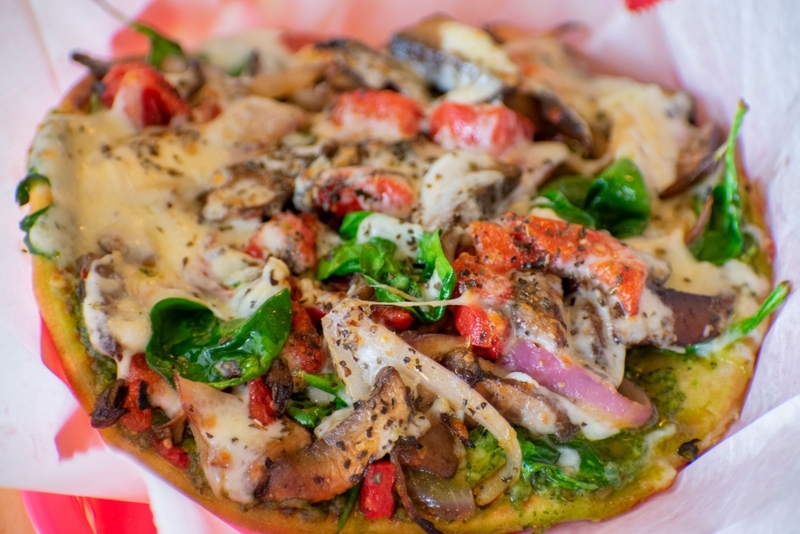 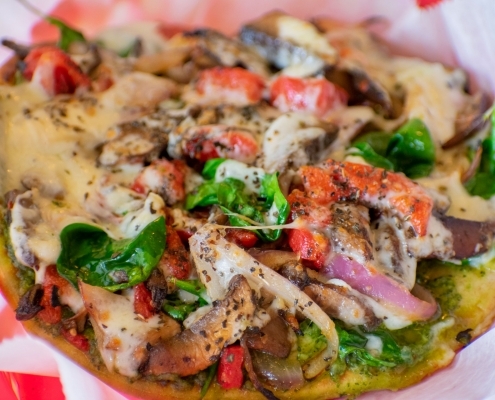 Our marinara sauce with sliced portobello mushrooms, spinach, red onions, roasted red peppers topped with fresh mozzarella and basil on our house made whole wheat pizza crust. 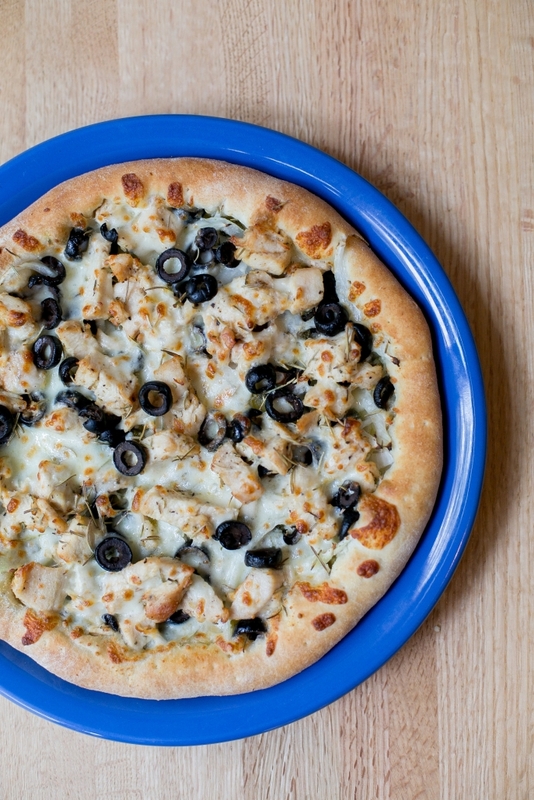 Marinated garlic chicken, garlic butter, black olives and onions. 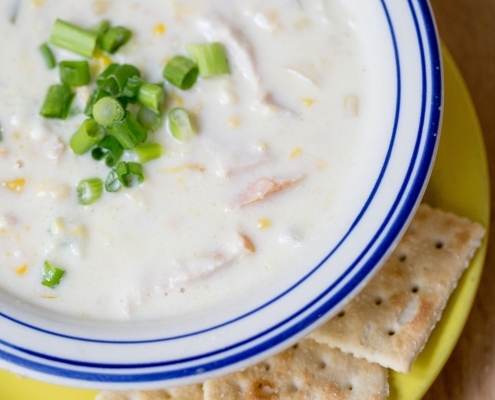 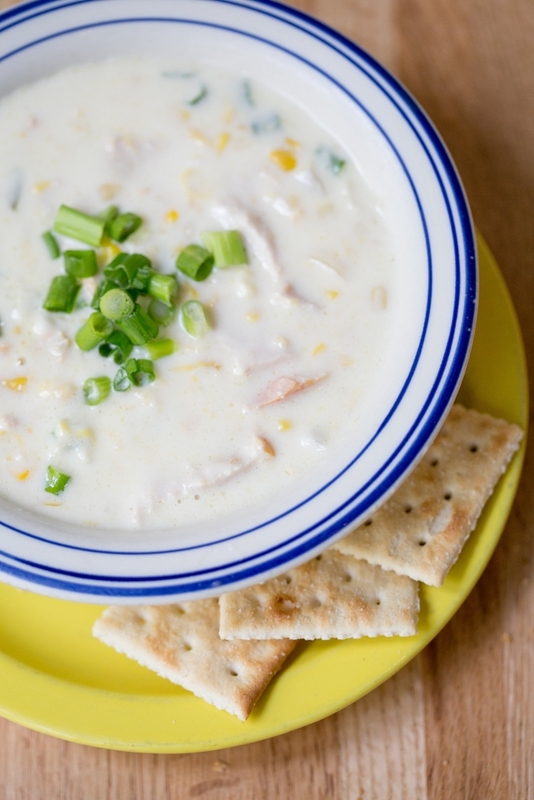 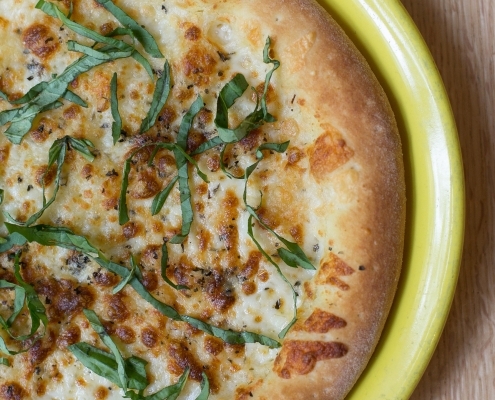 Covered with parmesan and mozzarella cheeses and a touch of rosemary. 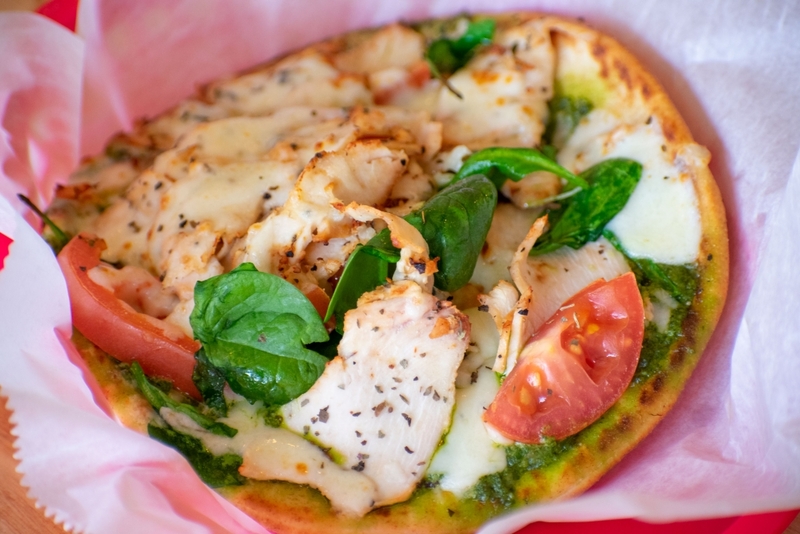 Marinara sauce with pesto, marinated chicken breast, spinach, tomatoes, portobello mushrooms, and fresh mozzarella. 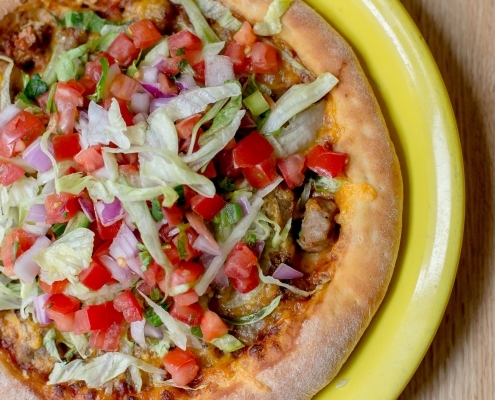 Homemade crust, salsa, cheddar cheese, shredded lettuce, and pico de gallo. 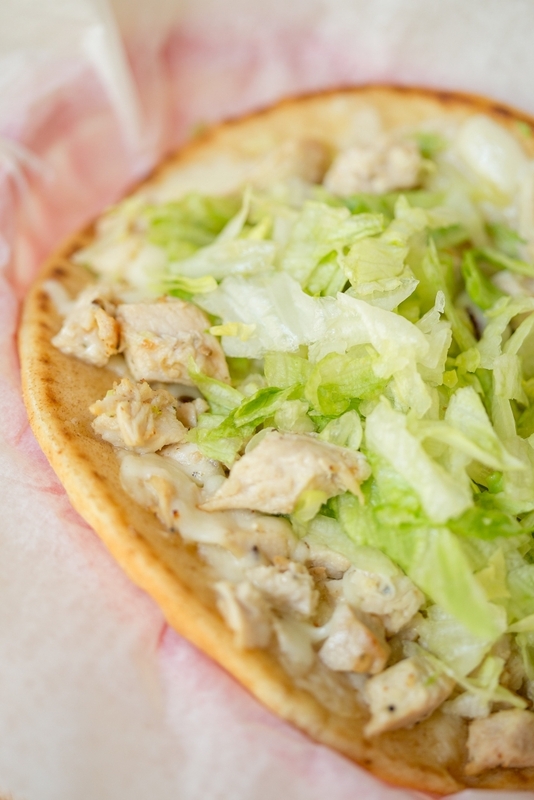 Also available with chicken. 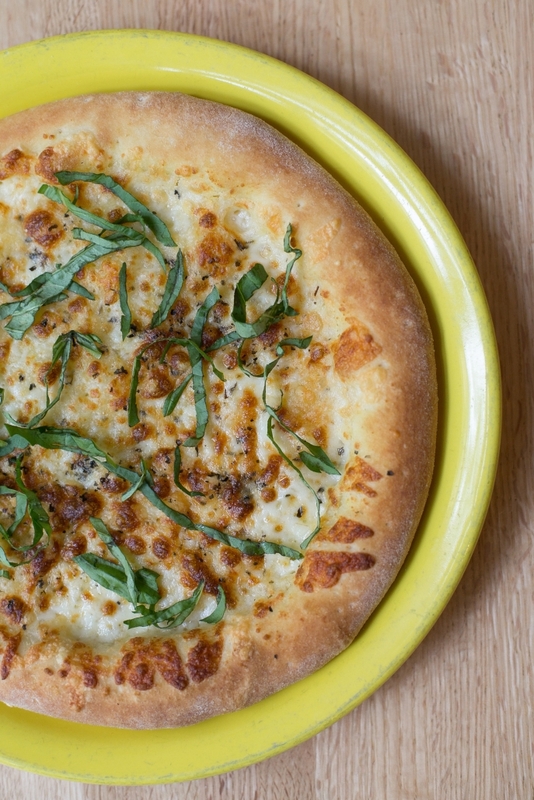 Garlic butter, parmesan, mozzarella and fontina cheeses sprinkled with fresh basil. 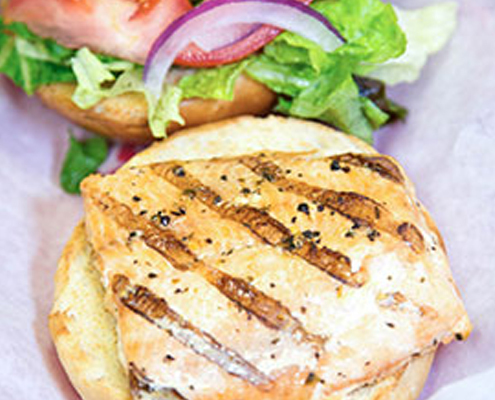 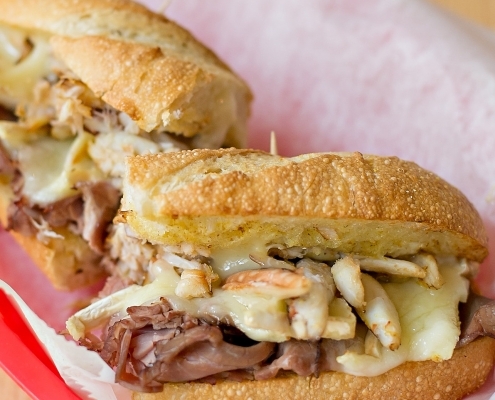 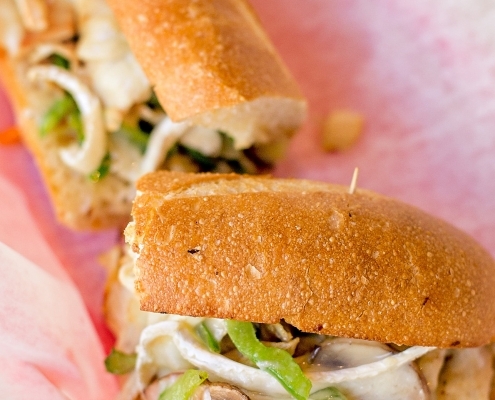 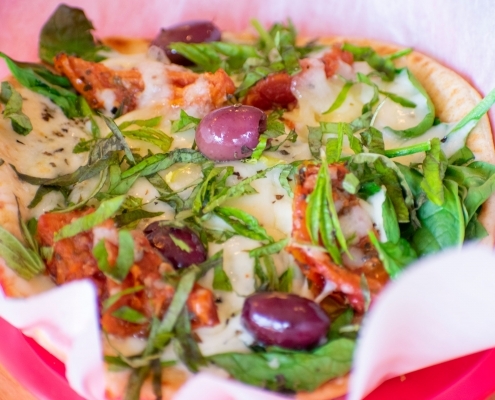 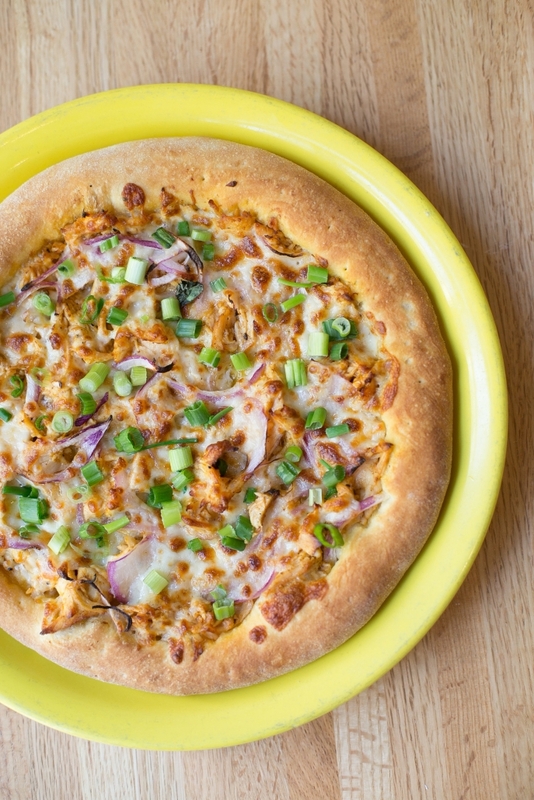 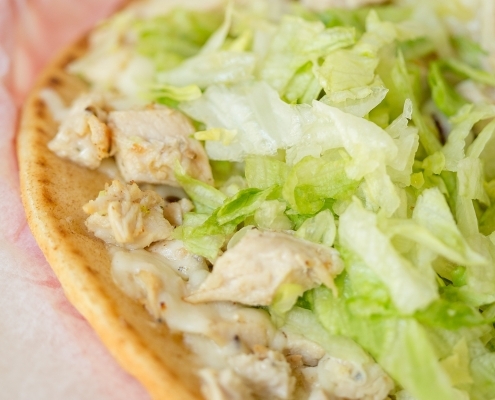 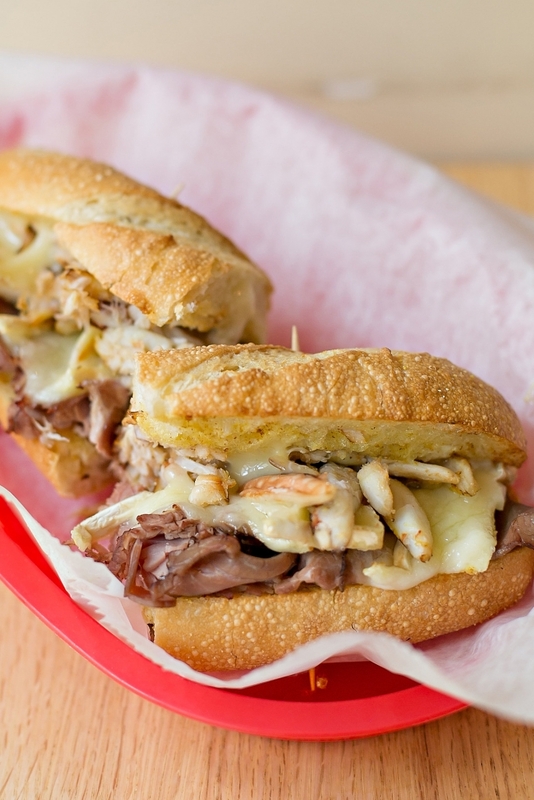 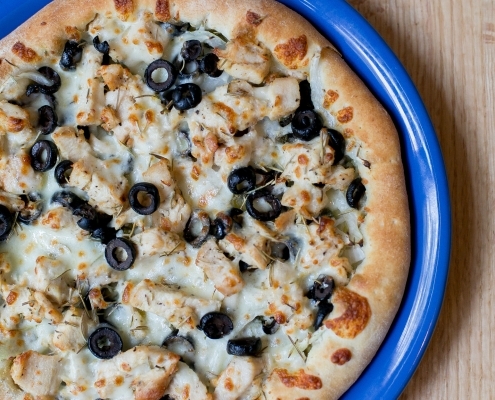 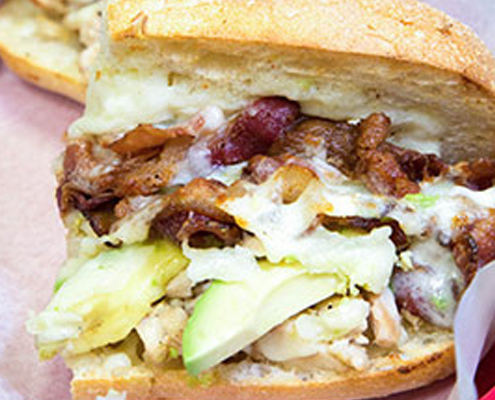 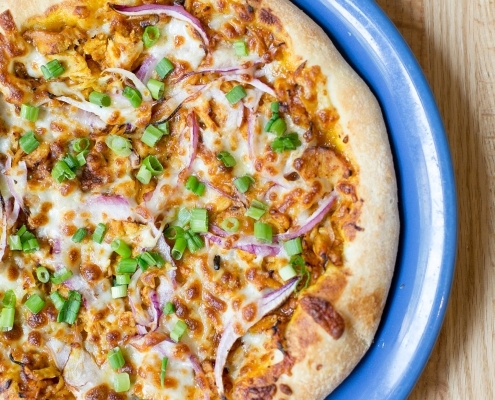 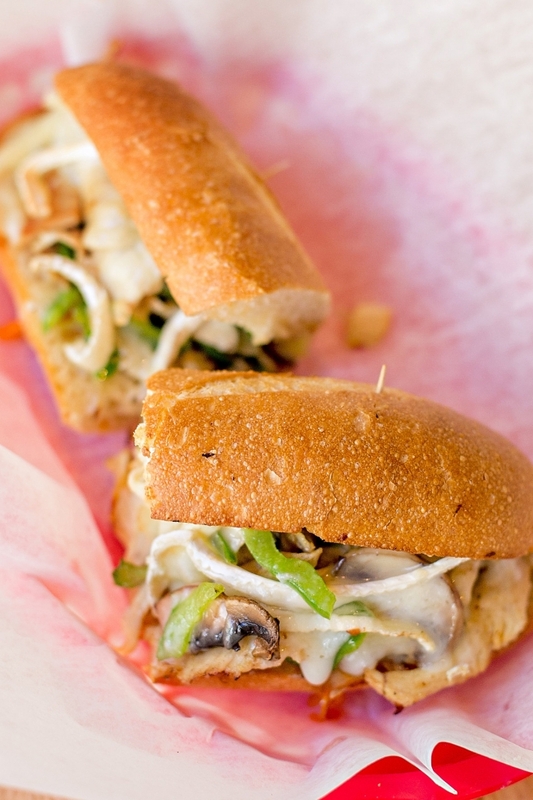 House-made barbecue chicken sliced and topped with red onions, mozzarella and green onions. 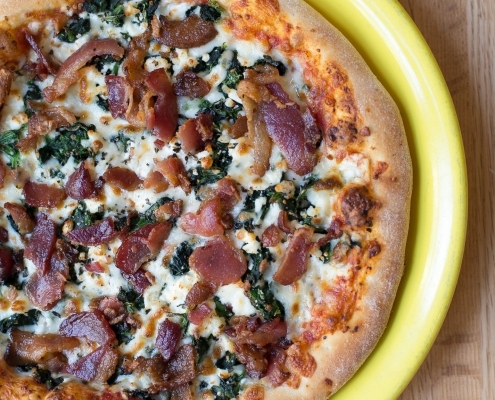 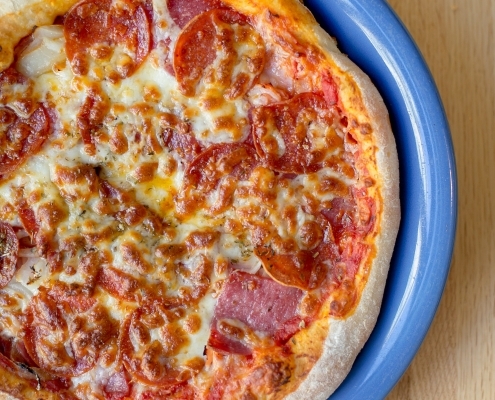 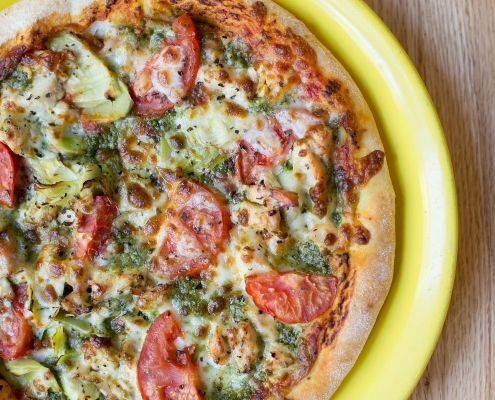 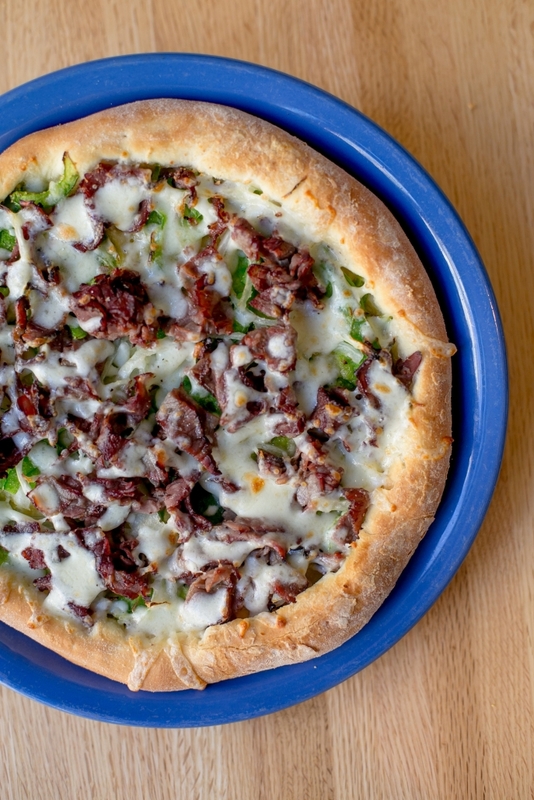 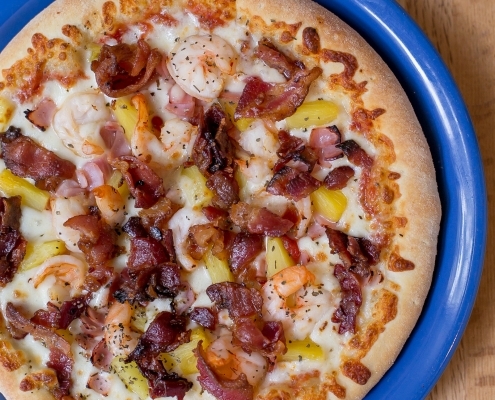 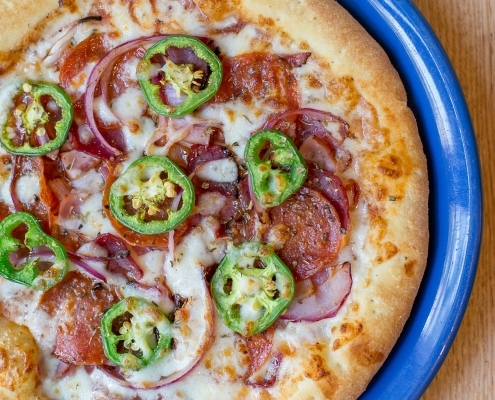 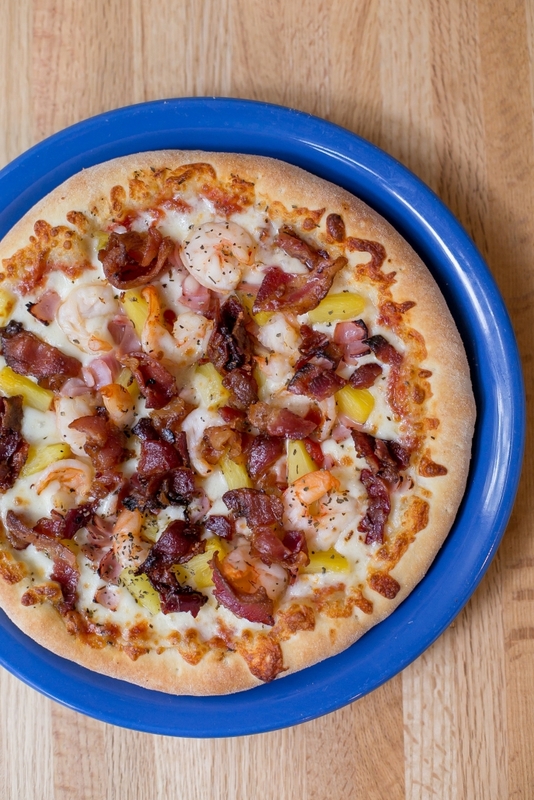 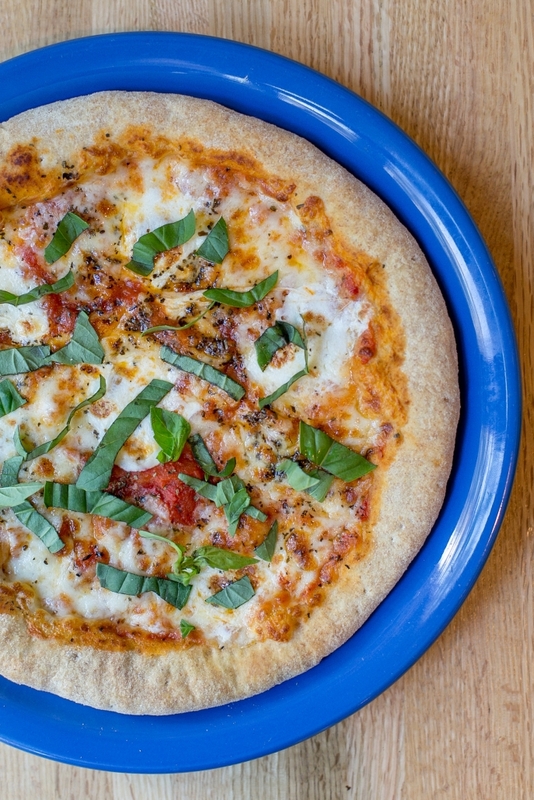 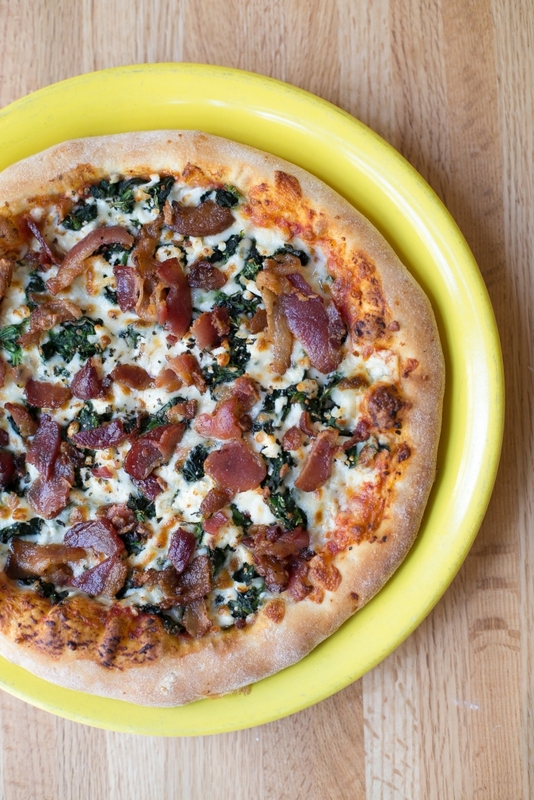 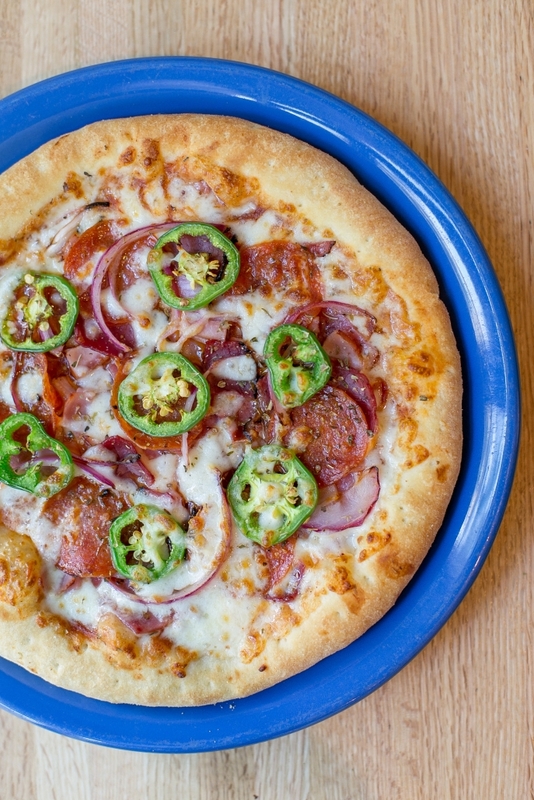 All of our gourmet pizzas can be made with gluten free, cauliflower or whole wheat dough. 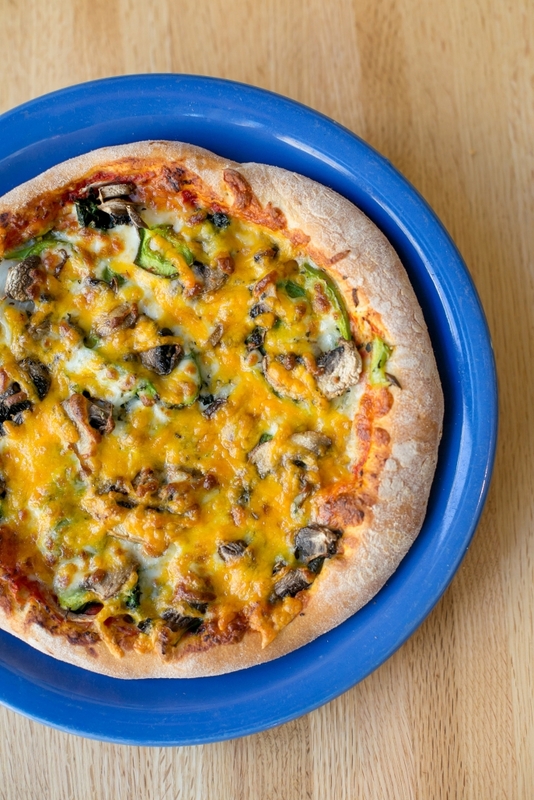 Gourmet pizzas cannot be made half and half due to variances in cooking time. 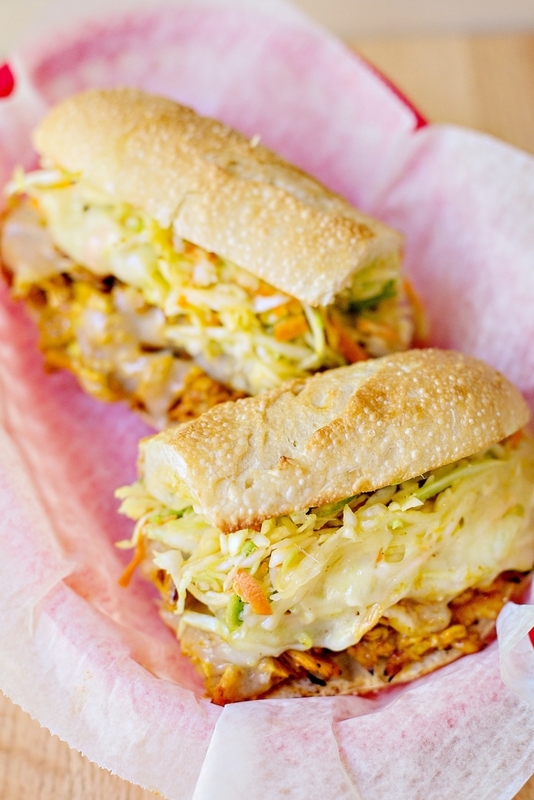 Layer upon layer of our dark, moist carrot cake all studded with raisins, walnuts and pineapple. 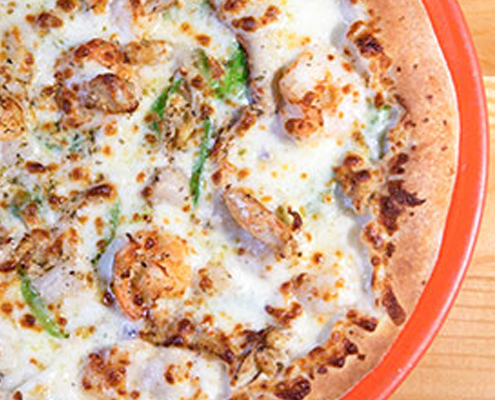 Authentic Florida key lime pie, tartly refreshing in a granola’d crust. 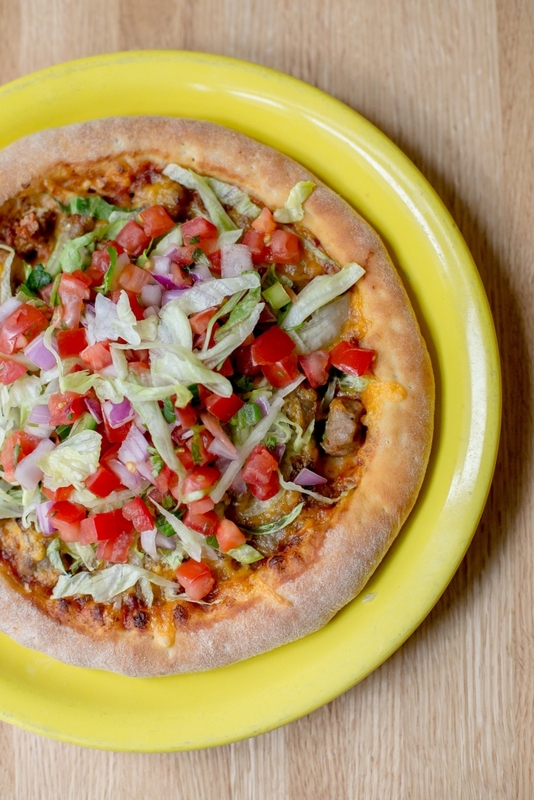 Just like a Reese’s peanut butter cup; this irresistible pie is covered in chocolate and peanut butter. 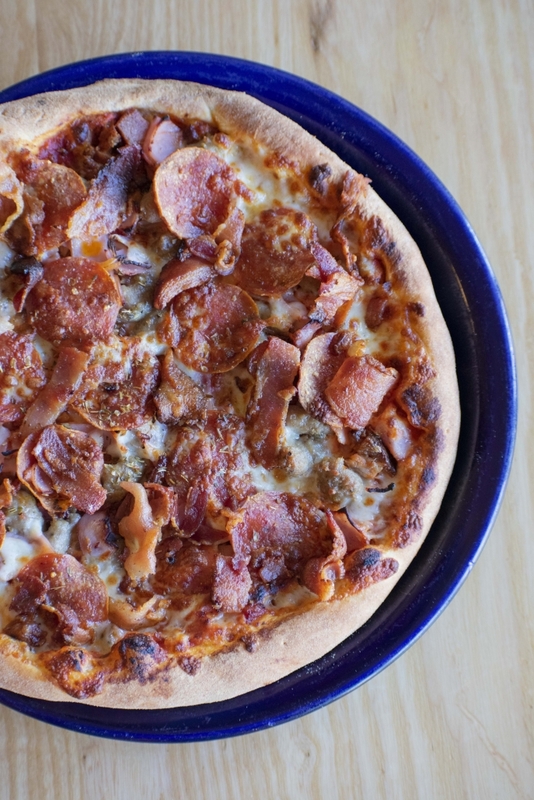 Topped with whipped cream, chocolate sauce, and caramel.